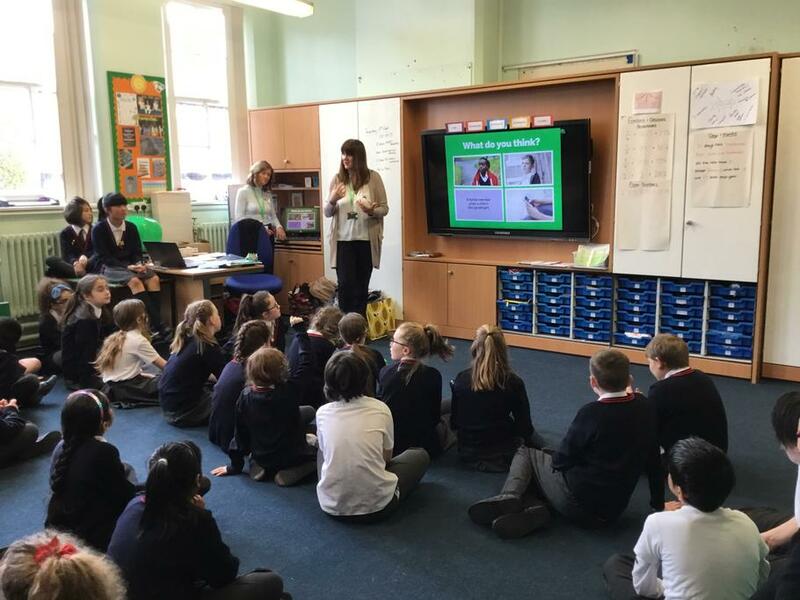 Today NSPCC visited the children to talk to them about keeping safe. They delivered an assembly to the whole school, introducing their mascot, Buddy. 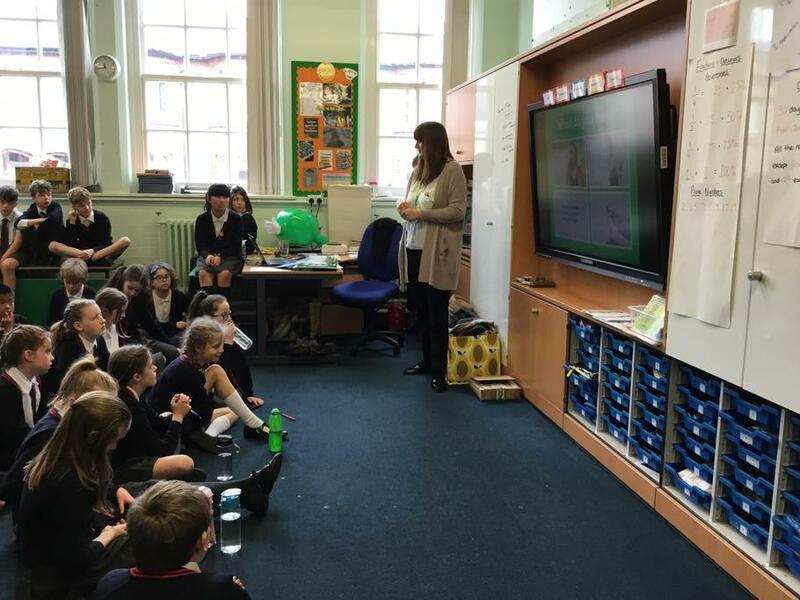 The year 5 and 6 children had workshops to discuss in more detail ways to stay safe and a reminder of how they can talk to trusted and safe adults or contacting them directly through their confidential number. As part of our PE and PSHE lessons, we will be teaching the children basic first aid. 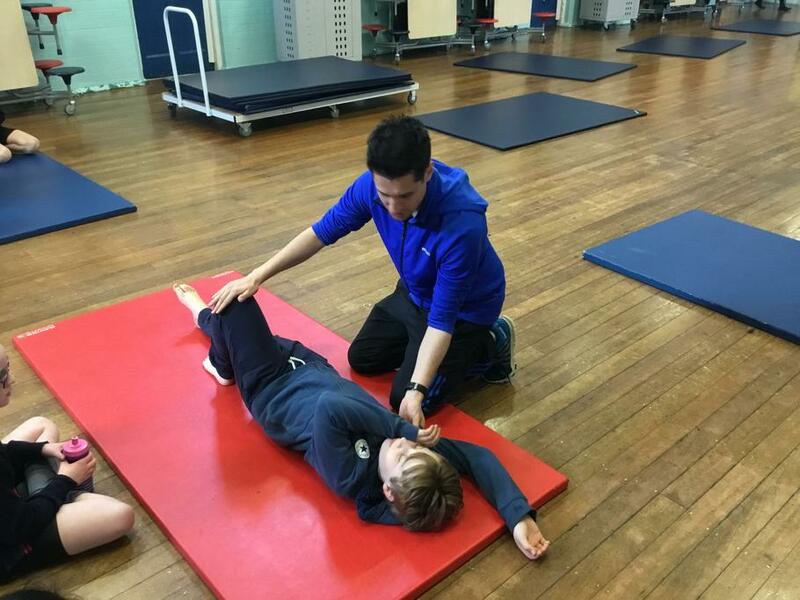 Mr Spinola has been teaching the recovery position as part of his PE lessons in Year 6. This will continue in the summer term and become part of our taught curriculum from September. We think this is a really important life skill for the children and hope that they will share their learning with you. 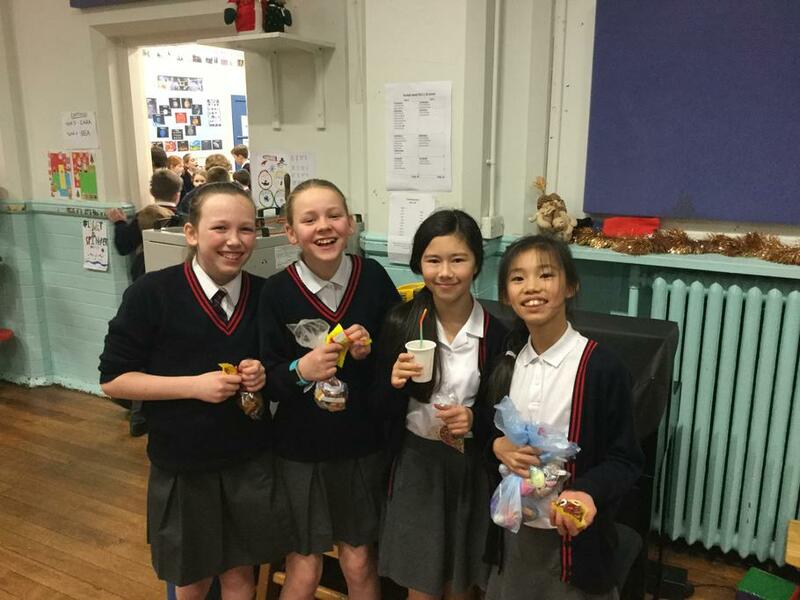 Our International Food Week is off to a great start. 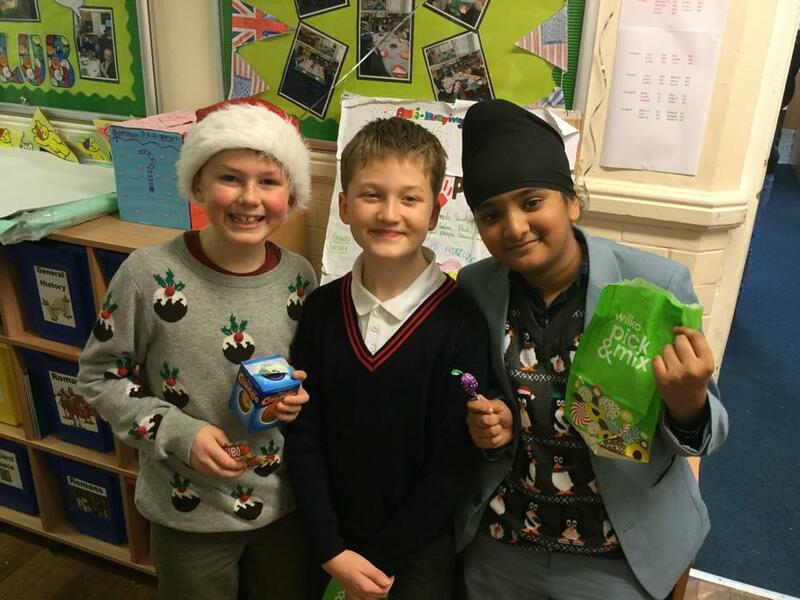 Today the children are enjoying a range of Indian foods and they’re proving very popular with the teachers as well! 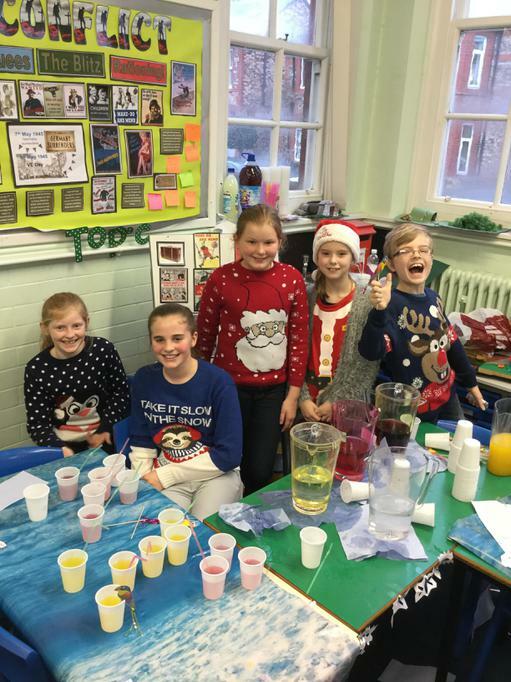 The kitchen are running different competitions all week too; today the children have to try to guess the mystery ingredients in the pudding! 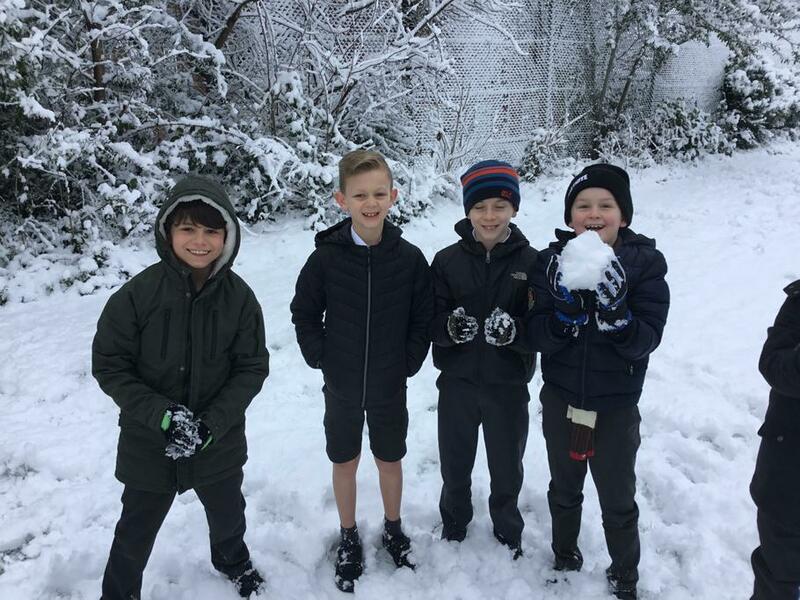 Please see the attached statement released by our Head Teacher and Chair of Governors earlier today. 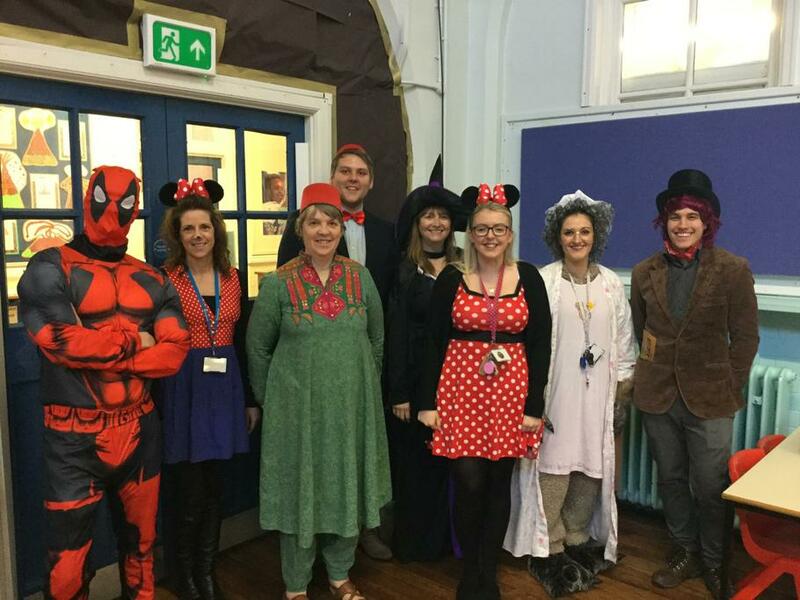 The children and the staff here are looking amazing for our belated World Book Day! 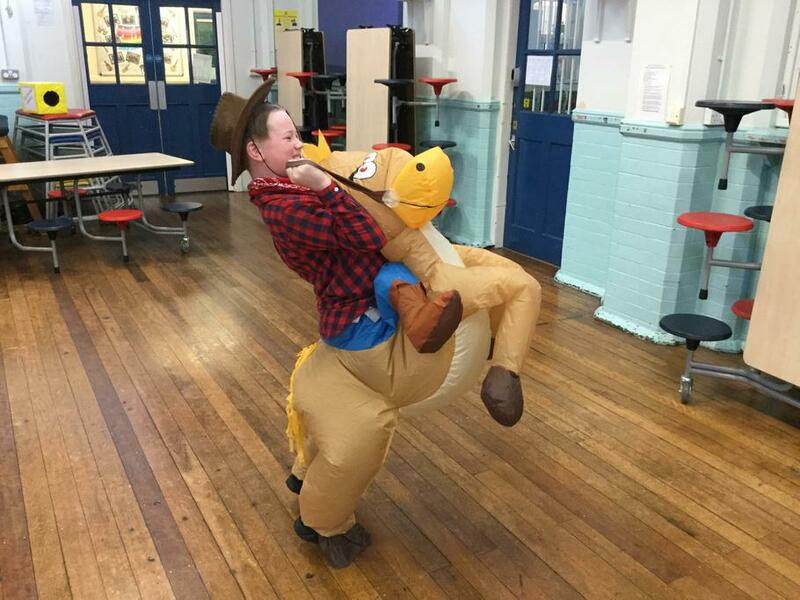 The children are enjoying moving around to different teachers today for various World Book Day themed workshops. 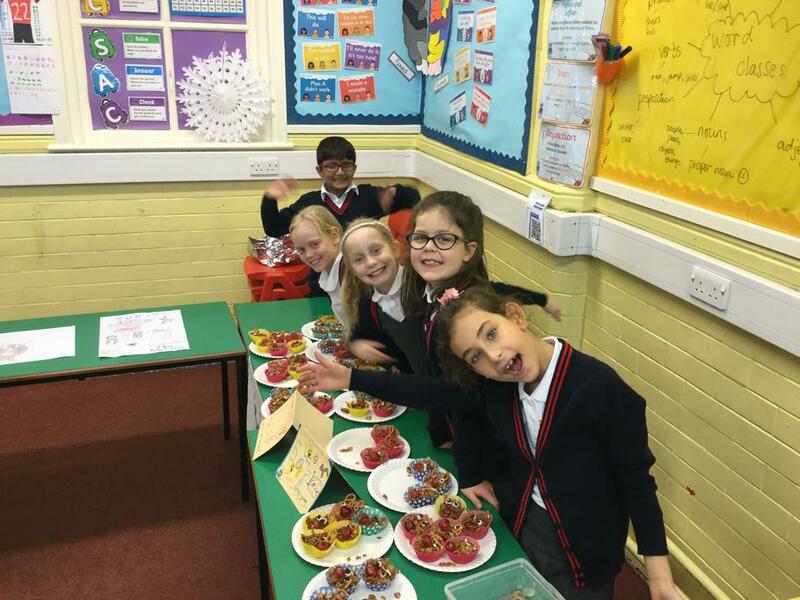 On Monday, our fantastic School Council will be holding a cake sale at 3.15pm in the upper junior playground. 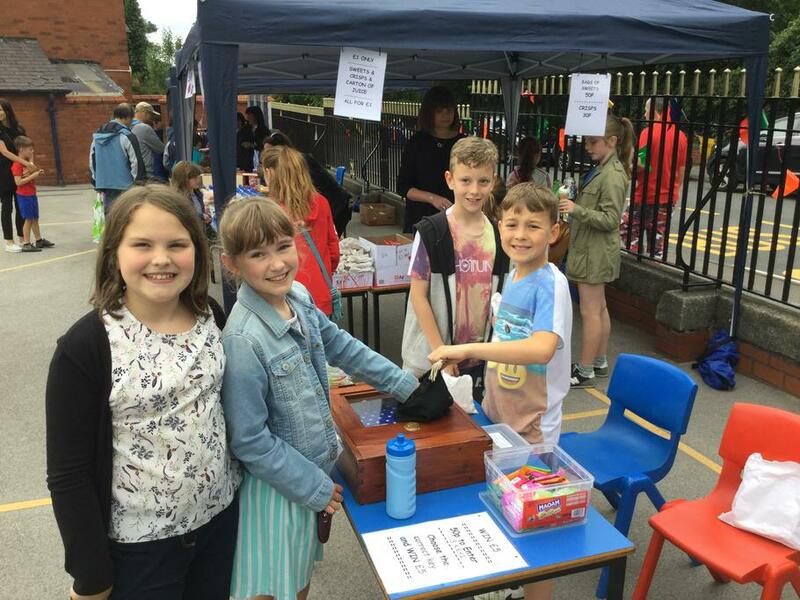 The children are trying to raise money to buy new playground equipment. If you would like to send cakes in on Monday morning, any donations will be gratefully received! 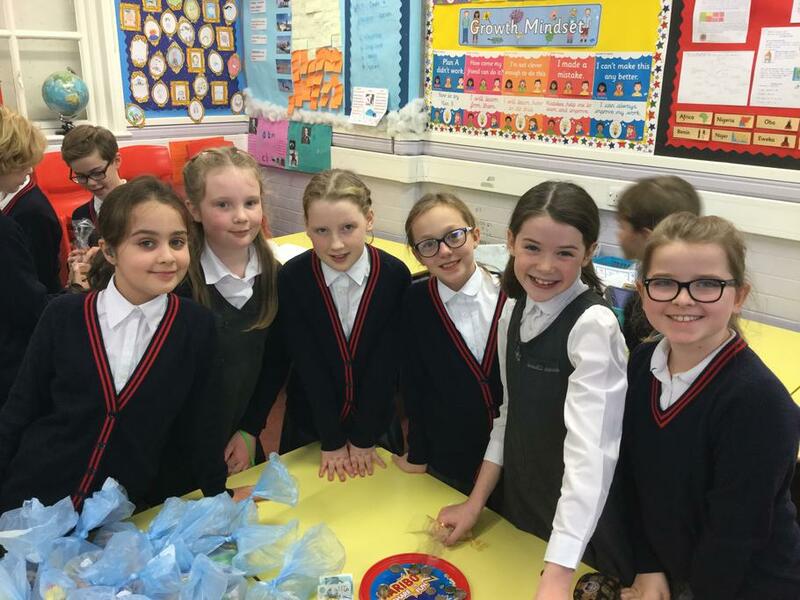 Our World Food Week will take place during the week commencing the 25th March this year. Our fantastic kitchen will be putting on a range of different dishes from all around the world, with each day having a different theme. Curriculum lessons will be linked to this and a full menu will follow shortly! 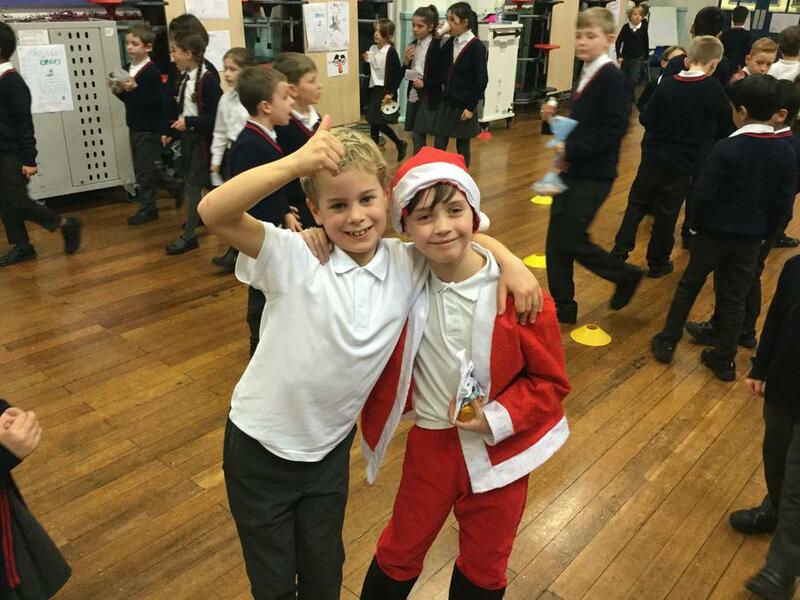 We're having a brilliant afternoon at our Christmas Fair today. 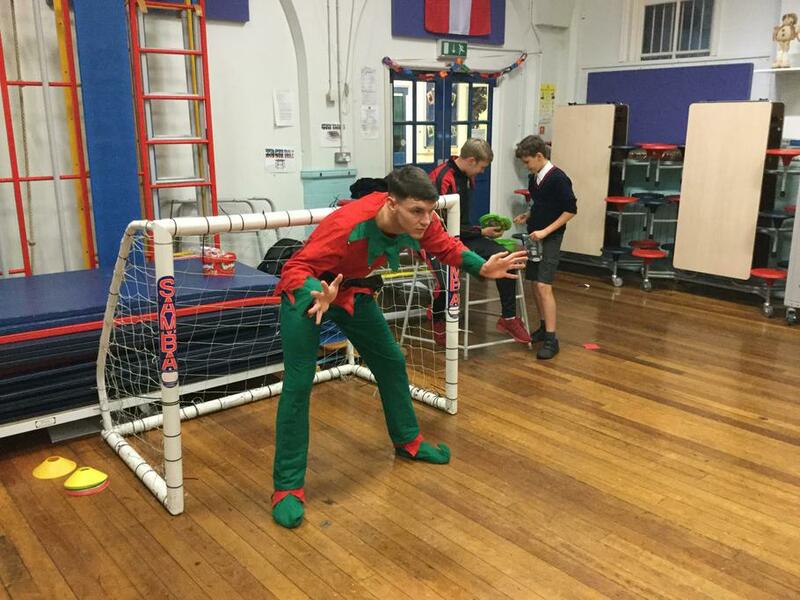 The children have come up with such exciting stalls and everyone is having lots of fun... even poor Mr Spinola who has been stuck in goal on our "Beat the Goalie" game for the past hour! 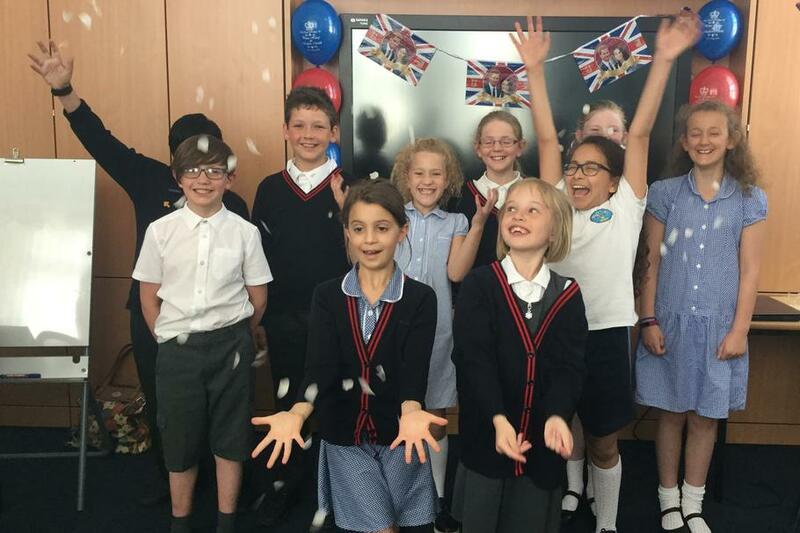 A huge congratulations to our very talented Year 6 mathematicians who have been selected as the regional winners for the National Young Mathematicians' Awards! They have competed in two very challenging rounds to secure this title and we are now waiting to see if they have secured a place in the national finals! 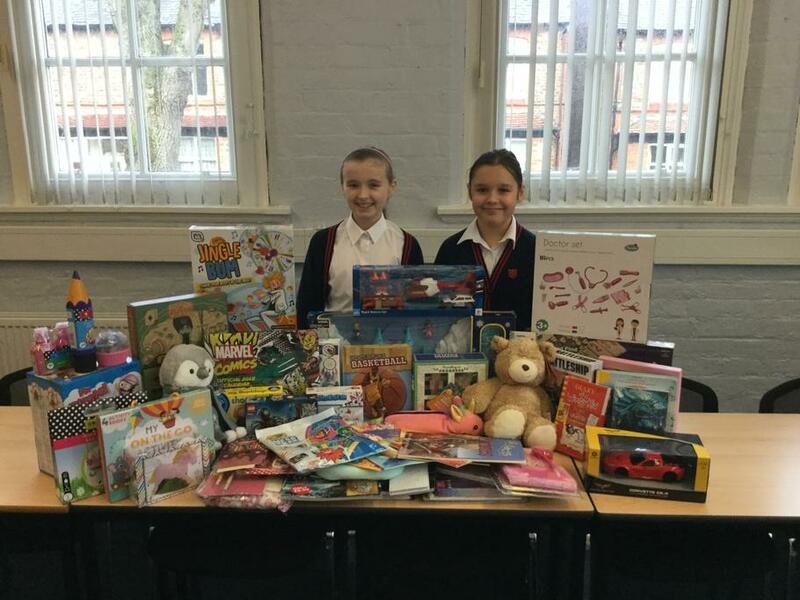 Many thanks to everyone who has donated a present for Mission Christmas this year; we’ve received quite a selection of wonderful gifts this year. 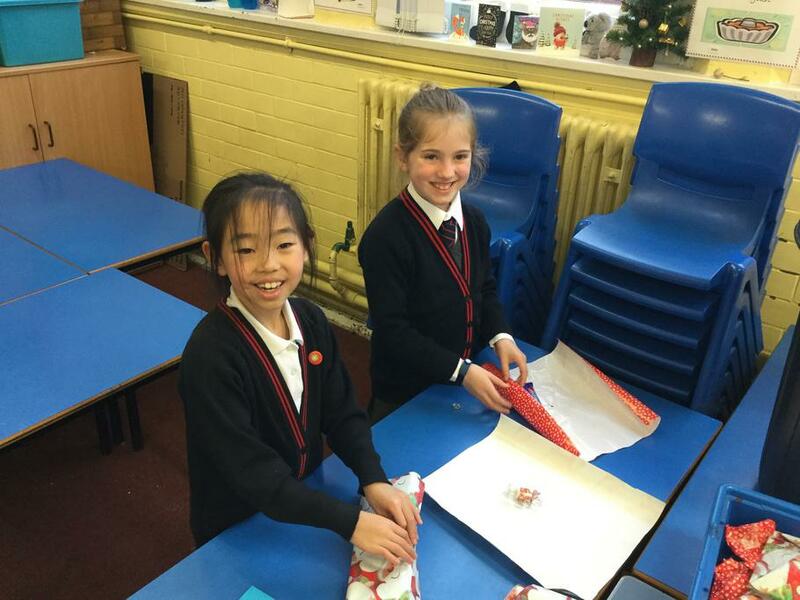 Two of our house captains will be delivering these presents later this week. 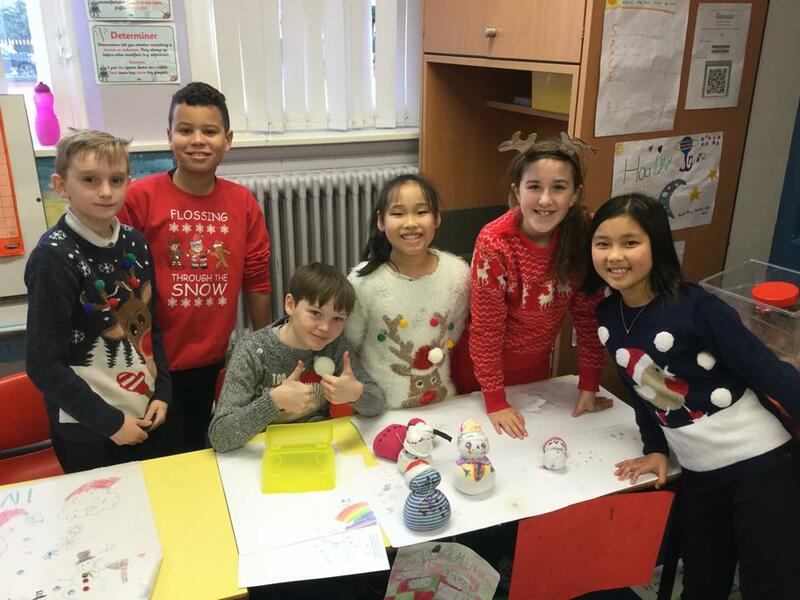 After a fantastic day last week making lanterns, our children had a brilliant time at the Christmas lantern parade in Altrincham on Saturday afternoon. 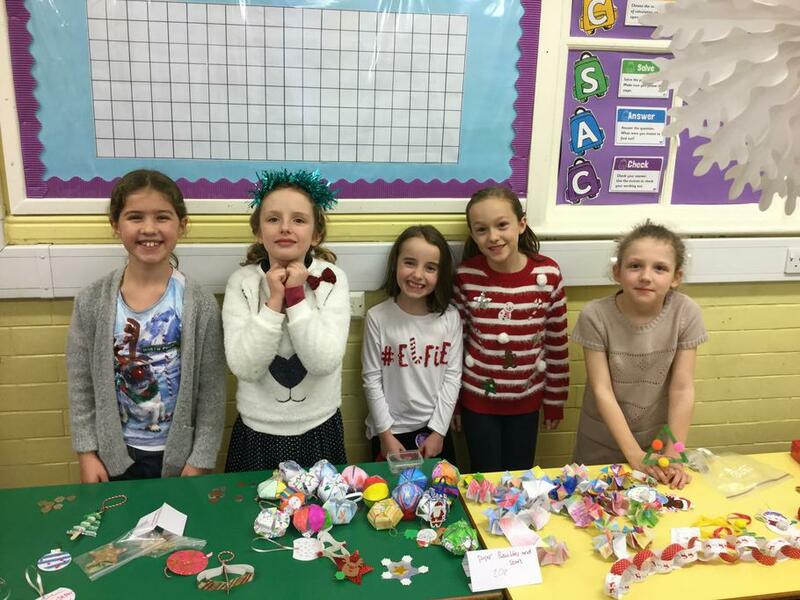 Well done to all the children who took part in this local event. Christmas is certainly on its way and we hope to see as many of you as possible at the different Christmas concerts and events that we have coming up this month. 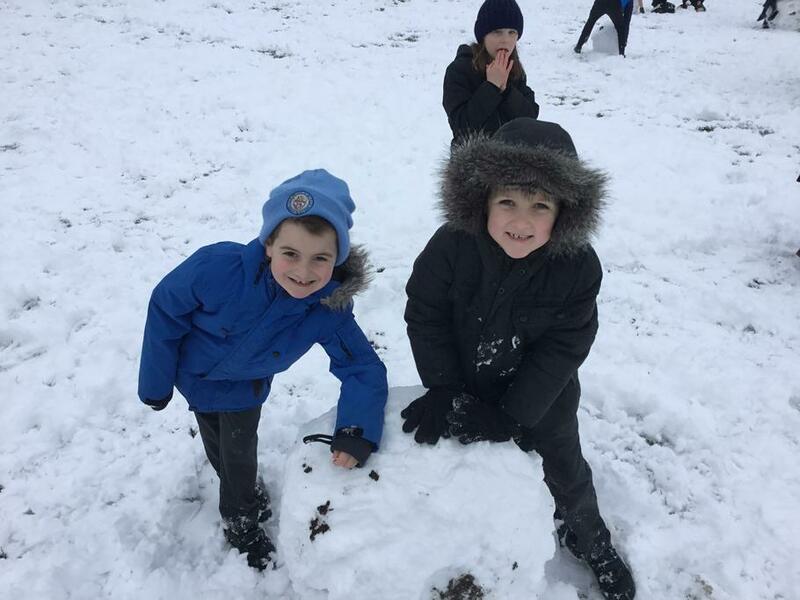 Our new Holiday Club will be running in 2019 during the May / June holiday and at the end of the summer holiday too (including on the September inset days). Please see the letter below for further information. Anti-Bullying week takes place this year from the 12th to 16th November. 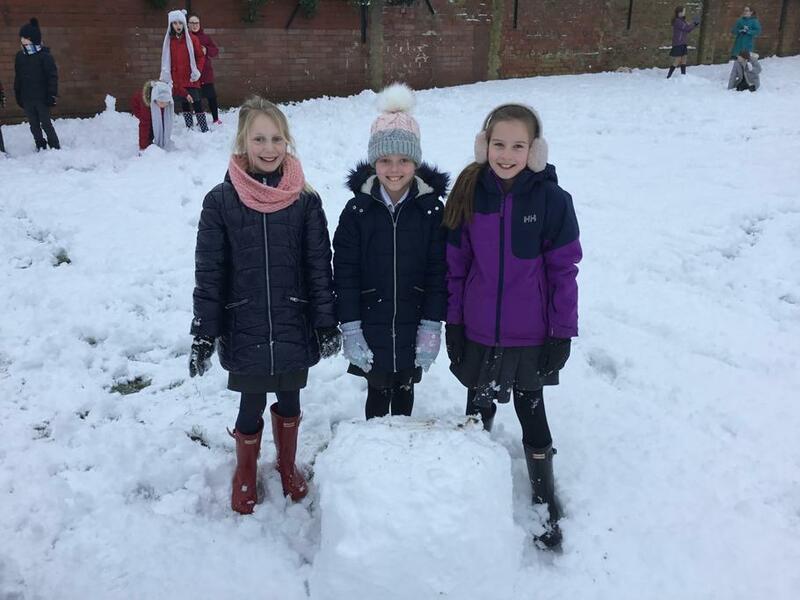 We have a detailed timetable of activities for the children this year and will be reporting back on our website. 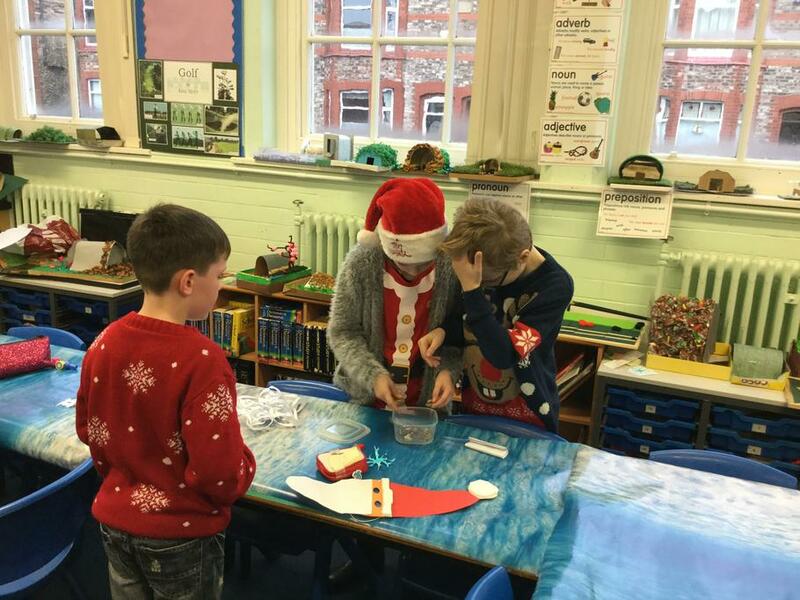 We've had a fantastic afternoon here at school with the Rainforest Cafe taking place in our two Year 4 classes! 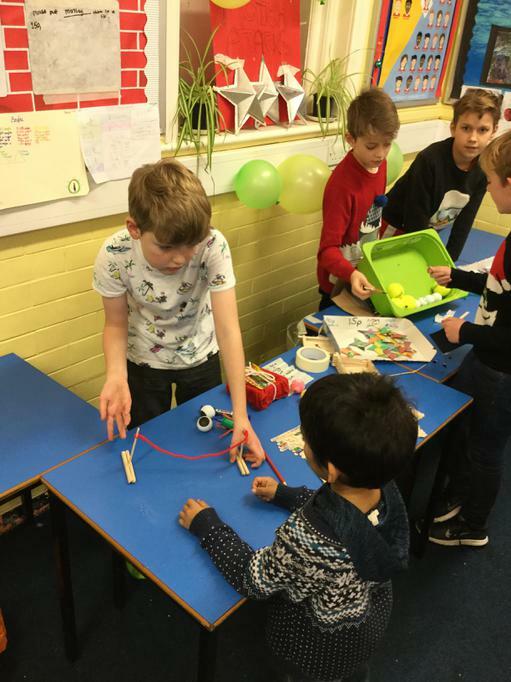 It was lovely to see so many friends and parents here as the children were very keen to share all their topic work from this term. 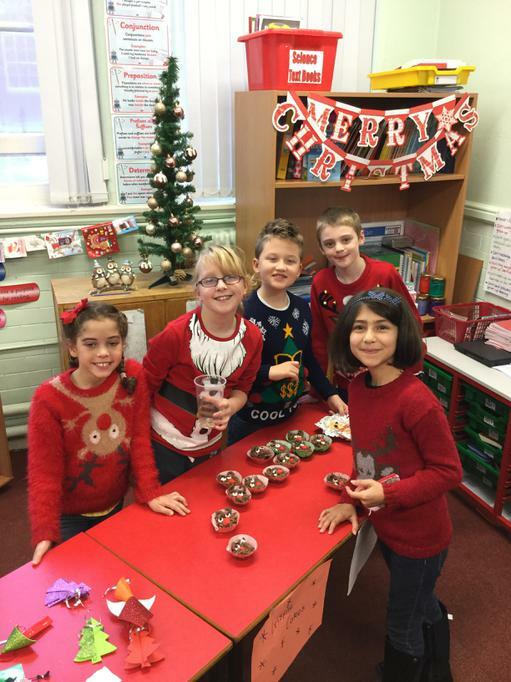 Well done to all the children and a big thank you to Mrs Columb, Mrs Rainford and Mr Whitehead too! 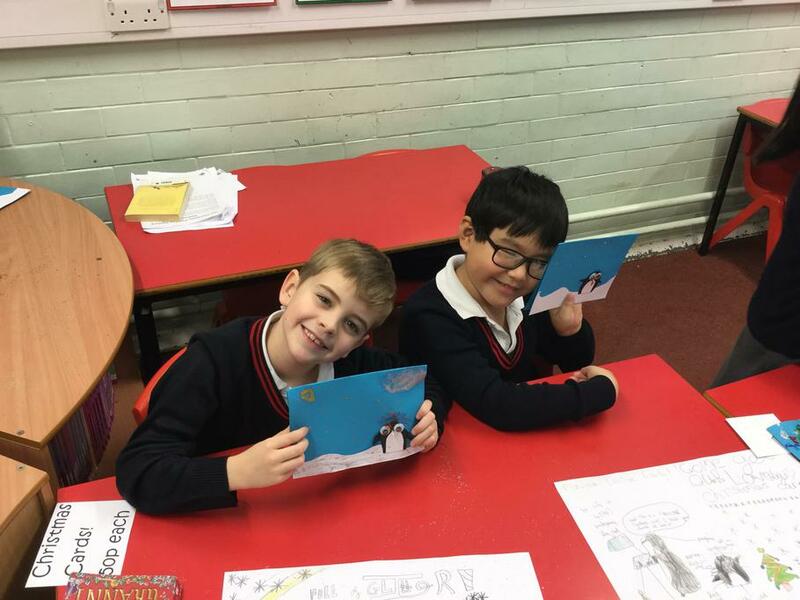 We've already started our very popular Reading Buddies scheme here at Stamford Park Junior School this year. 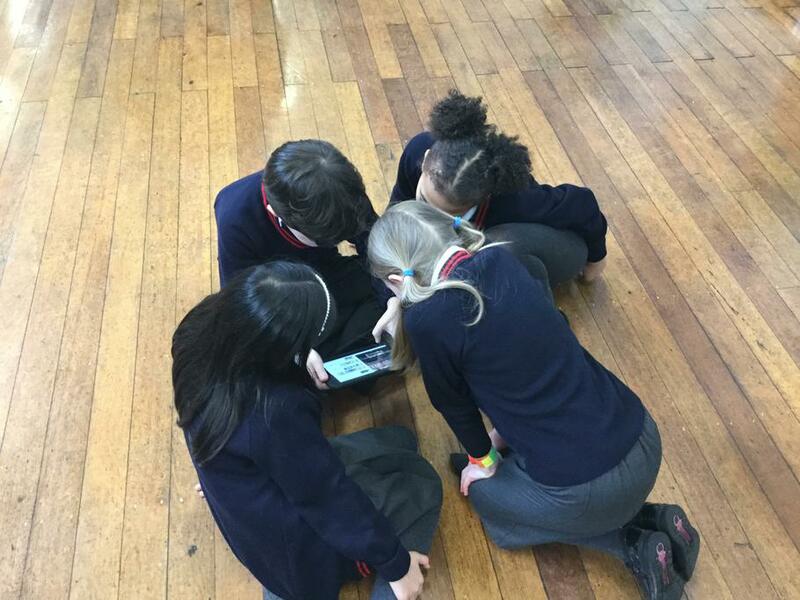 This involves our Year 5 and 6 children supporting our Year 3 children, during morning break, with developing their reading and comprehension skills. 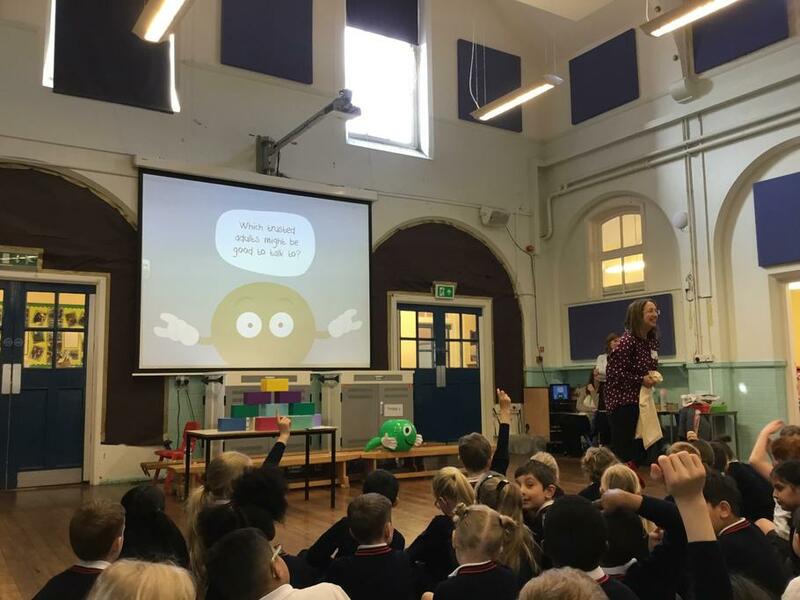 It's World Mental Health Day today and here at Stamford Park Junior School we're having a real focus this year on promoting positive mental health. 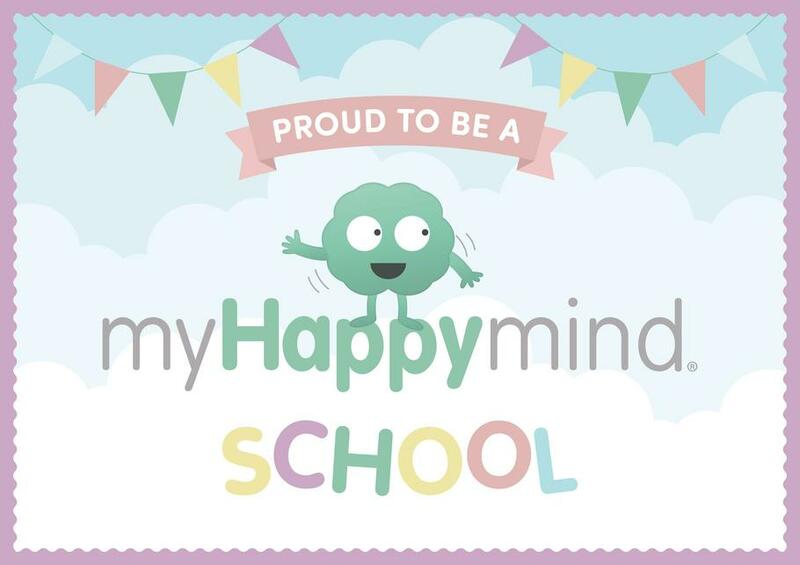 Our new scheme of work (My Happy Mind) has been really popular so far and we hope it will help us to support all our children here throughout the year. We're proud to support World Mental Health Day. 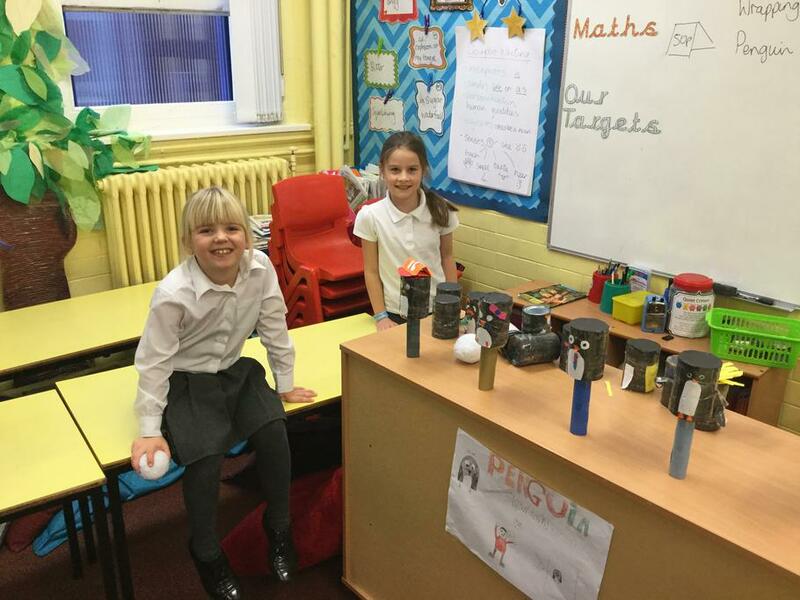 We are very interested to hear how you think the school is doing and how we could improve further. If you have a spare couple of minutes (I promise it won't take longer! ), then please complete our feedback survey below. 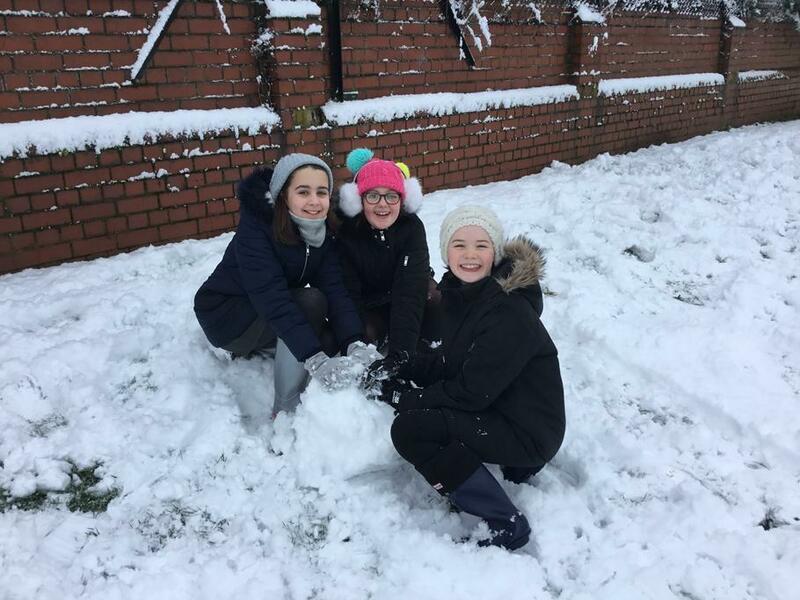 We are collating results based on year groups so please select the relevant survey; if you have more than one child in the school, do not feel you have to complete the survey twice. A warm welcome to the new academic year for 2018 / 2019. 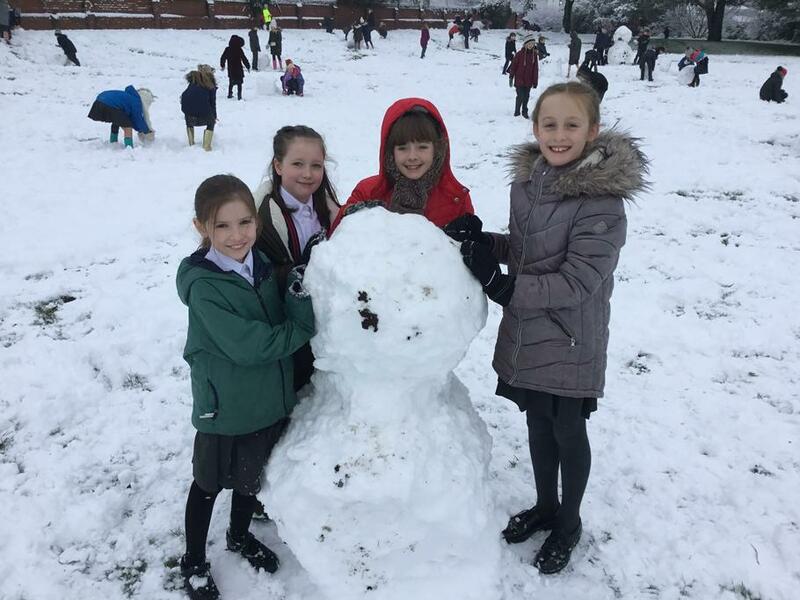 We already have a very busy calendar for this term so please do keep visiting our site to see everything that the children are getting up to. 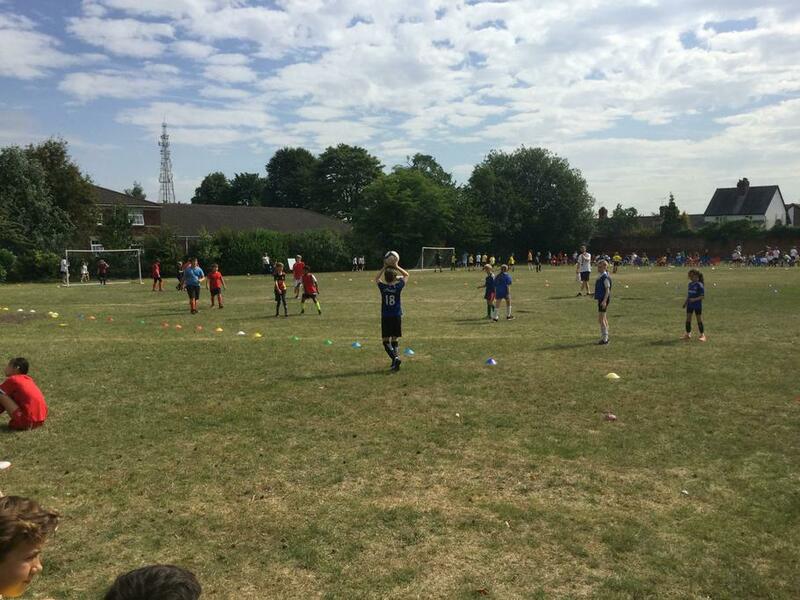 Our clubs are off to a fantastic start and our new addition of ultimate frisbee has been a real hit this morning! 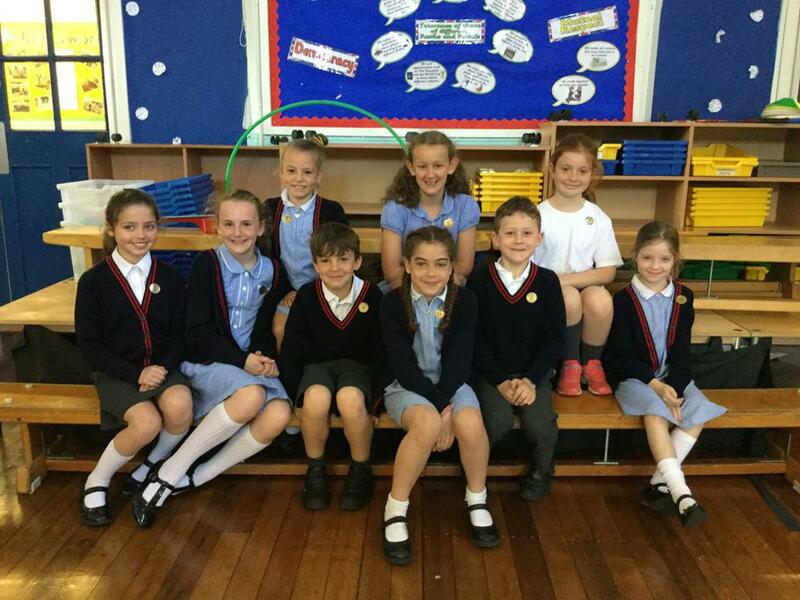 Our new Year 3 children are settling in really well and we're all looking forward to getting to know them better. Welcome to our new staff too - Mr Reeves, Mr Smith and Mr Spinola! 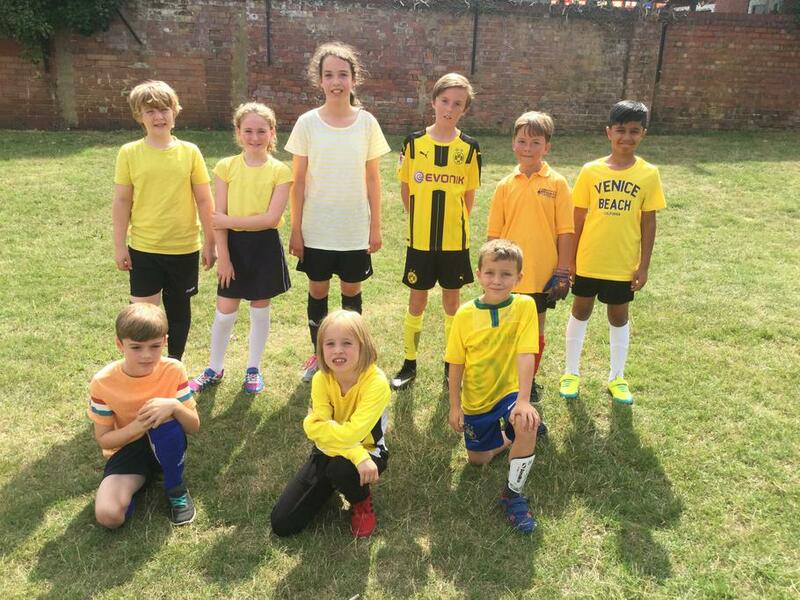 This morning, we held our annual football tournament in honour of Mrs Lewis. 16 teams took part, spurred on by a host of cheerleaders. 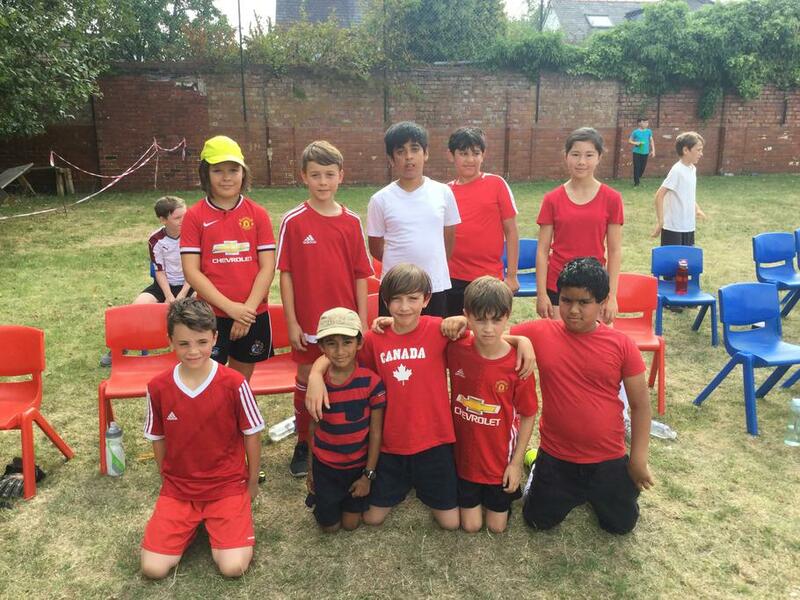 The winning team was Uruguay who scored the winning goal against Switzerland, in extra time. 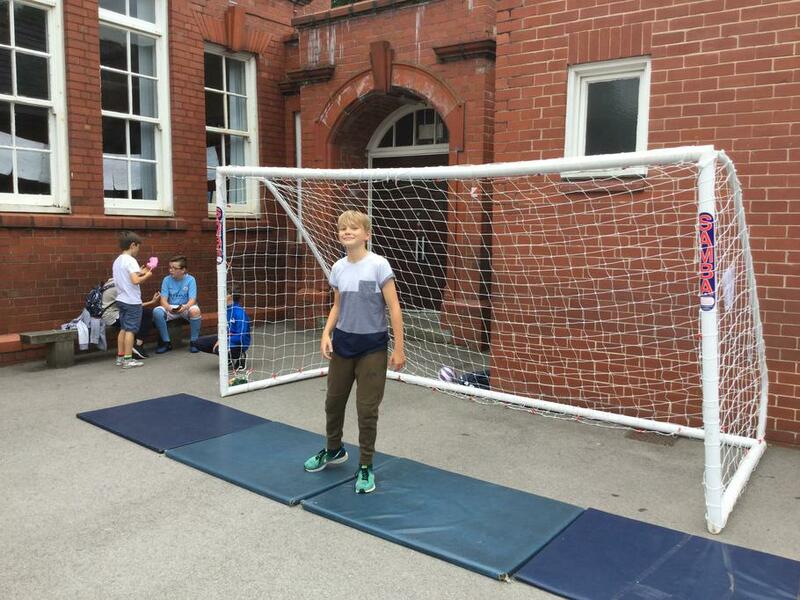 A big thank you to the organisers Mr Odell and Mrs Cronshaw, assisted by the year 6 sports leaders. 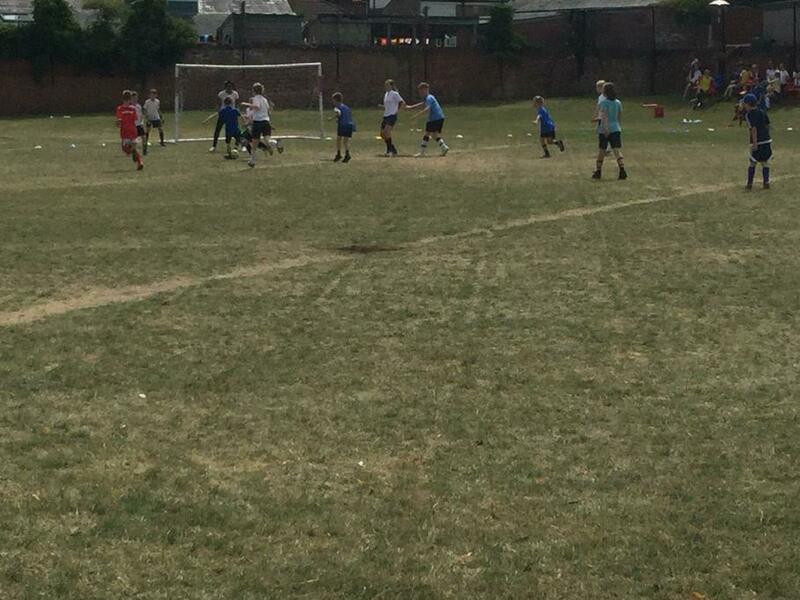 The matches were expertly refereed by Mr Whitehead and Mr Smith. 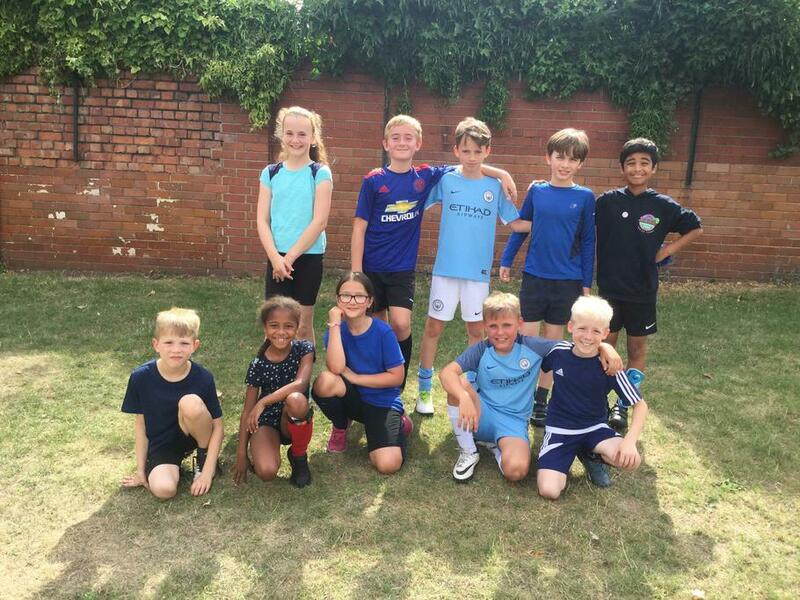 We are absolutely delighted to have been awarded the Platinum School Games Mark this year, in recognition of our great sporting commitment at Stamford Park Junior School. There is only one other school in the whole of Trafford who has this prestigious award! Many thanks to all the children and the staff that have helped us on this exciting journey! 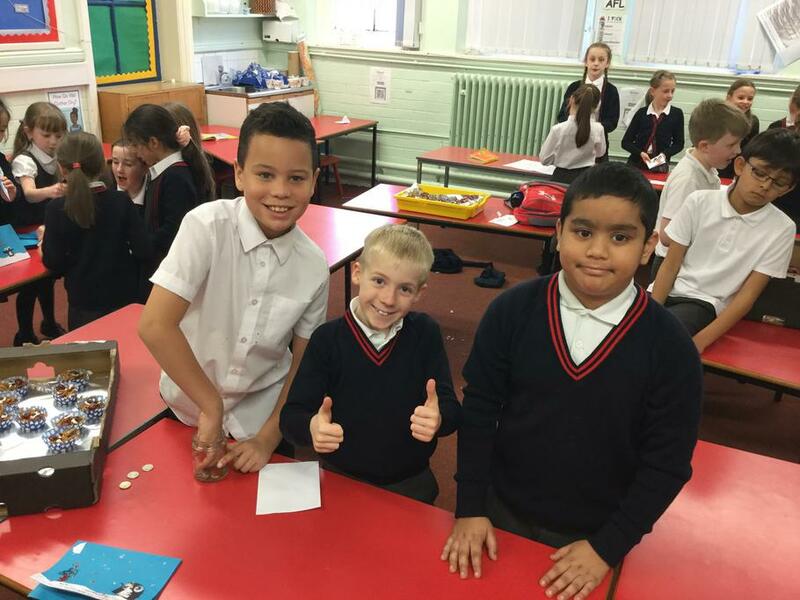 This term, we’ve been taking part in the Apprentice Competition, which is run by Manchester Airport. 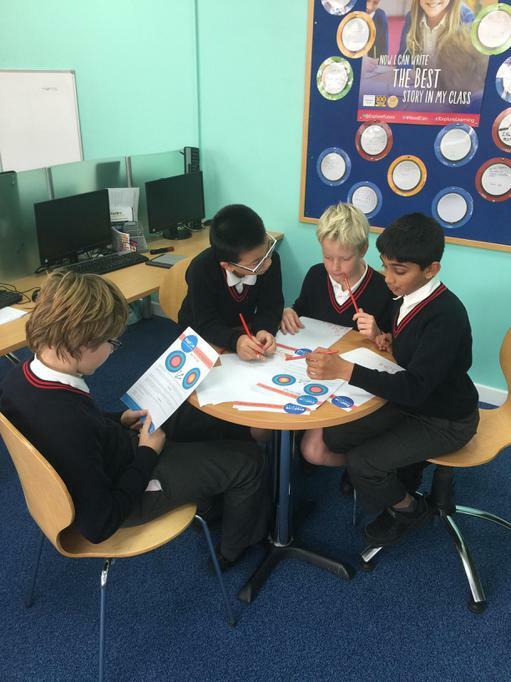 The Year 6 children worked in groups to come up with a Sun Safe campaign. 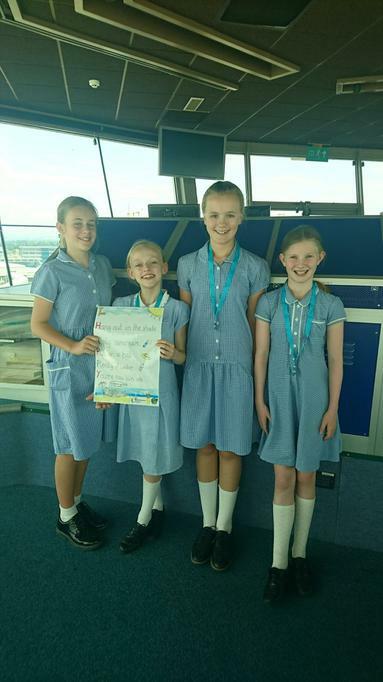 Our winning group (shown below) went to present their ideas in the Manchester Airport boardroom yesterday and they did really well. 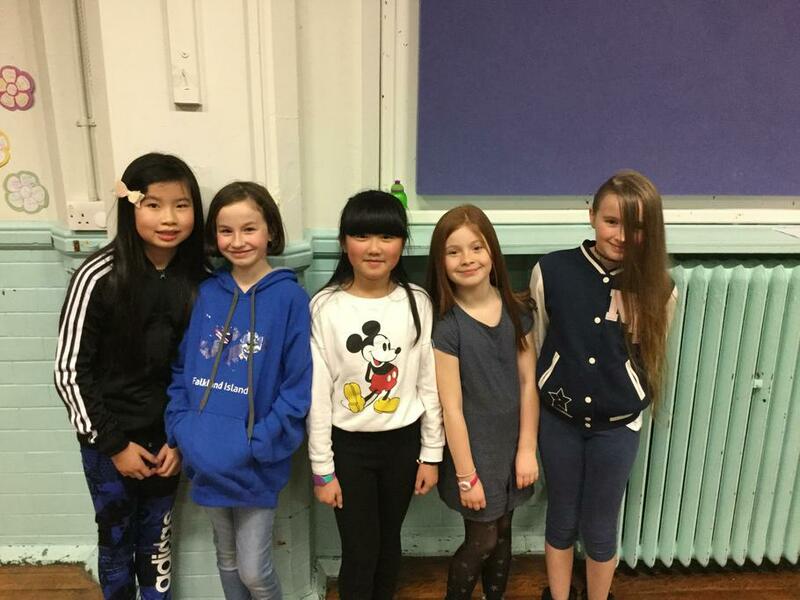 They came fourth out of all the schools that took part so a huge well done to them and their fantastic ideas! 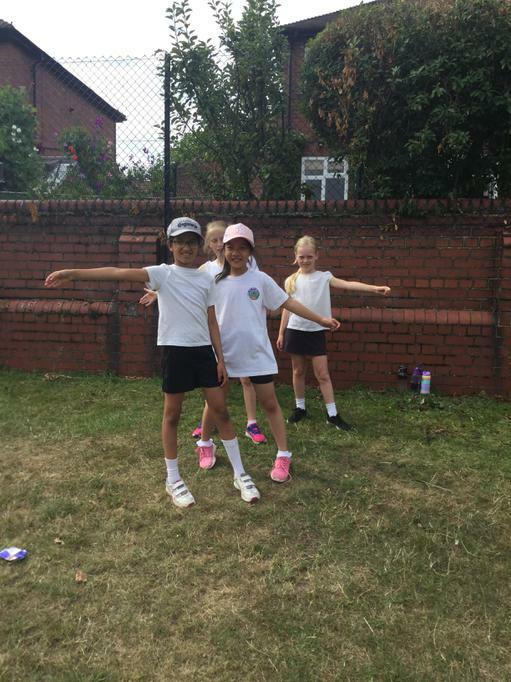 This year, we are asking our current Year 5 children to apply for different roles in September. Further information on each job role can be found on the documents below. I look forward to receiving your formal letters of application by Tuesday 3rd July. 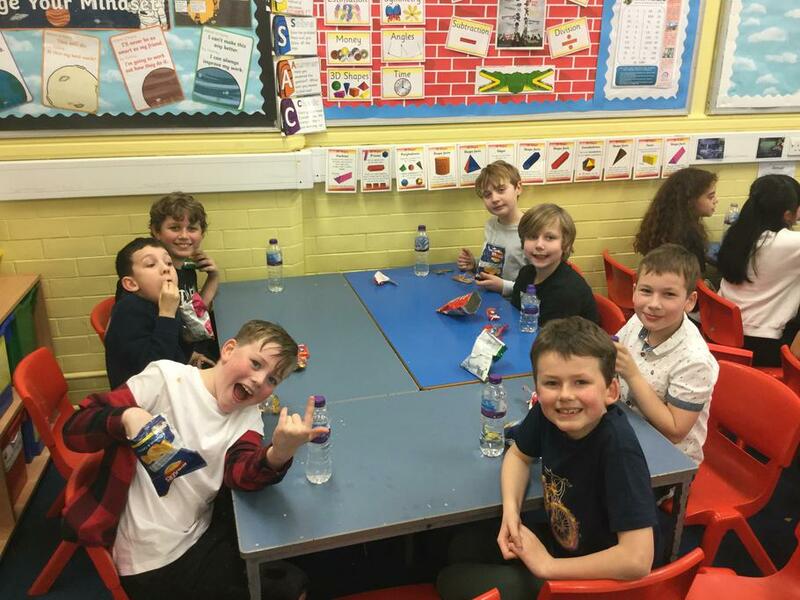 This week is a Healthy Eating Week and all the children have been taking part in a range of different activities linked to making healthy choices. 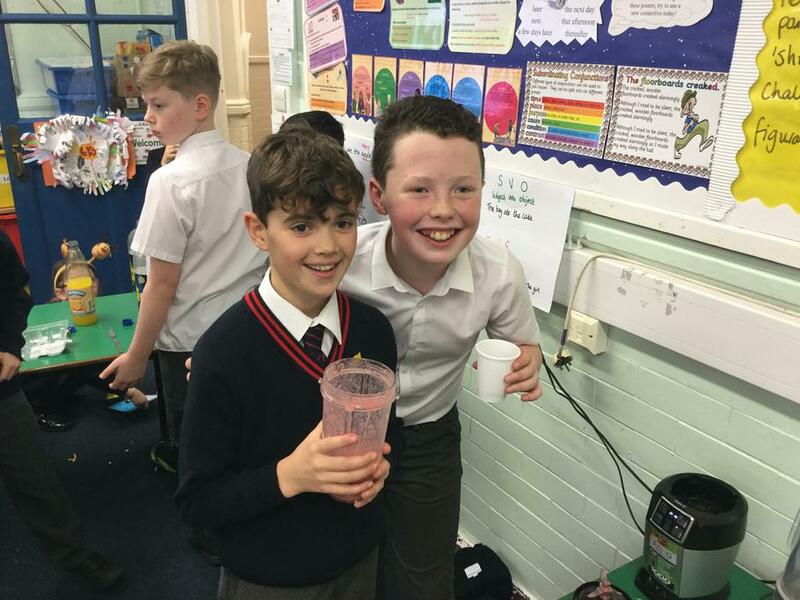 To give you a little insight into what we’ve been getting up to... Miss Richardson’s class have been completing the squat challenge everyday, Mrs Columb’s class have been planning healthy meal collages and Mrs Rodger’s class have been designing and testing smoothies! 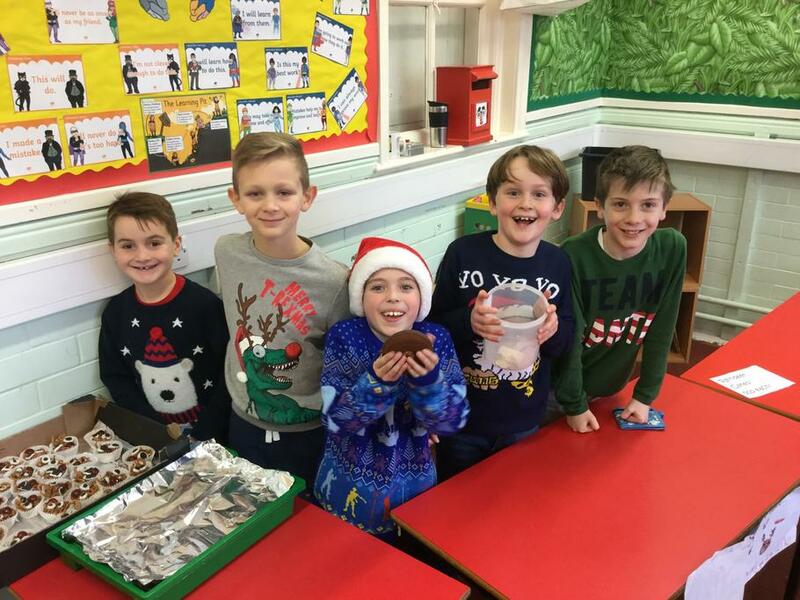 A huge congratulations to our fantastic Eco Council for their outstanding work this year. Yesterday, after a very assessment afternoon for them all, we were awarded the Eco Green Flag Award! 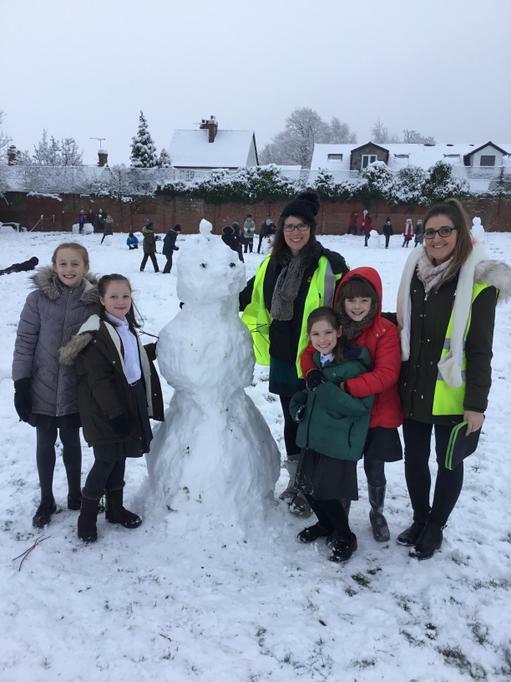 A big thank you to both Mrs Southworth and Mr Dolce (our Eco Governor)! 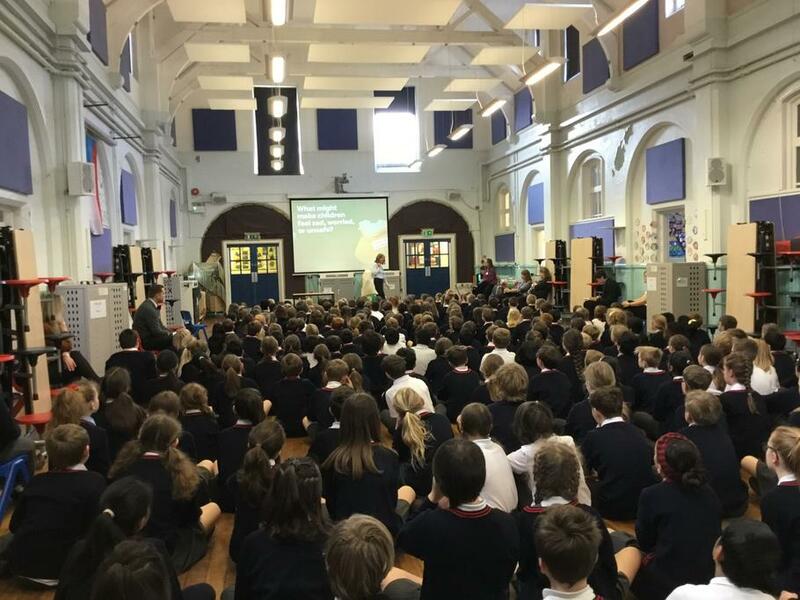 This week, we are holding our first ever ‘Science Week.’ We started off with a brilliant assembly led by Miss Miller, which inspired all the children. 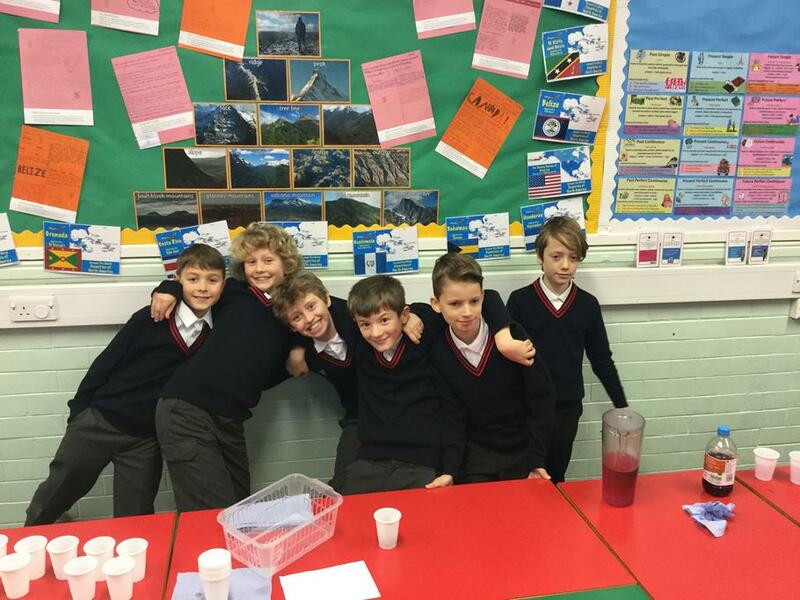 This afternoon, we’ve been carrying out a range of science experiments and are looking forward to our Science Fair on Friday afternoon. We hope that parents are able to join us from 1.45pm to 2.15pm on Friday for this. 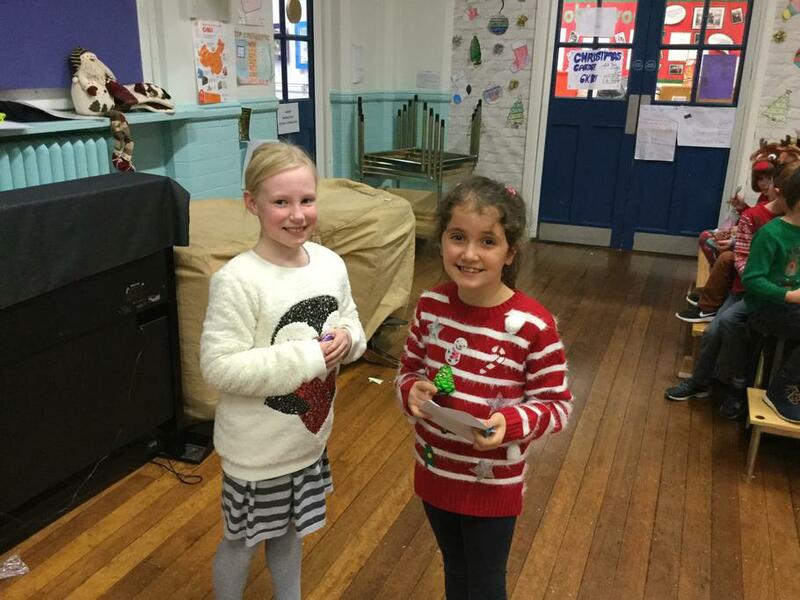 A huge congratulations to all the children who took part in the Maths Challenge this year. 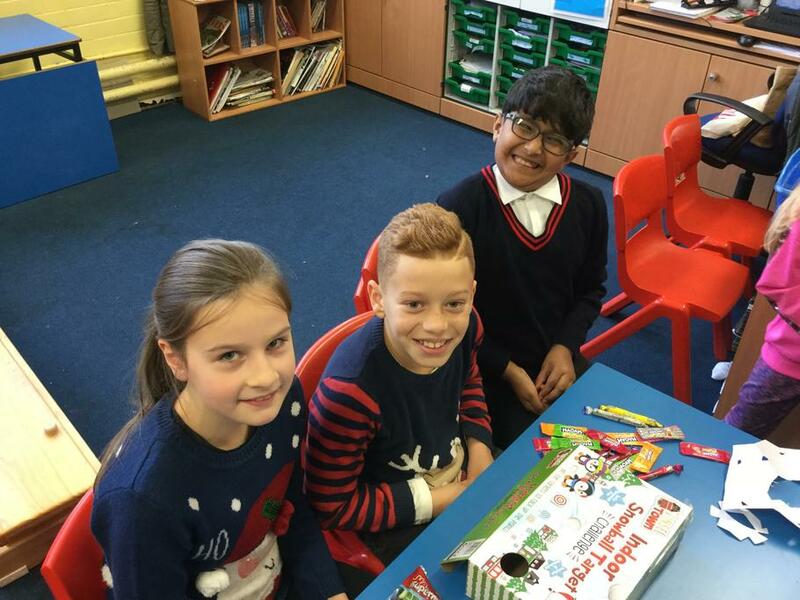 Some of our children were even entered into the Bonus Challenge round (pictured below) due to the high scores they attained! 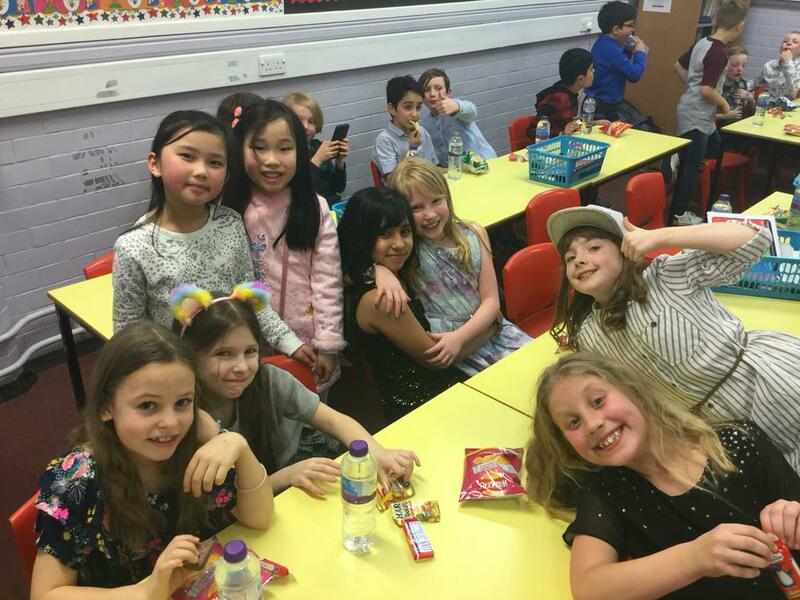 For the first time ever in our school's history, we had one child who scored so highly in the Bonus Challenge round that she was awarded a gold medal - a big well done to all the children! 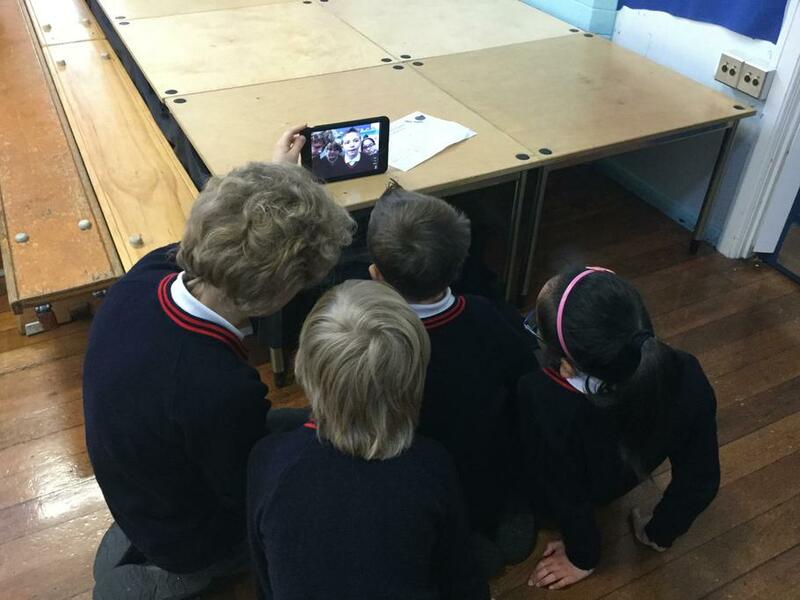 We are currently holding our first ever Film Week at Stamford Park Junior School. 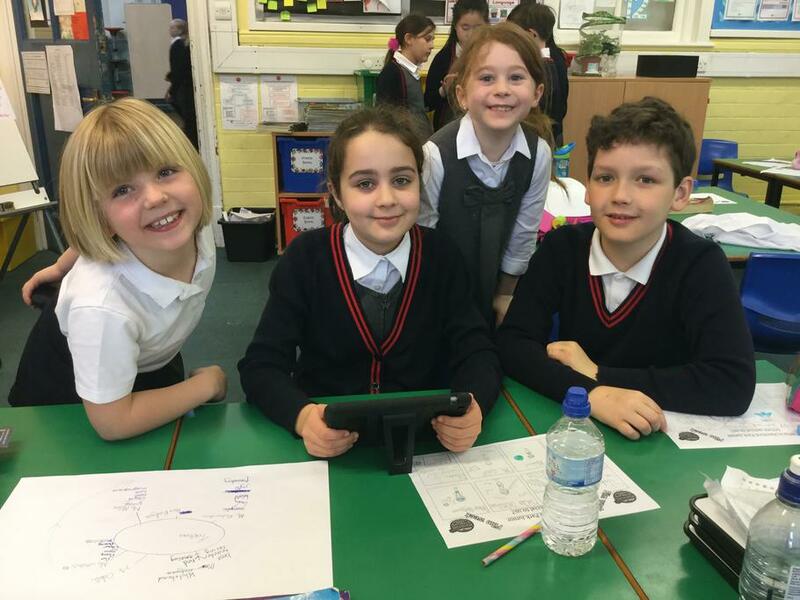 The children are spending part of this week working in mixed age groups to create a film entitled 'What makes Stamford Park Junior School special." We will be sharing some of the films on our Facebook page and our website early next week. Next week, we will be holding an International Food Week! 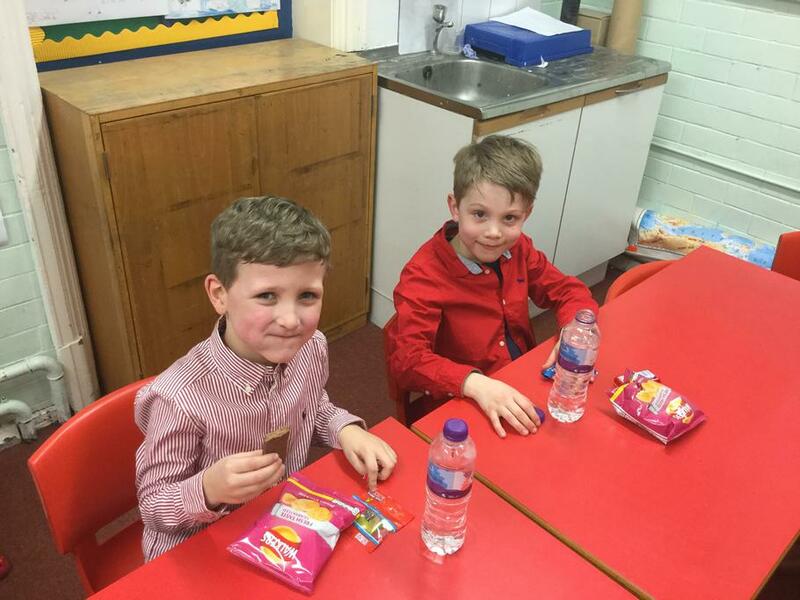 We hope as many of the children as possible will sign up to have school dinners during it. For more information, have a look at the menu below. 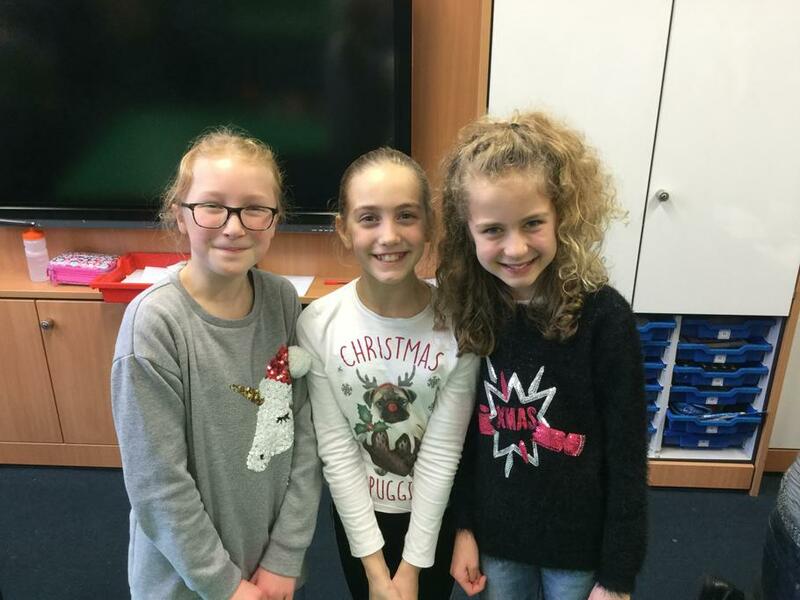 They'll be a daily food quiz each day too and the week will end with an own clothes day on Friday 16th March; we'll be collecting donations for the Hope Agency in Cambodia for this. 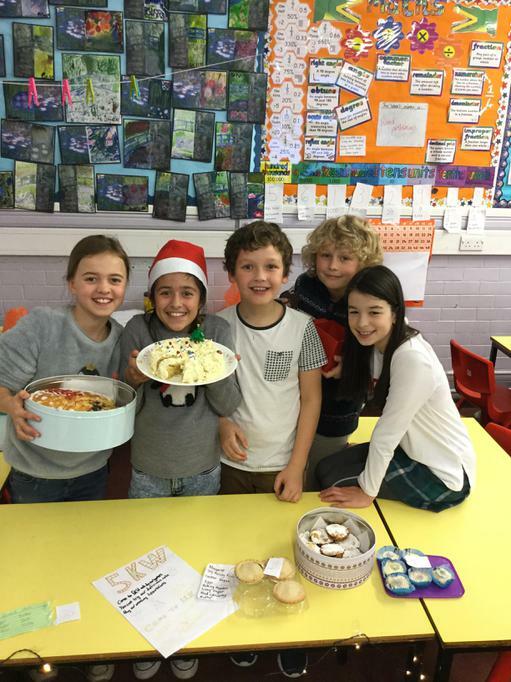 They'll also be a school kitchen cake sale on Friday 16th March at 3.15pm in the Upper Junior playground. 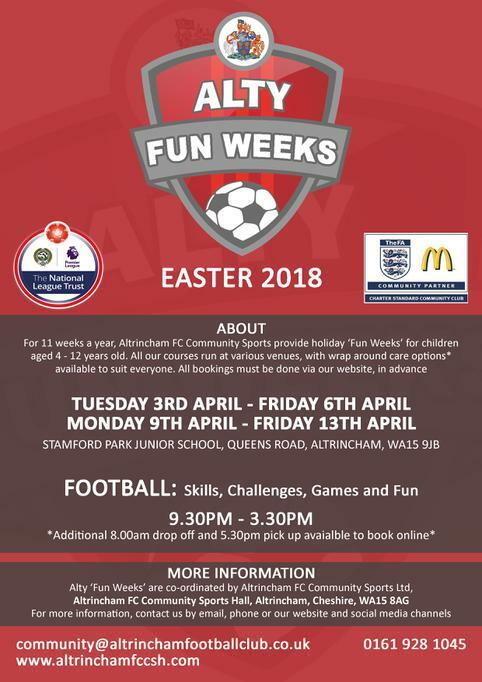 Based at Stamford Park Junior School, Altrincham FC are offering two weeks of football skills, games, tournaments and workshops (including specialist Goalkeeper, Strikers and Freestyle Skills mornings). Please direct any questions to AFC. 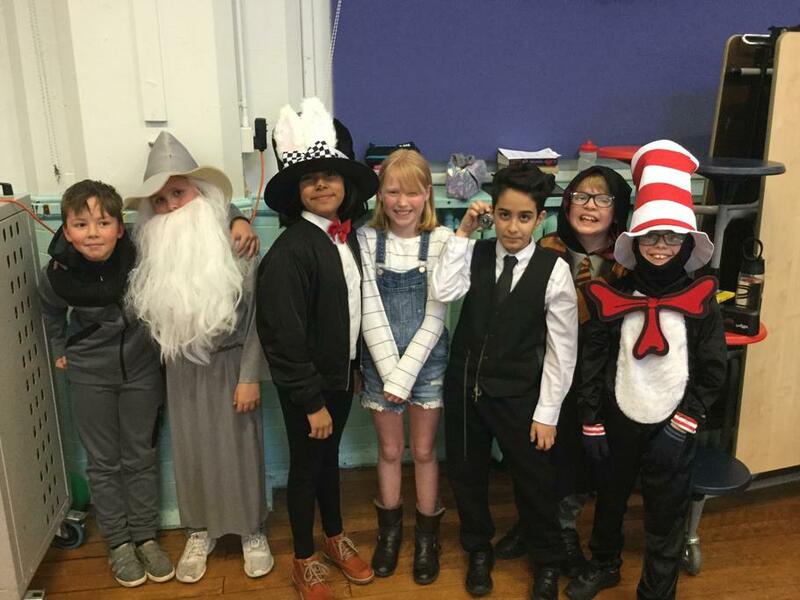 Our World Book Week is off to a great start with our mixed English lessons this week. We’ve got books about penguins, potatoes and wizards on offer for the children to choose from! 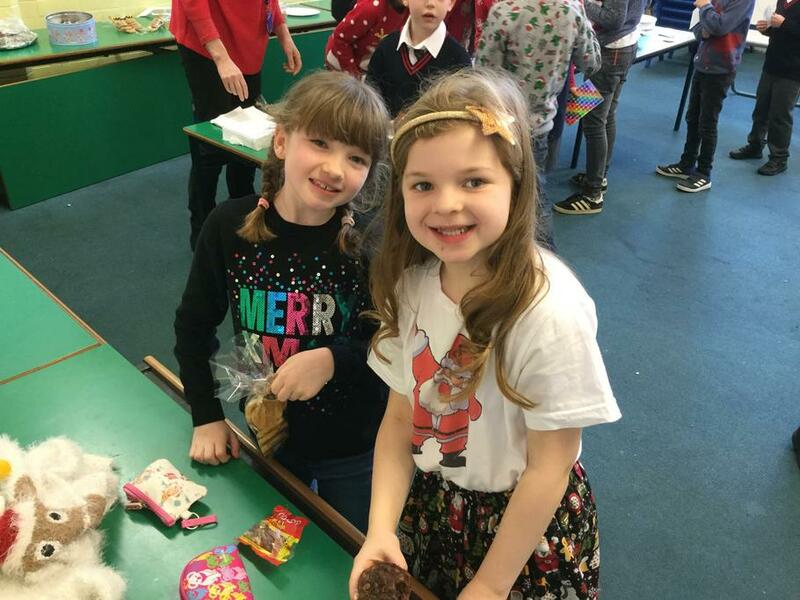 Please remember that our book fair will be in the Upper Junior playground from 3.15pm (and everyday until Thursday) and today our Senior Choir will be performing there too. 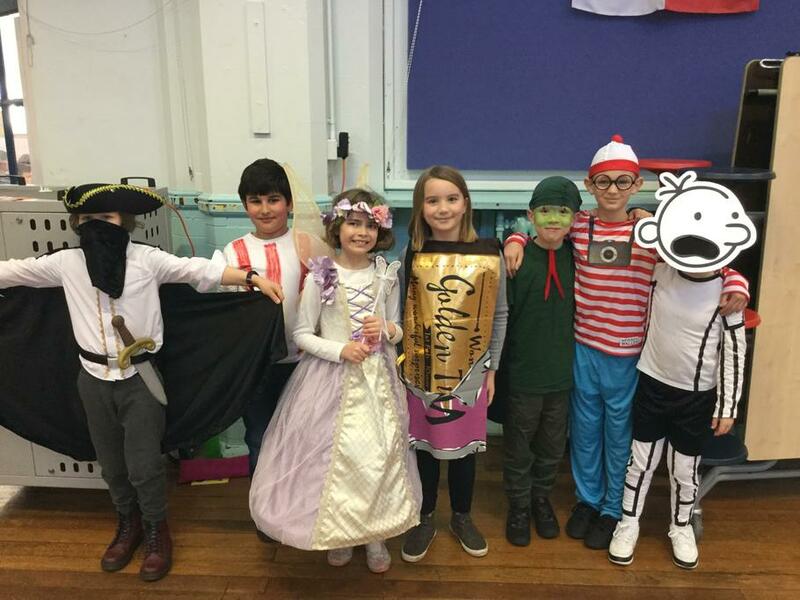 Next week, we will be celebrating World Book Day with a range of activities which will stretch across six days. We will be starting our celebrations this Friday with a visit from the author Ian Billings. If any children wish to purchase one of his books, we would ask that you print off and send in the order form below. 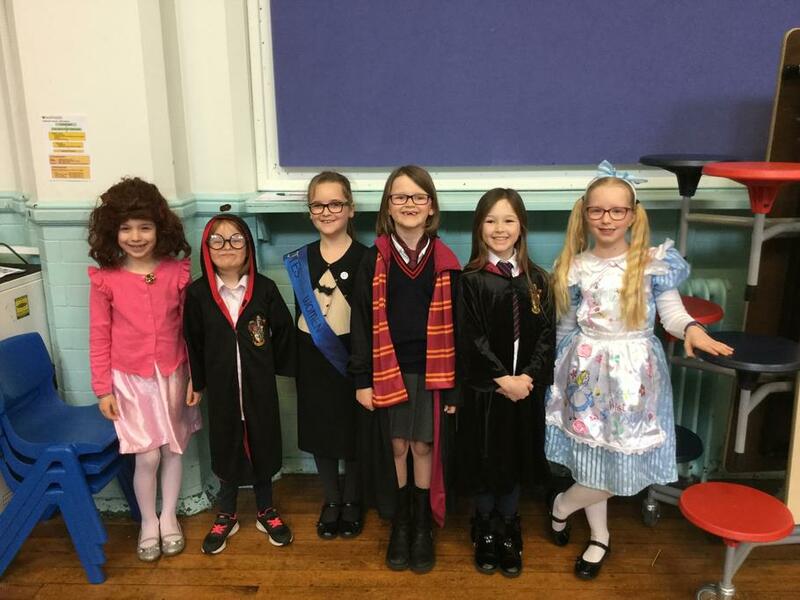 During the week commencing Monday 26th February 2018, each teacher will select one of their favourite books and the children will get to choose which class they have English in for that week. We also have several parents coming in to read to the children, workshops with an illustrator and many more exciting things planned. 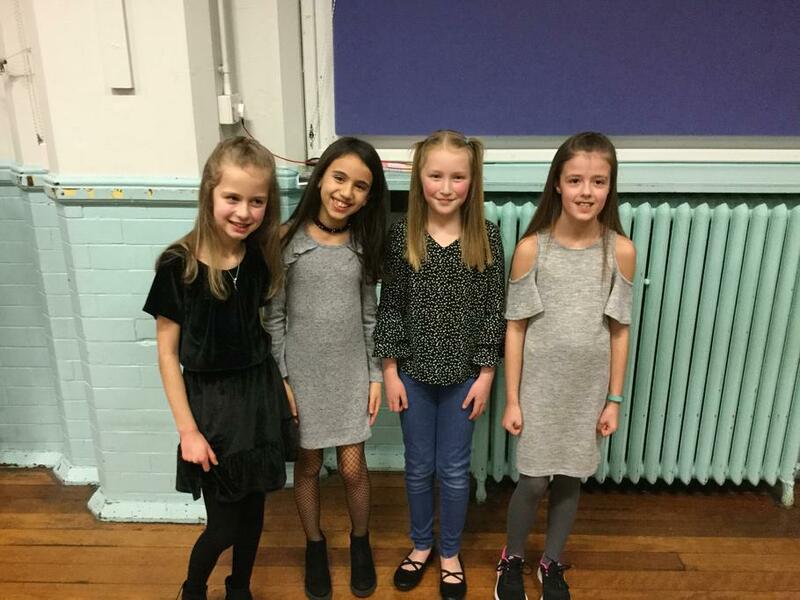 We all had an amazing time last night at the PTA's Big Disco. 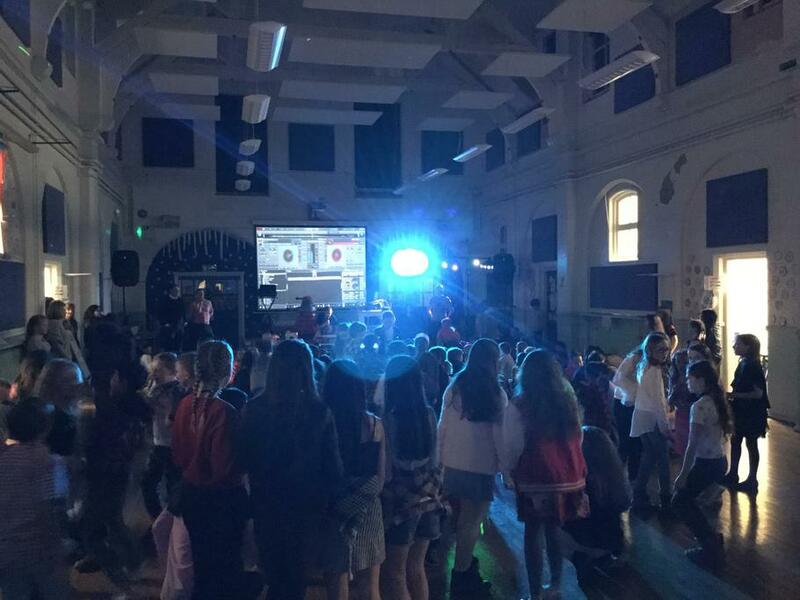 A huge thank you to all the parents who helped with this event and to the brilliant Mr Scotson for a very lively disco! If you are looking for something different for your Year 6 child to do in the half term holiday, have a look at the following activity. 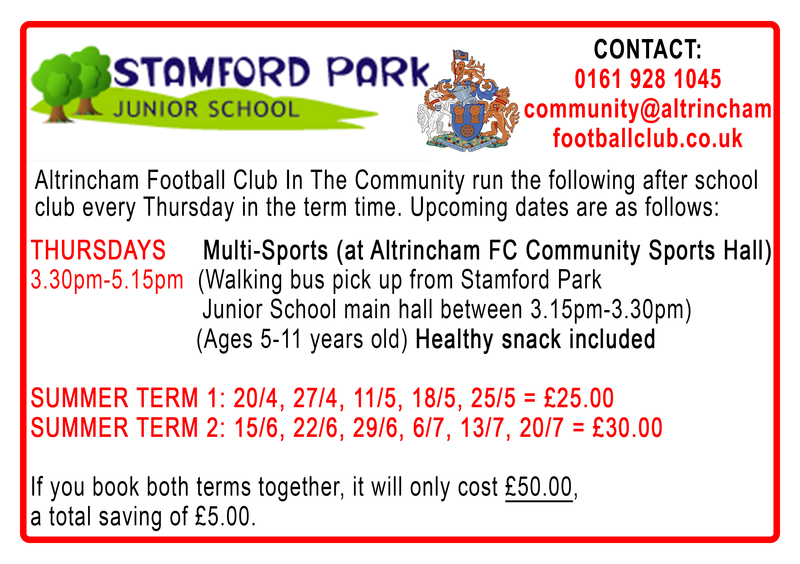 This is being run by the St Peter's House and all Year 6 children are welcome to join. Contact them for further information. This half term is already proving to be a very busy one. 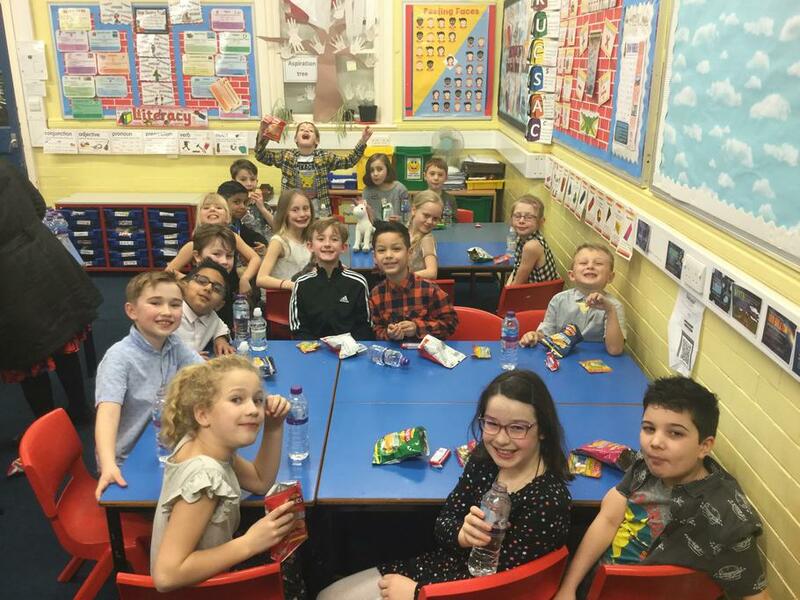 Our Year 6 children thoroughly enjoyed their Evacuee trip last week and are now looking forward to attending Crucial Crew this week. Our Year 4 children have all enjoyed the third week of their musical instrument lessons this week with Trafford Music Service. 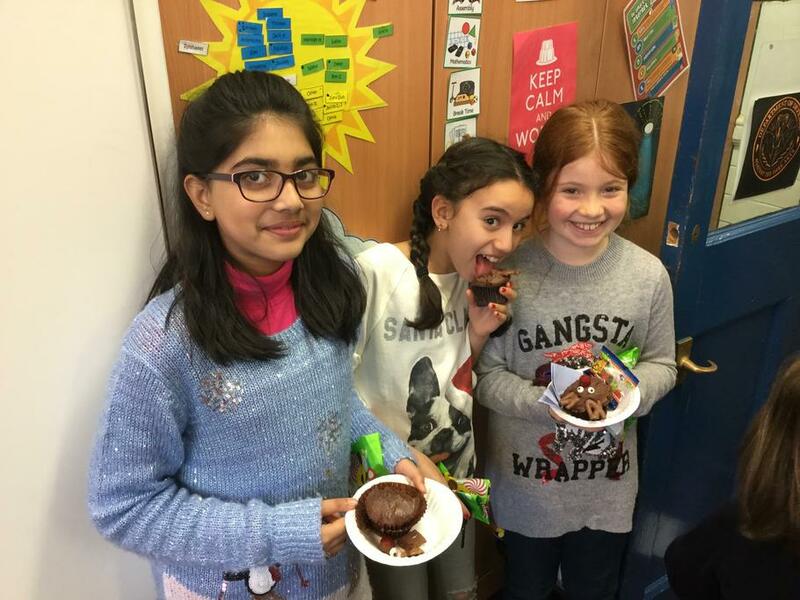 We've got lots of exciting things coming up at Stamford Park Junior School including International Food Week at the end of February, World Book Week at the start of March and our first ever Film Week in mid March too. 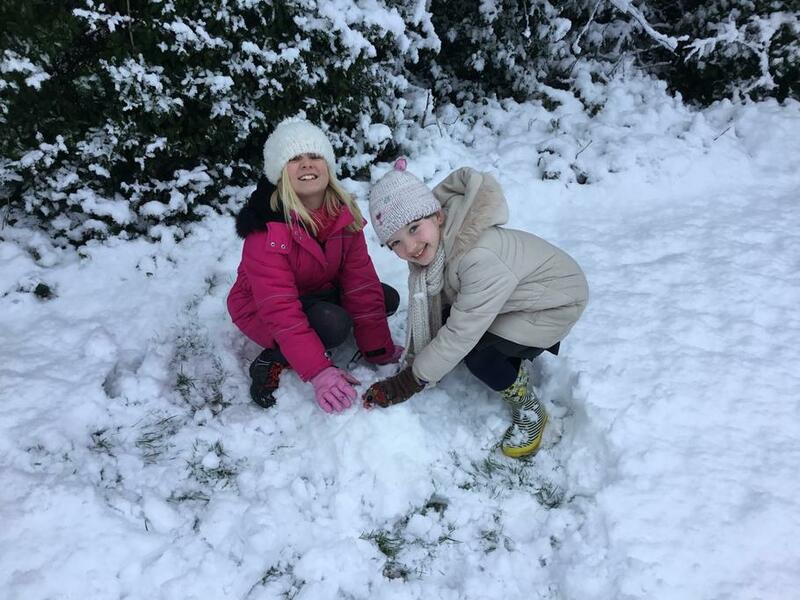 Look out for more updates on our Facebook page and in our weekly bulletins too. 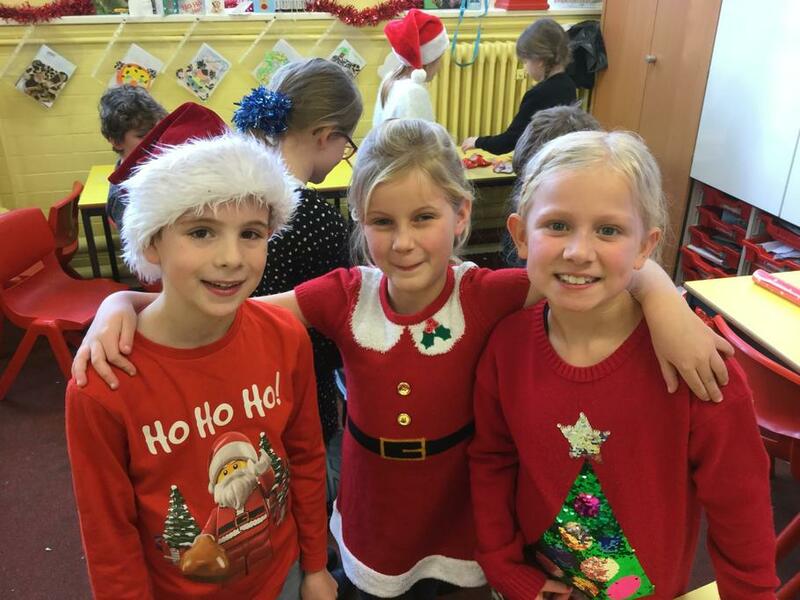 Today, the children organised and held their own Christmas Fair. 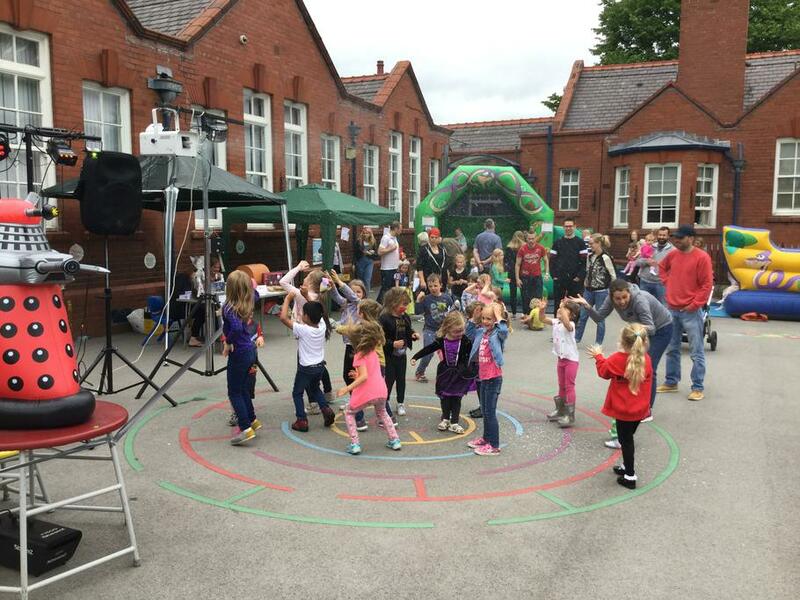 The event was, as it always is, a huge success with a wide variety of stalls being on offer. Here’s just a glimpse of some of the exciting things that have taken place today. 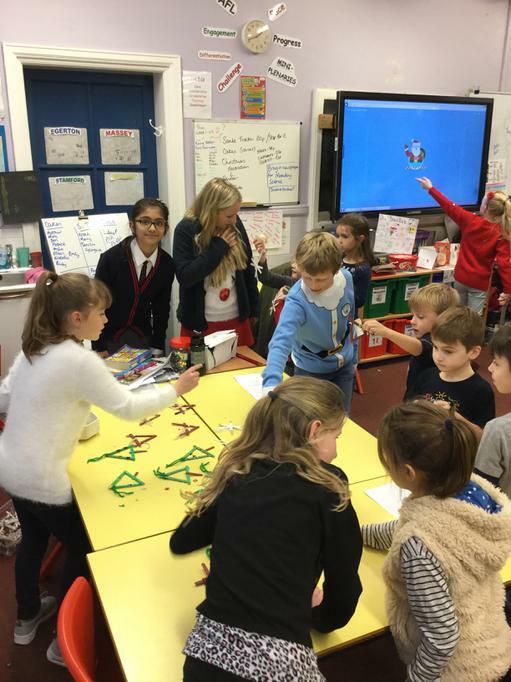 Today, the whole school took part in a Maths Day. 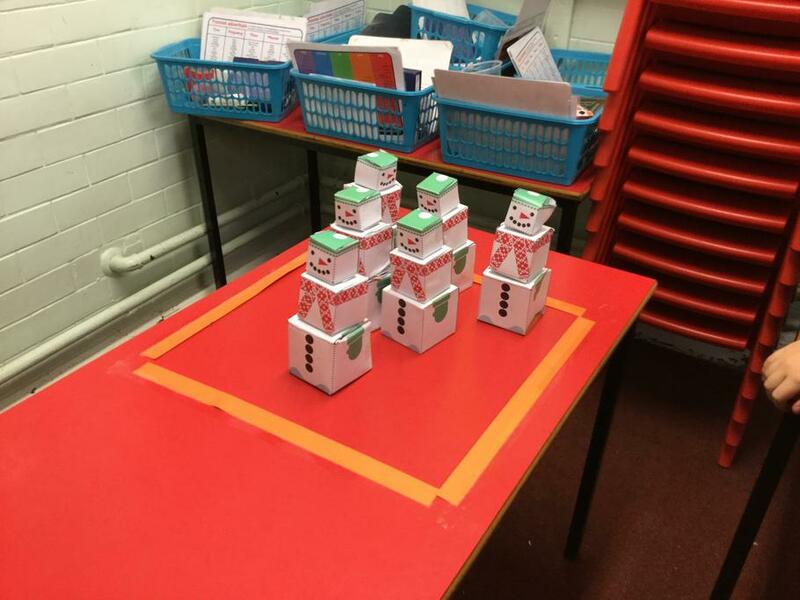 This saw every lesson across the classes involving or being related to maths. We even managed to include maths in our English lessons, writing poems and raps to help us remember calculation methods. 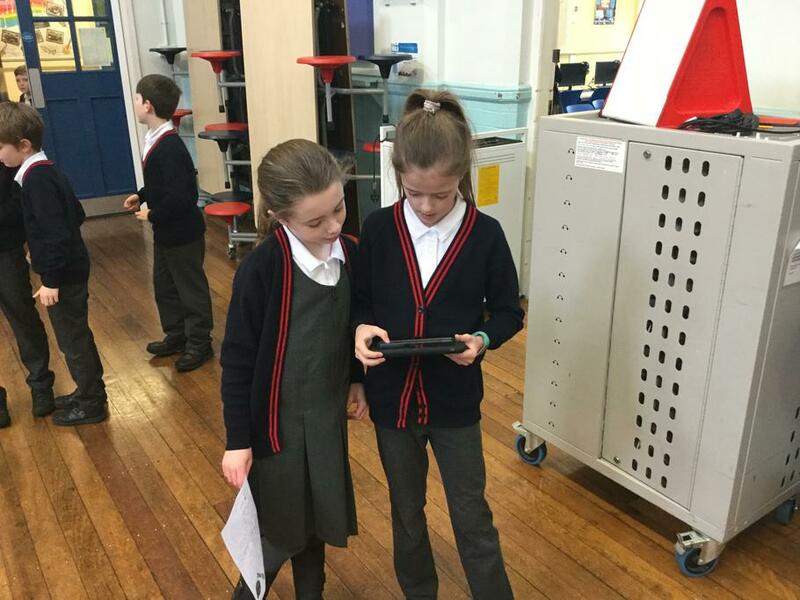 Each class took part in a class quiz. 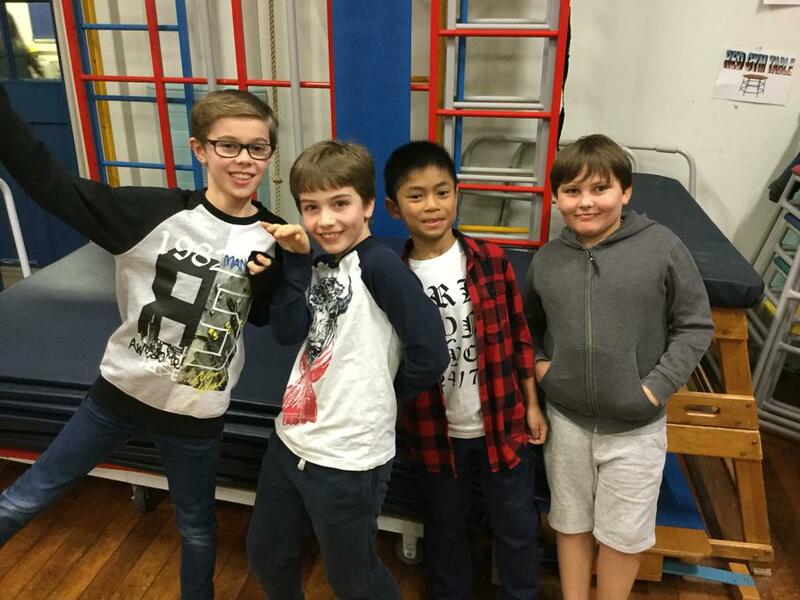 They were in teams of 4 and competed to win a place in the Maths Factor Final. 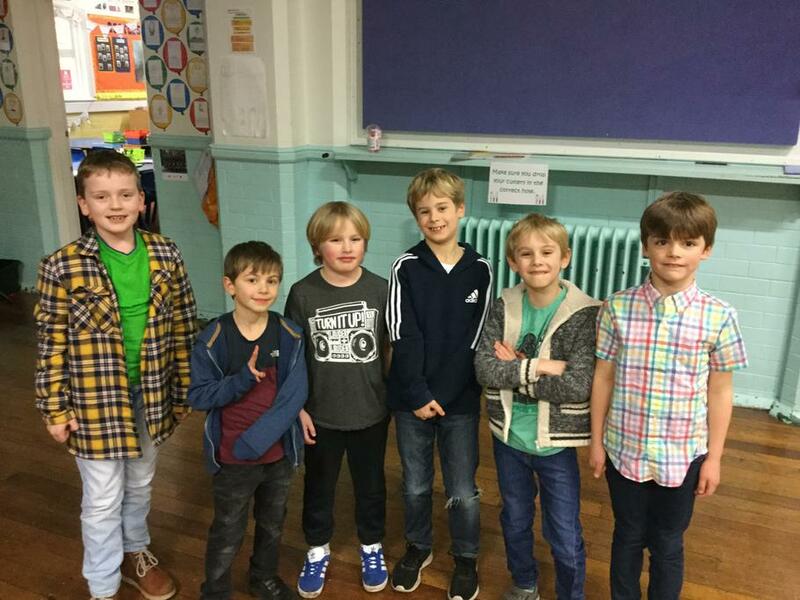 Blake Thorn (Mr Odell) returned to host the final for the upper and lower juniors. 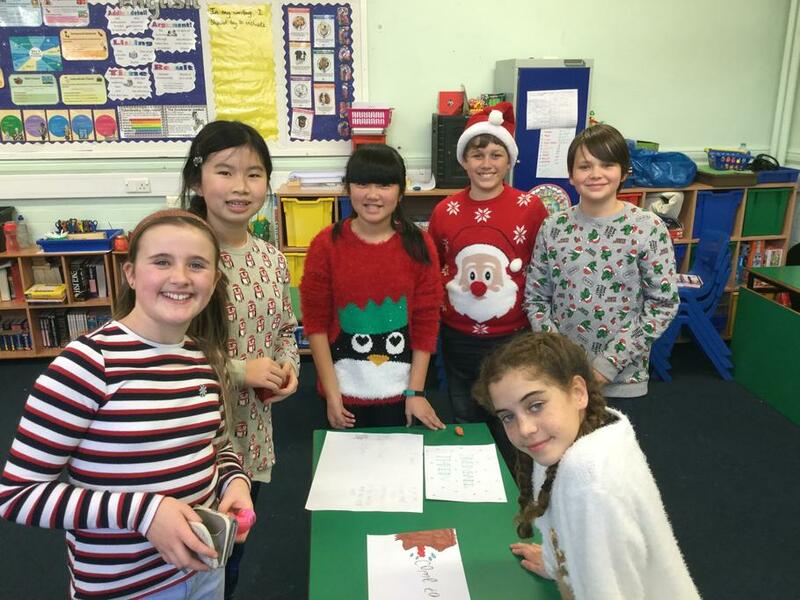 All teams were cheered on by their class mates and they all worked well together to solve maths problems and puzzles. 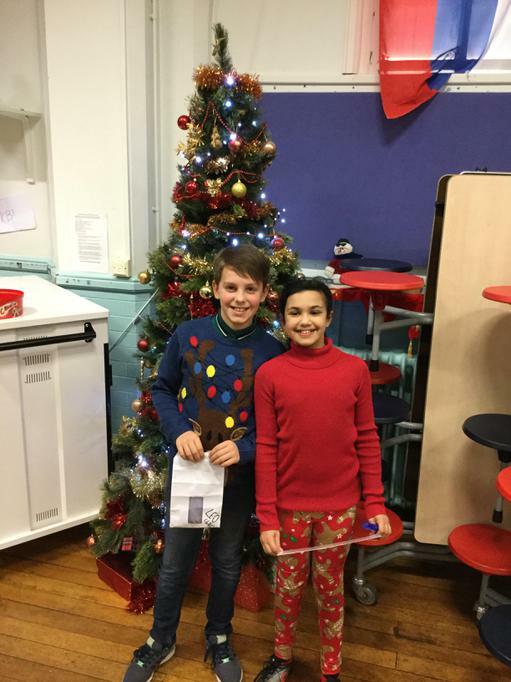 Well done to the winners! 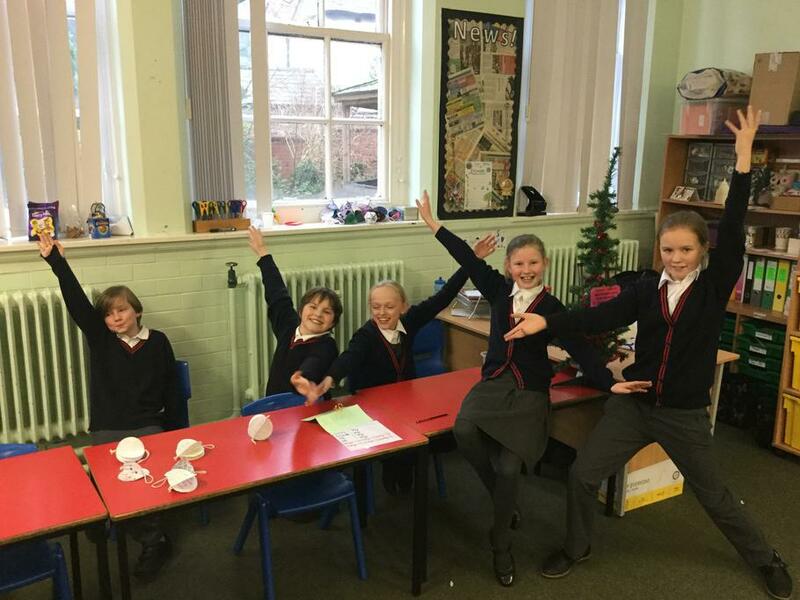 A huge congratulations to our Year 6 pupils who took part in the Wellington School quiz earlier this week. This is now the seventh time that we have run the trophy out of the thirteen years that the quiz has taken place! 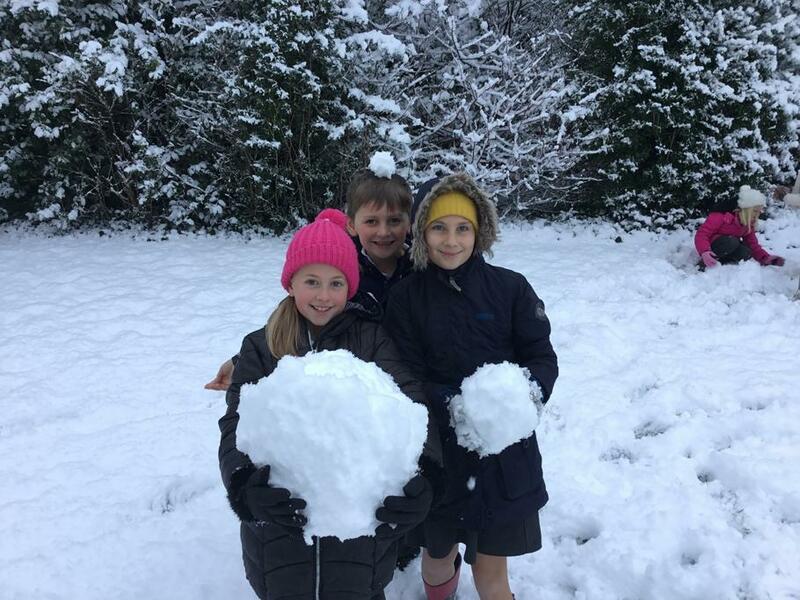 Well done to the children! Today, our Year 6 children attended a Remembrance Service at the war memorial near St Margaret's Church in Altrincham. This service was attended by many local schools and marked an important event. Today we had our annual Harvest Assesmbly at school. 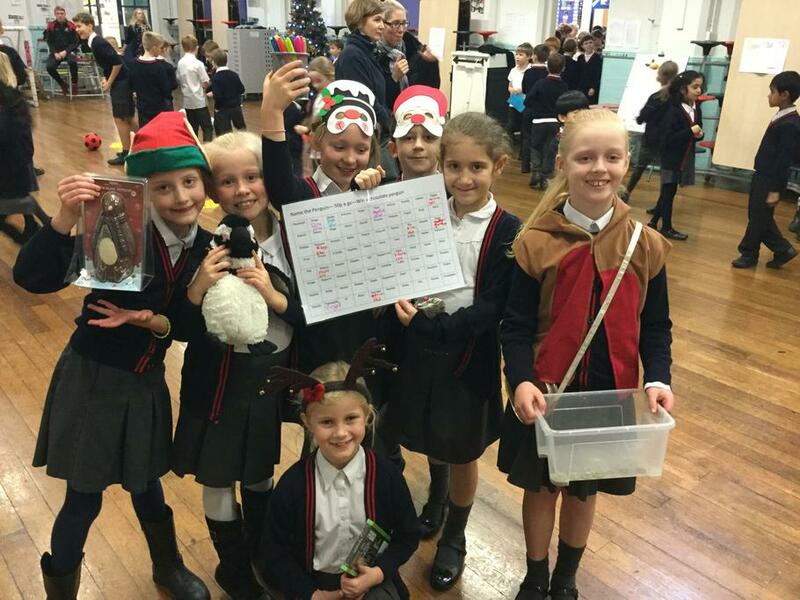 It was led by our very talented Year 4 children, who were word perfect throughout! 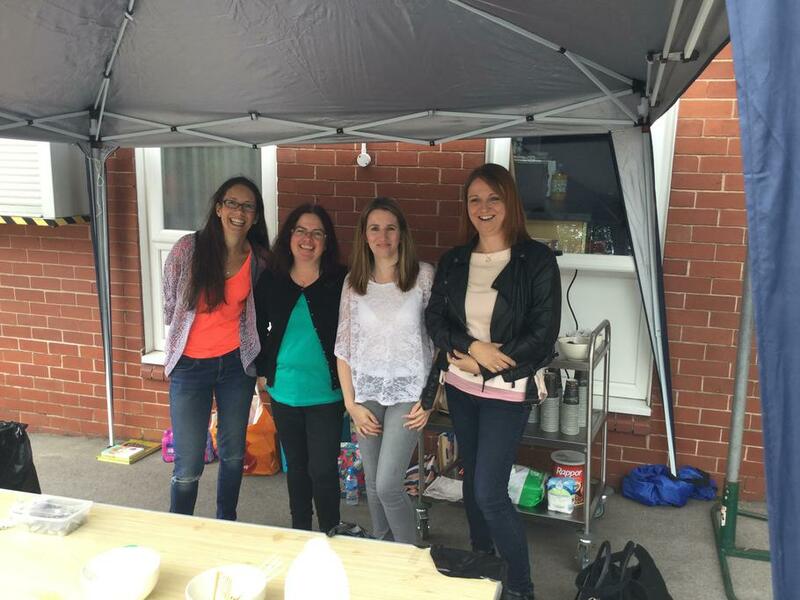 A big thank you to all the parents and families who have donated food to the Altrincham Foodbank too today. 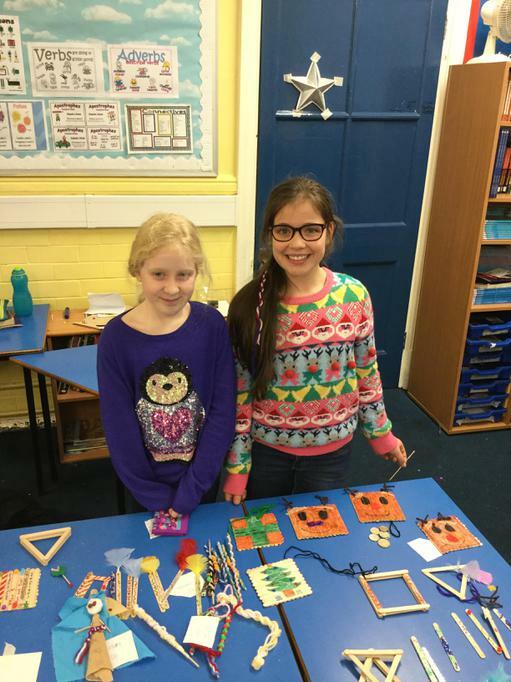 On Friday 6th October, we will be holding our annual Harvest Festival, which is led by Year 4. Parents are welcome to join us for the celebrations. Our harvest collection this year will be sent to the Altrincham Foodbank, where donations enable them to provide three days' worth of emergency food to local people in crisis. 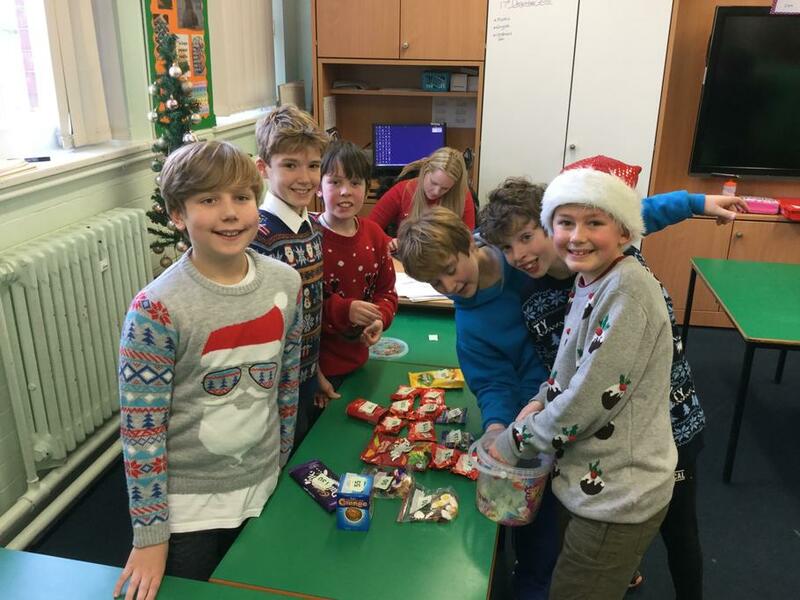 Presently, they are short of the following items: tinned meat, tinned fish, tinned fruit, custard, coffee, instant mash, juice, tinned spaghetti, tinned tomatoes, pasta sauce, rice pudding, sponge puddings, biscuits and jam. 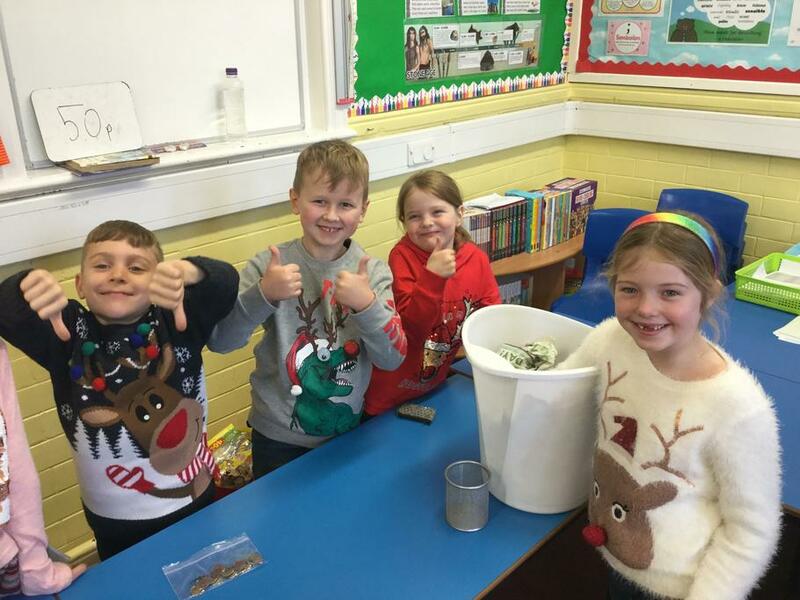 Any donations of money will be sent to The Childrens' Adventure Farm Trust. Please send any donations in during the week beginning Monday 2nd October. Thank you for supporting us. 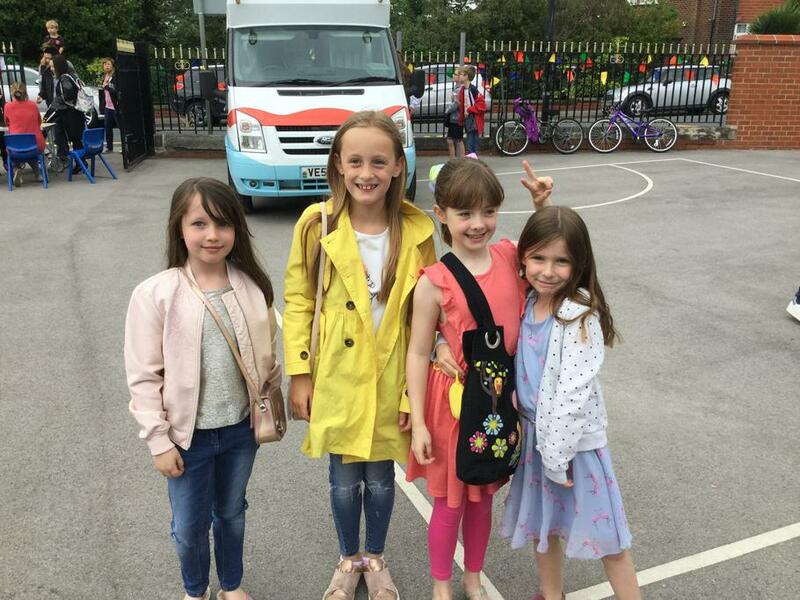 Welcome back to the new school year and a warm welcome to all our new Year 3 children. We have our "Meet the Teacher" event on Wednesday 6th September 2017. 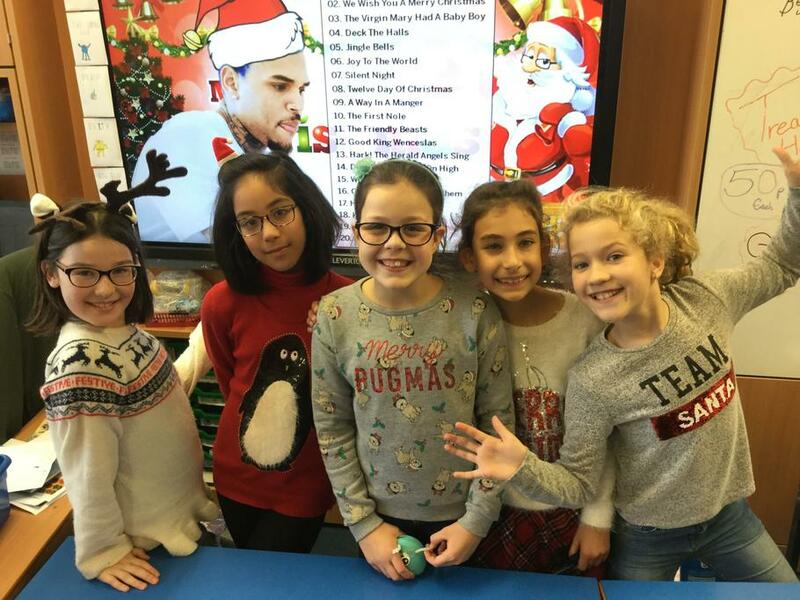 The teachers will be sharing their presentations at 4.30pm and then repeating it at 5.00pm so we suggest you try to attend at one of those times. There will also be a meeting on Thursday 7th September for any Year 4 parents interested in sending their child on our PGL trip next June. This will take place in the hall at 6.00pm. 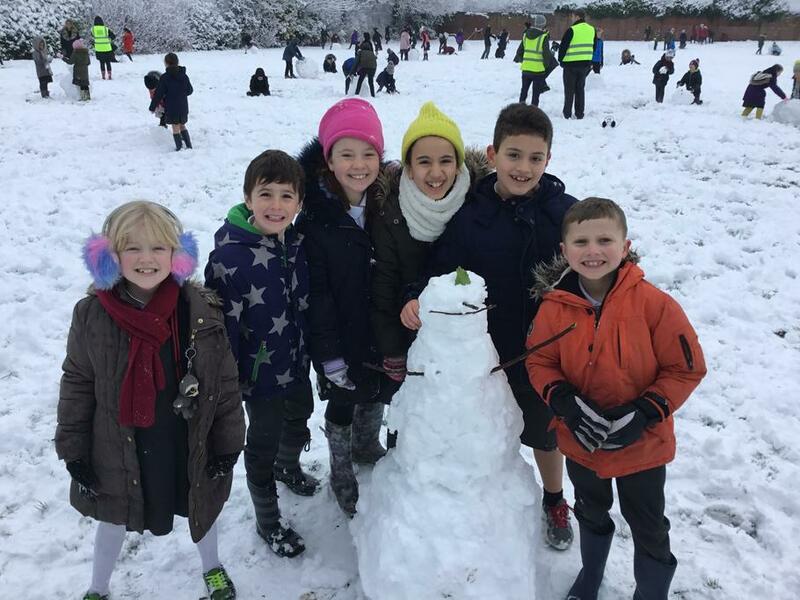 This year, we are asking our current Year 5 children to apply for different roles in September. Further information on each job role can be found on the documents below. I look forward to receiving your formal letters of application by Thursday 20th July. We are all very excited to have been awarded the NACE Challenge Award. 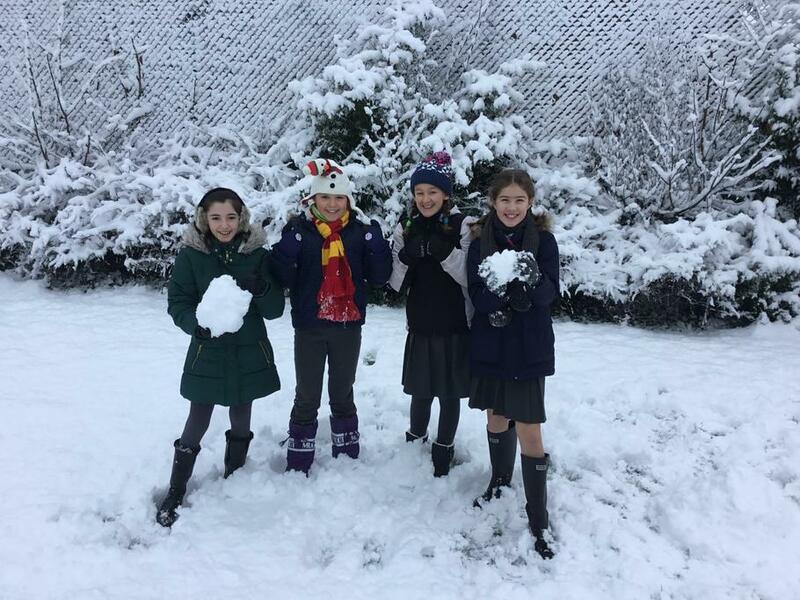 In fact, Stamford Park Junior School is the 400th school nationally to achieve the prestigious NACE Challenge Award. 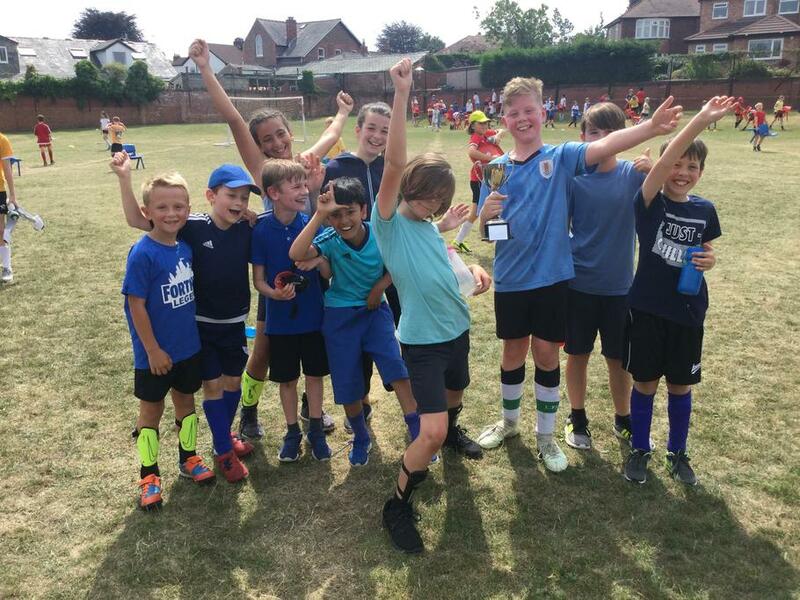 This award is given for high quality work by the whole school, teachers and governors, in challenging all pupils, including those with high abilities, to achieve their best. NACE Chief Executive Sue Riley said: “Stamford Park Junior School has worked hard to win NACE Challenge Award status. 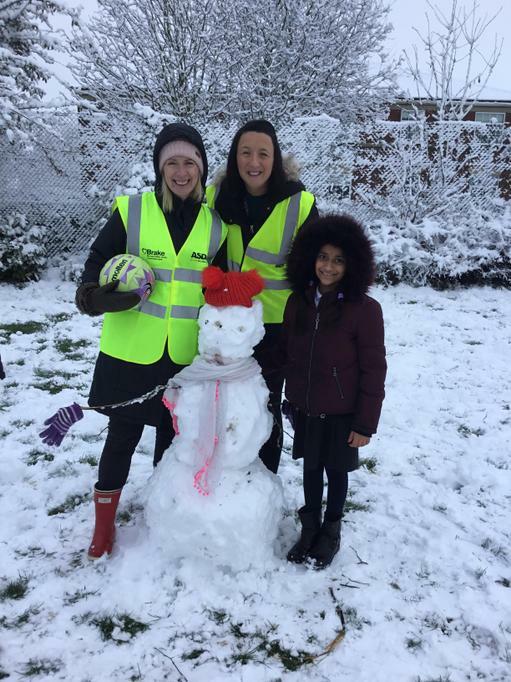 It has shown itself to be committed to developing a school and providing an education where all pupils are challenged to be the best they can be.” A special mention must go to Mrs Rodgers, who has led on this for only a year, yet has achieved more than we ever dreamed possible. For more information on the different awards we hold, please visit our "Awards" page, under the Parents tab. 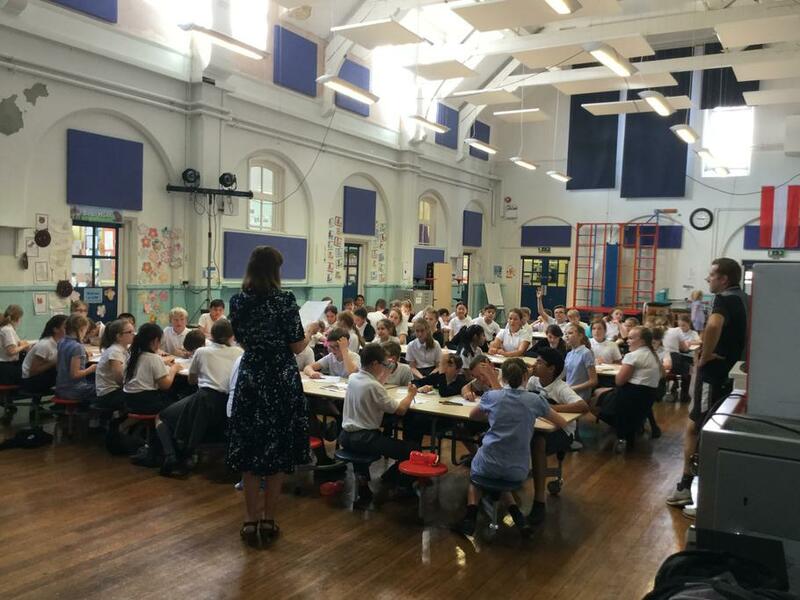 Today, Year 6 took part in a Careers Workshop run by Connexions. 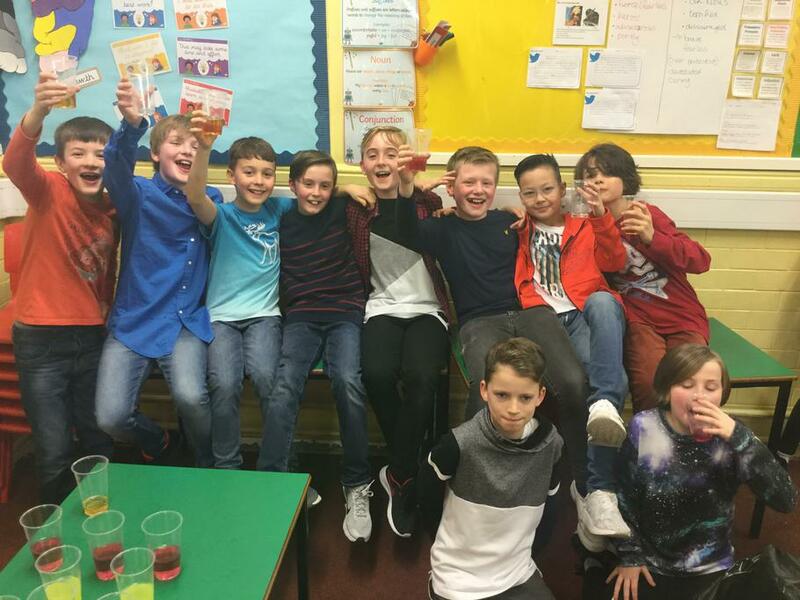 The workshop encouraged them to think about their future aspirations and what they want to be when they are older. Tomorrow, we will be holding a Careers Fair, where we have a number of parents and school governors joining us to discuss their own careers. 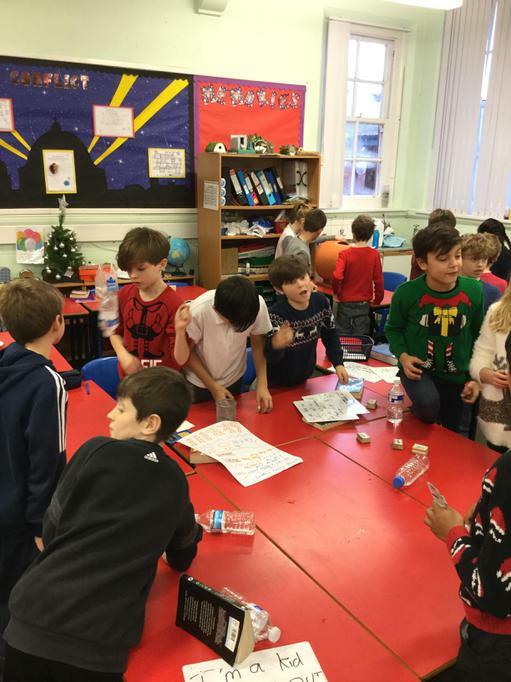 Many thanks to Mrs Rodgers who has coordinated this whole timetable and arranged these very worthwhile activities for the children. 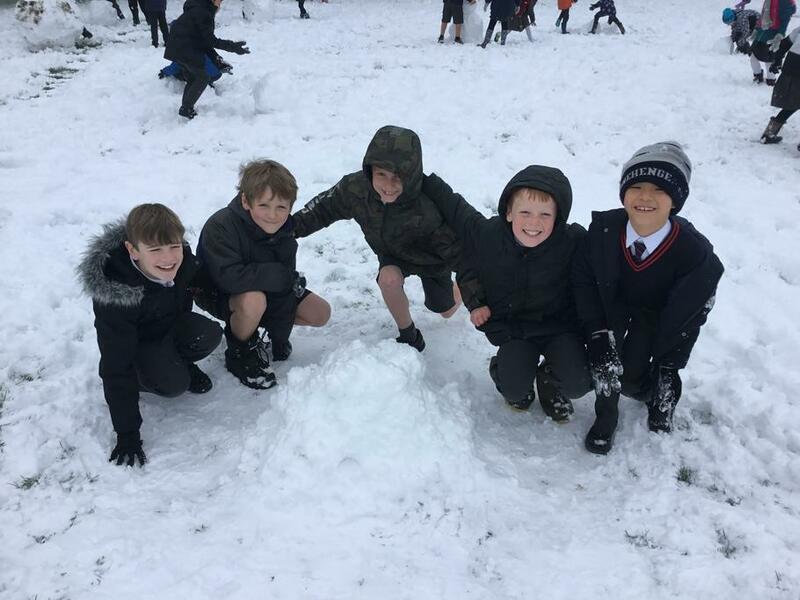 Despite the bad weather on several days this week, we have had a fantastic Sports Week this week. 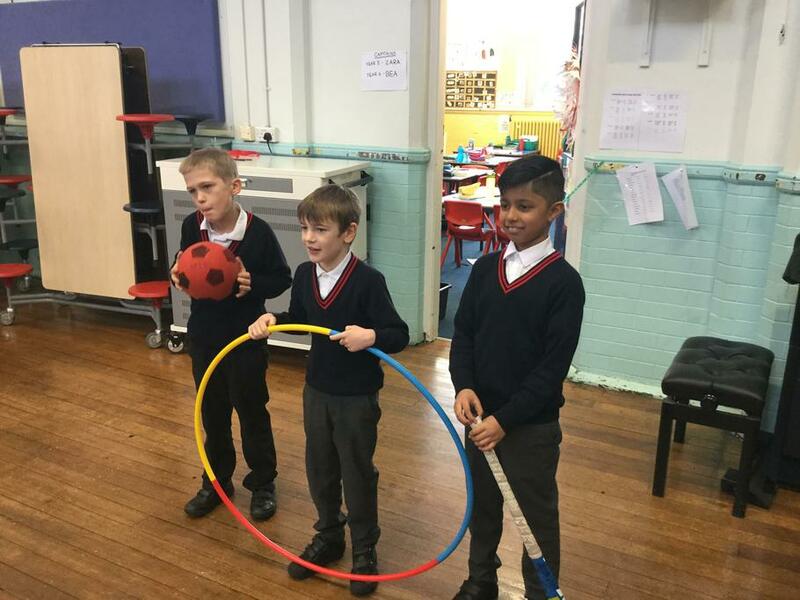 This year, we've tried to introduce new sports to the children and our week started off with bubble football and cheerleading too. 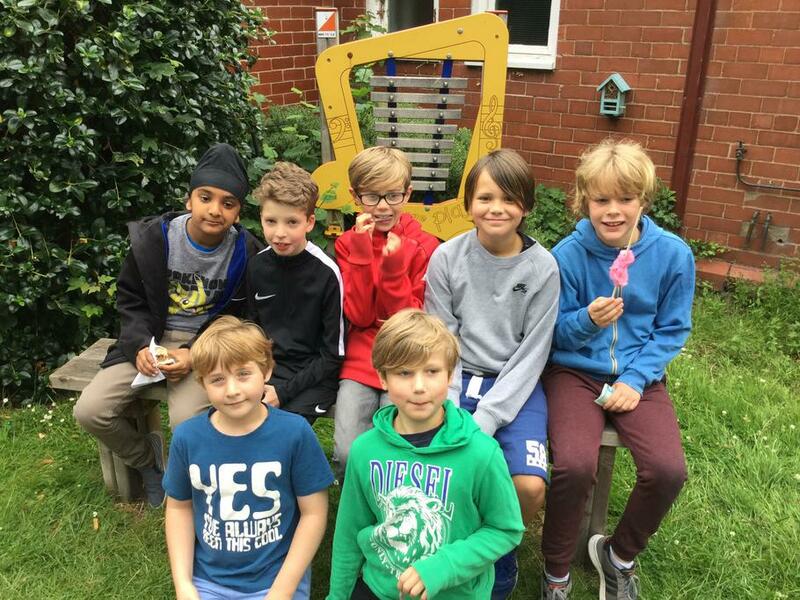 We've also had a go at skateboarding this week and have enjoyed a day out at Hale Lawn Tennis Club. 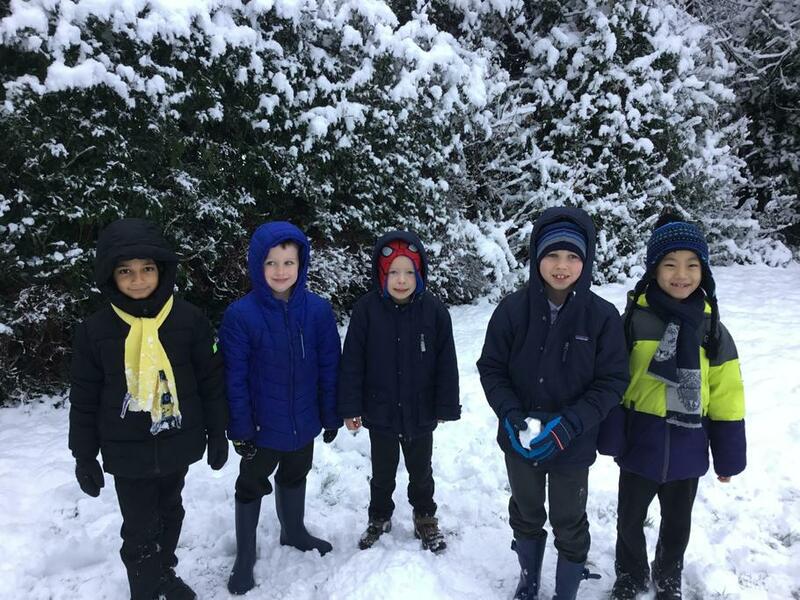 To end the week, Year 5 are having a fun-filled day at Sale Water Park, completing a range of water activities including kayaking and raft building! 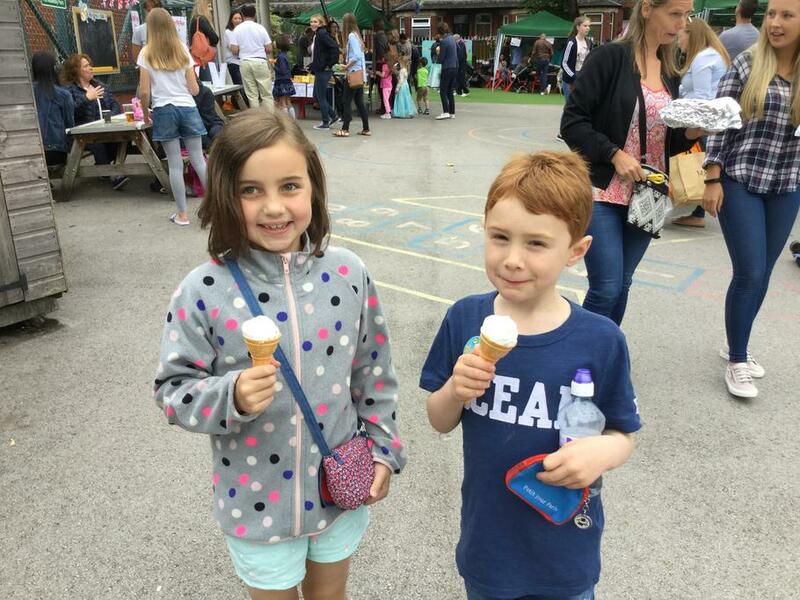 On Saturday, our PTA organised and held a fantastic Summer Fayre. 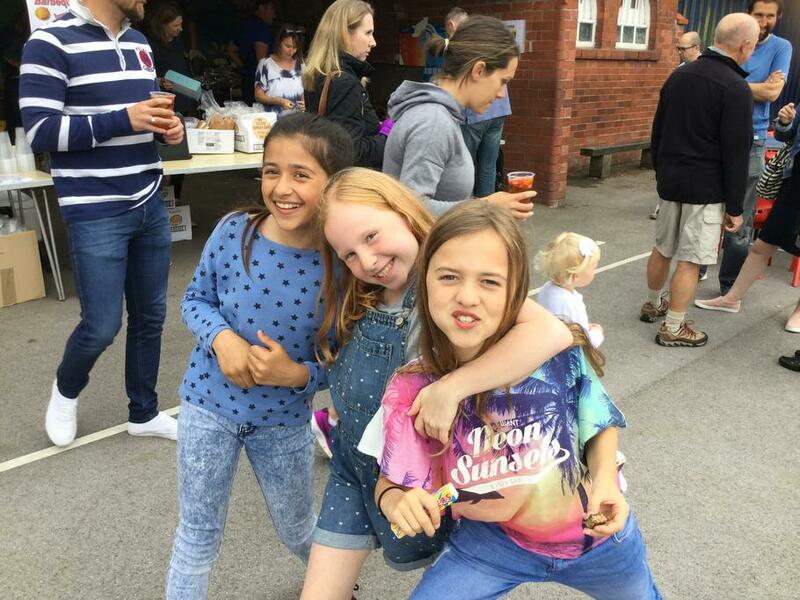 The event was incredibly well attended and we would like to say a huge thank you to anyone who volunteered on the day. 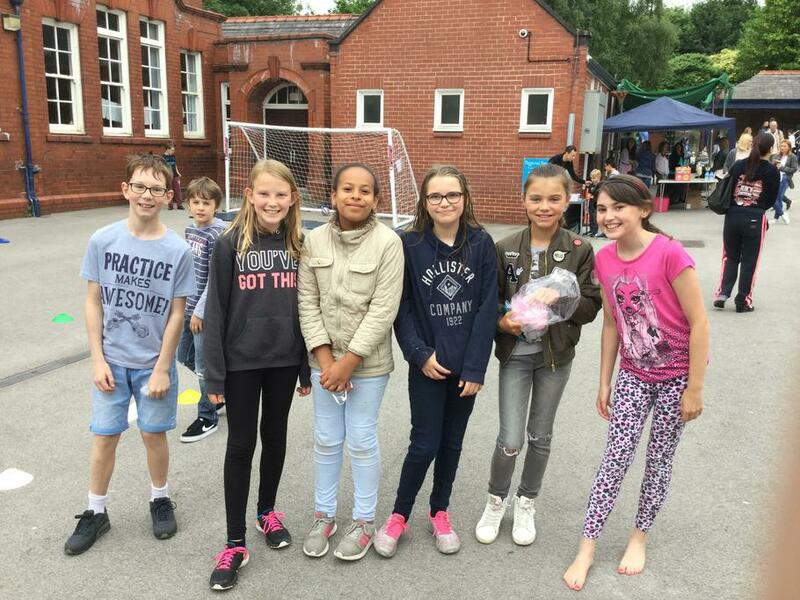 Luckily, the rain held off and everyone had a great time! 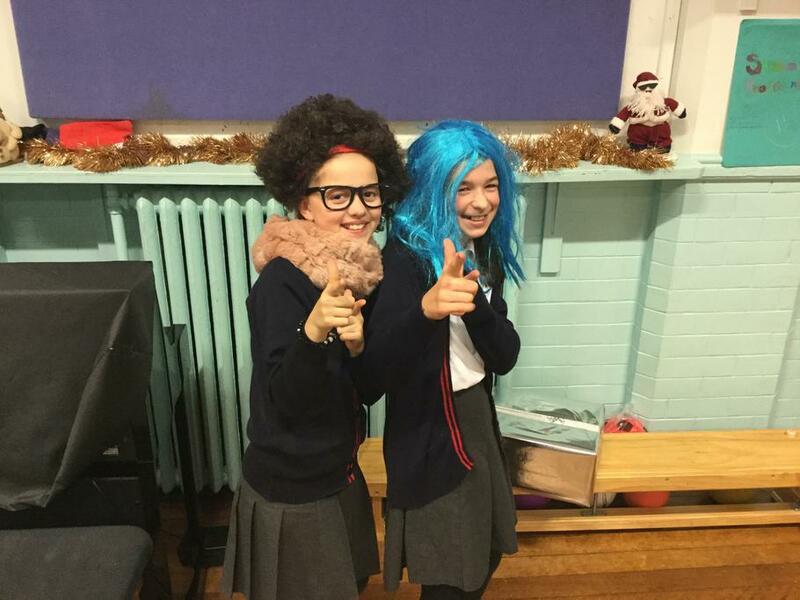 The whole school took part in a 'Staying safe online' theatre production brought into school by 'Footlight.' 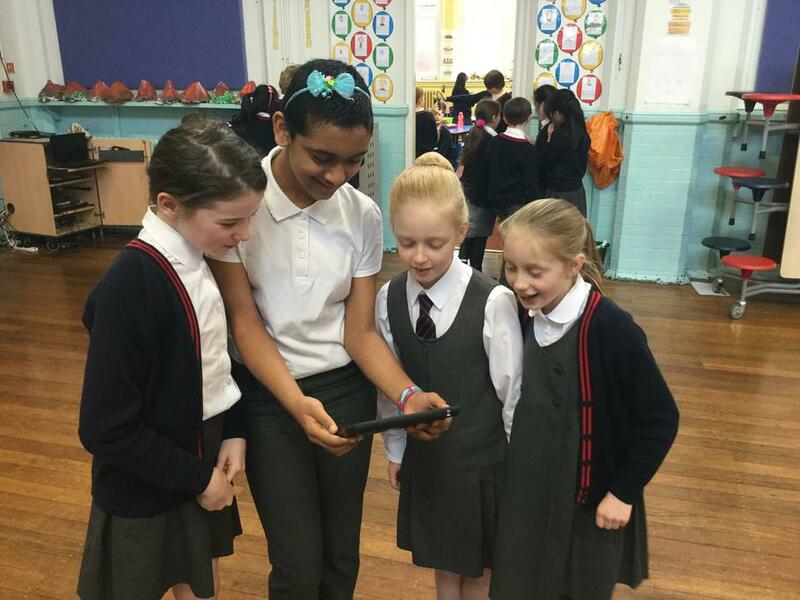 The pupils experienced a range of different examples of ways they can keep themselves safe when online. 'Footlights Theatre' will be back in school over the coming month to do workshops with the pupils from all year groups. 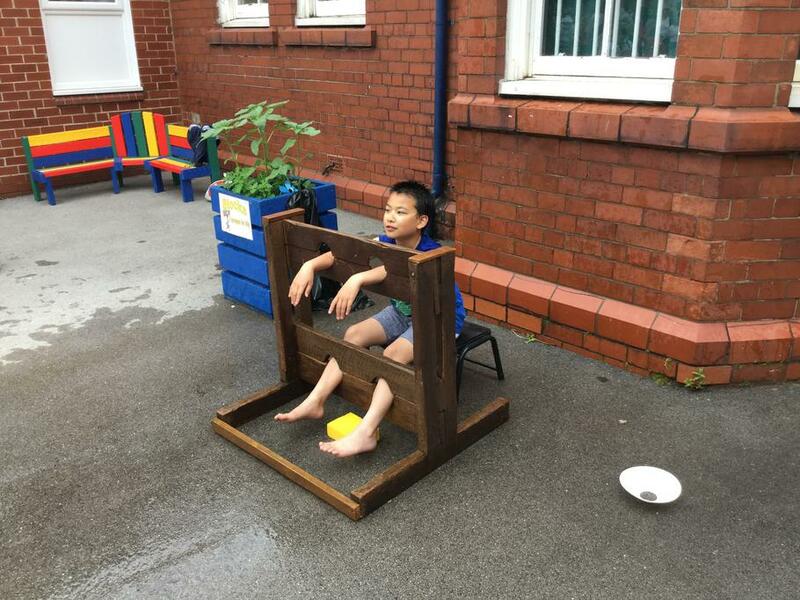 As we are having some superb sunshine at the moment, it is getting very warm at school. Please can we ensure that the children are coming to school with a water bottle, sun hat and wearing sun cream. 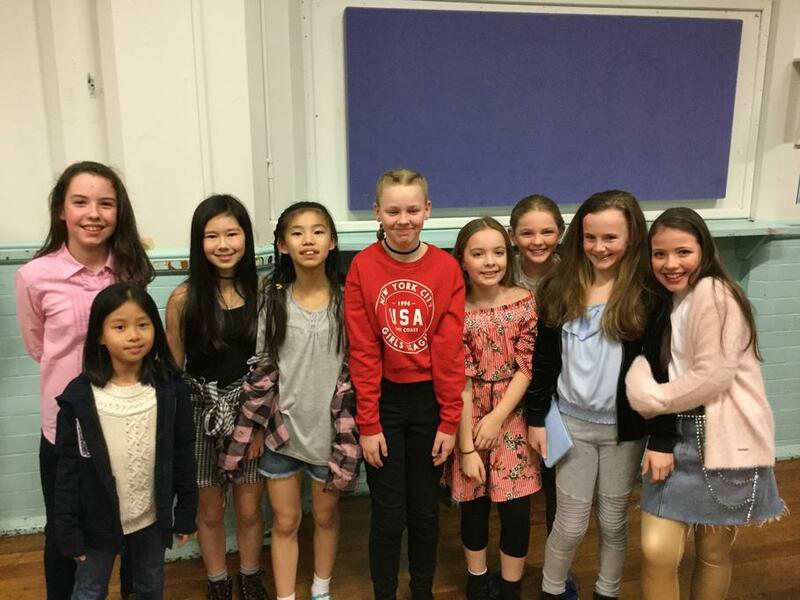 Yesterday, all pupils in Year 4 took part in the Greater Manchester Music Education Hub singing challenge 2017. 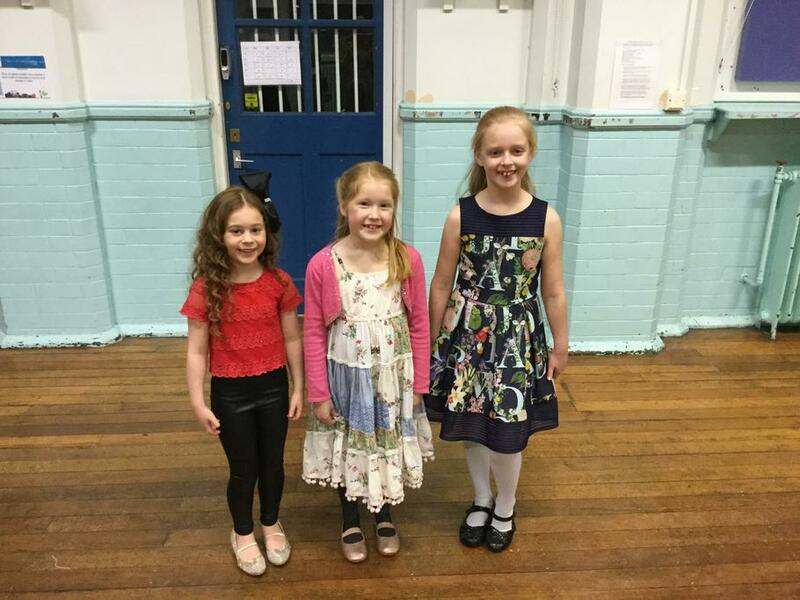 The challenge was for all primary schools across the region to unite in song in an open space. We took advantage of the beautiful weather and sang 'Go To The Park' in our newly improved centenary garden. 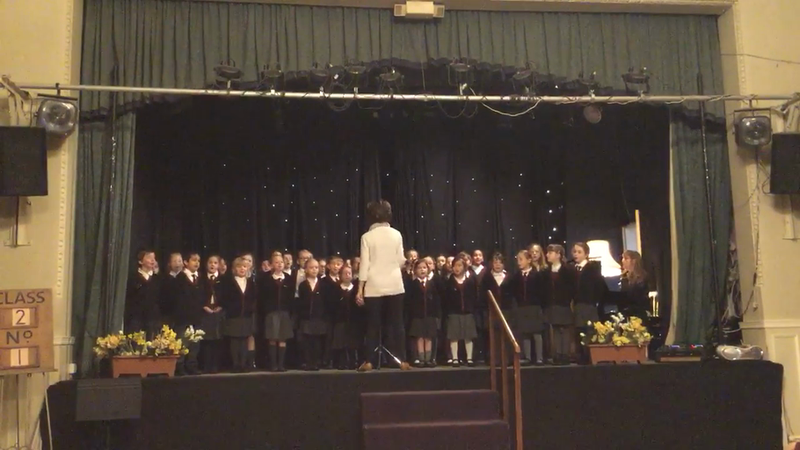 Well done to all Year 4 pupils, you sounded wonderful. 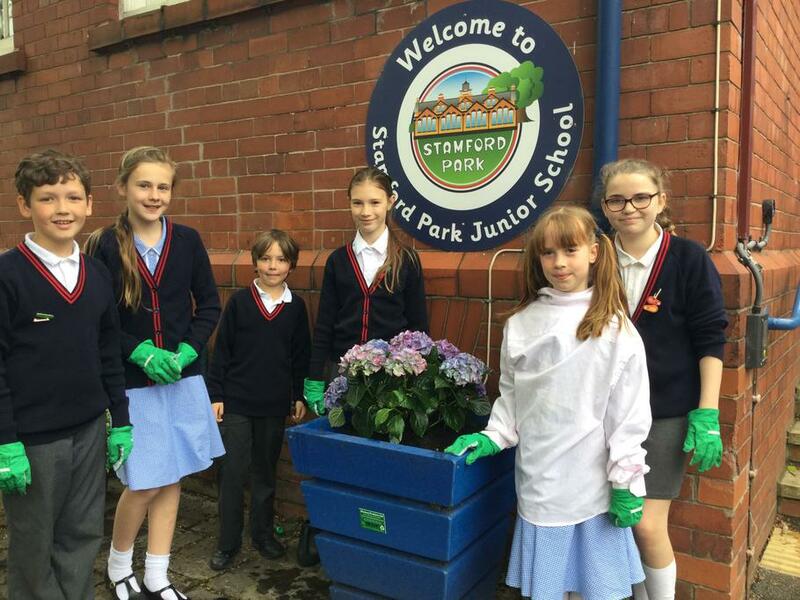 Today the Eco Council have begun to plant up some flowers around the school, which we have bought thanks to the PTA. We hope you like them! Following on from the huge success of the Autumn Book Fair, I am once again looking for buzzing business minds, magical maths whizzes, dazzling design gurus and friendly front-of-house specialists. 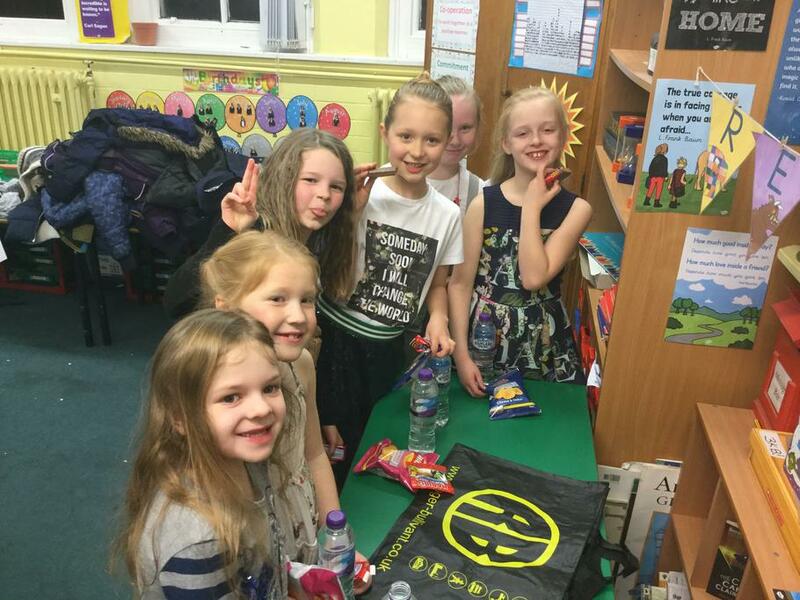 The new team will be tasked with running the after school Summer Book Fair from Monday 19th June until Friday 23rd June. Job descriptions are attached below and application forms can be collected from the library. If you are interested in applying, make sure you get your completed application, along with a covering letter, to me by 4pm on Wednesday 17th May. I am looking forward to working with you and good luck! 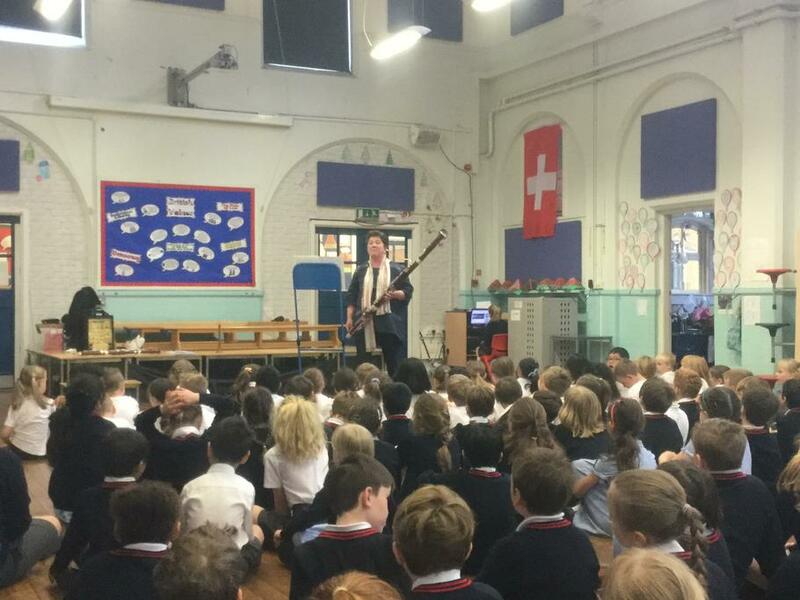 Today, the children have been very fortunate to have an assembly all about the Bassoon, where we listened to some fantastic pieces of music, some of which were very familiar! 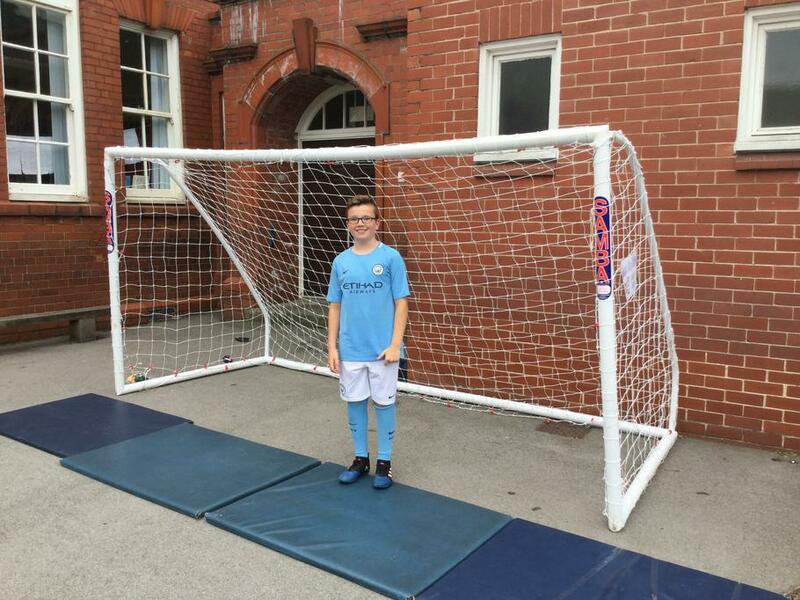 The school has purchased one and Mrs Rowley is looking for someone dedicated to learn and have lessons. It really is a fantastic sound. 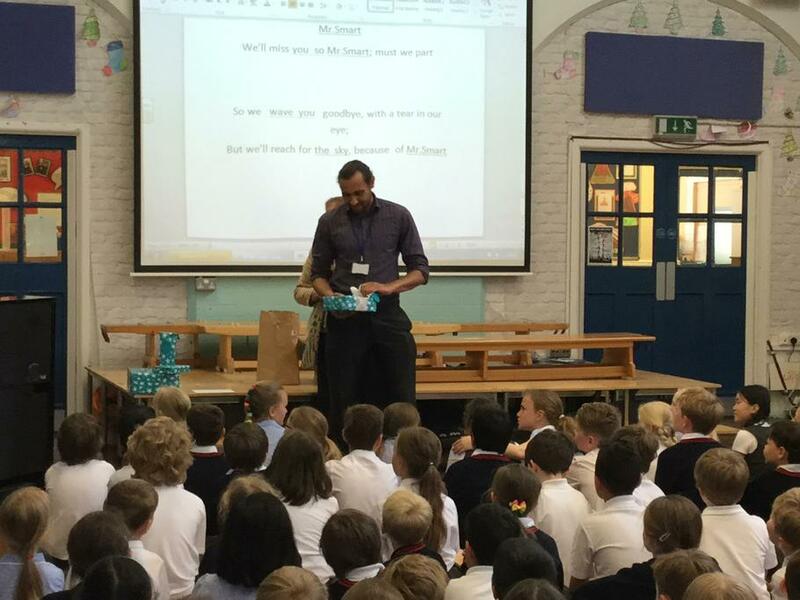 Today, we sadly say goodbye to Mr Smart, who has been teaching at the school for nearly three years now. Mr Smart and his partner, Charlotte, are adopting a young child and he has decided to focus his time on his new son. 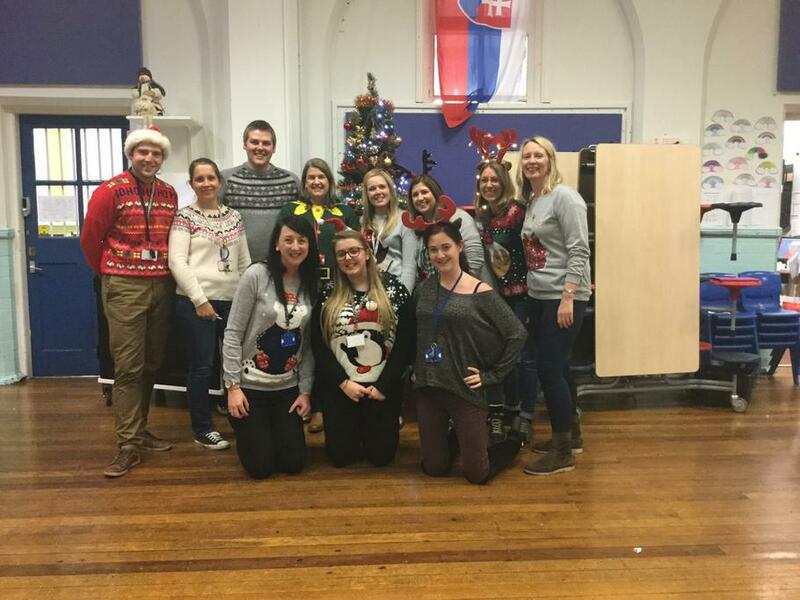 We wish Mr Smart and his new family all the very best for the future and would like to thank him for his fantastic contribution to our school life. 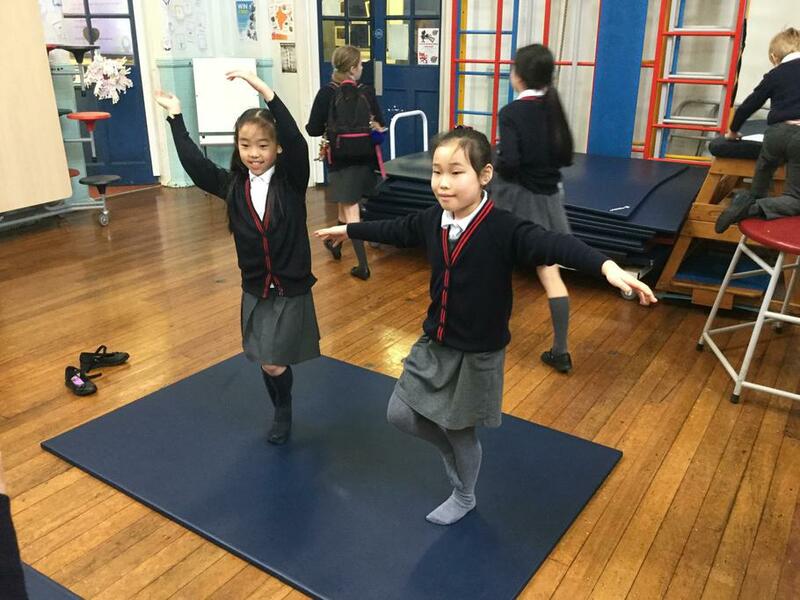 Our school is working towards achieving 'Artsmark.' To celebrate all things art, we are having a full week of arts lessons next week. 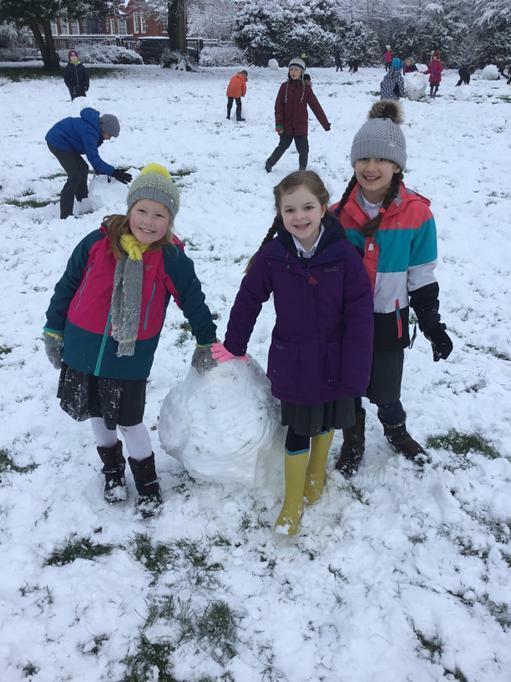 There will be a variety of activities on offer including visits to art galleries, making textile puppets, dance workshops, outdoor art and much more. 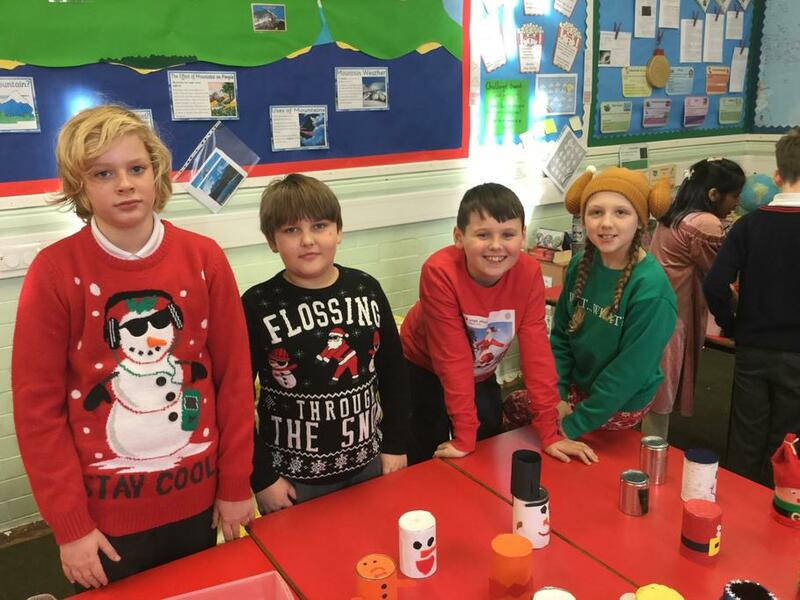 Classes will be combining and then mixing up to study different art themes for the week (similar to what we did in World Book week) led by the teachers here. Further information will be coming out in the newsletter this week. 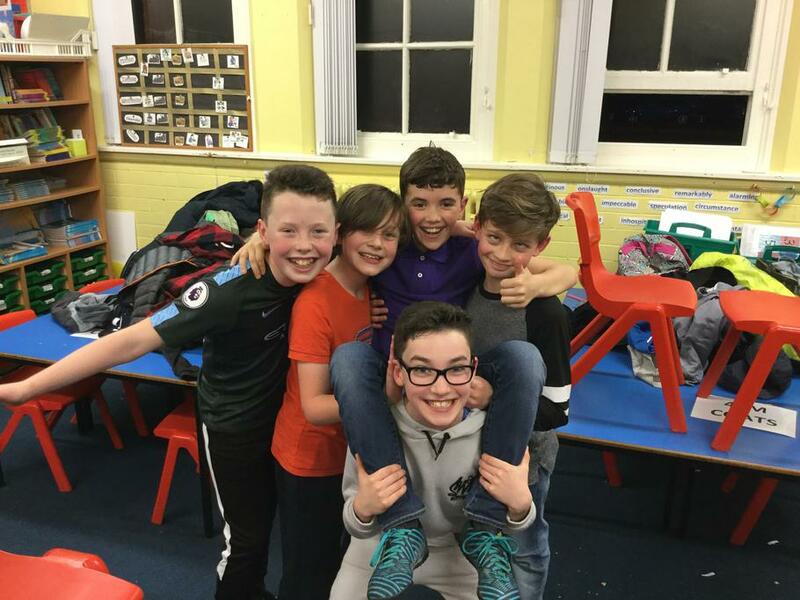 Our new Change 4 Life club has now started. On Monday, all members of the club attended the Change 4 Life festival at a local high school. 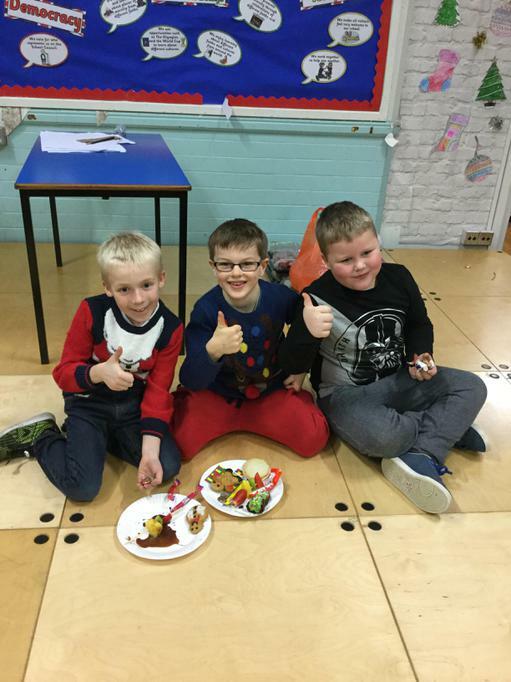 Today, our members have been looking at healthy eating and making the right choices. 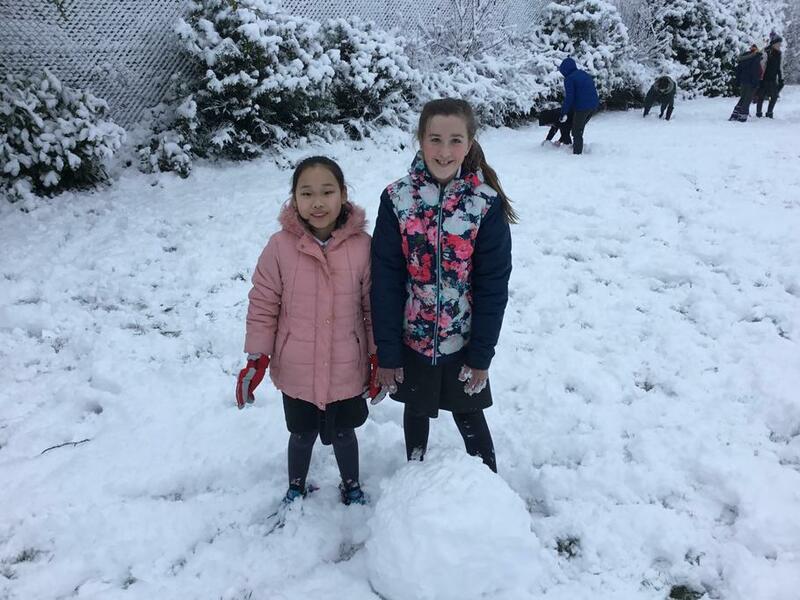 Many thanks to Miss Lodge and Mrs Swain, who oversee the club, along with our Year 5 and 6 helpers who run many of the activities each week. 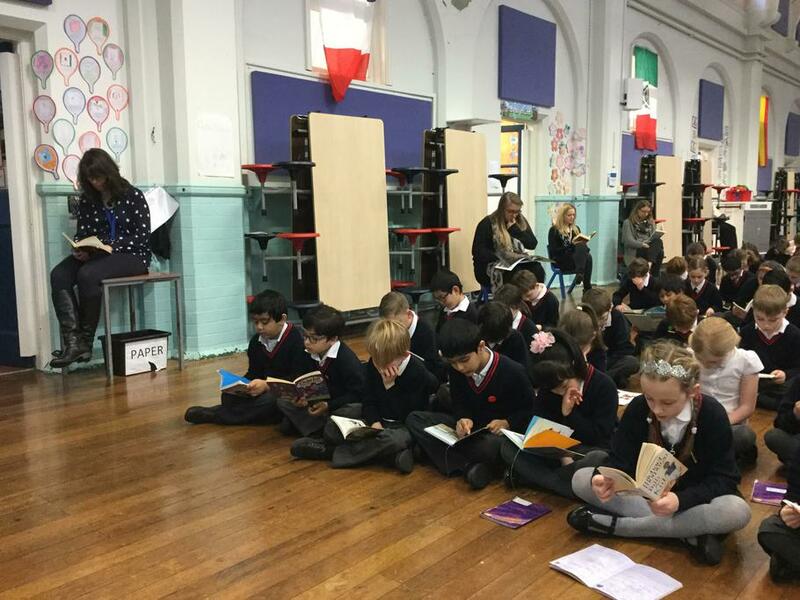 I would like to say a massive well done and thank you to every single pupil for taking part in the Drop Everything And Read (DEAR) during World Book Week. 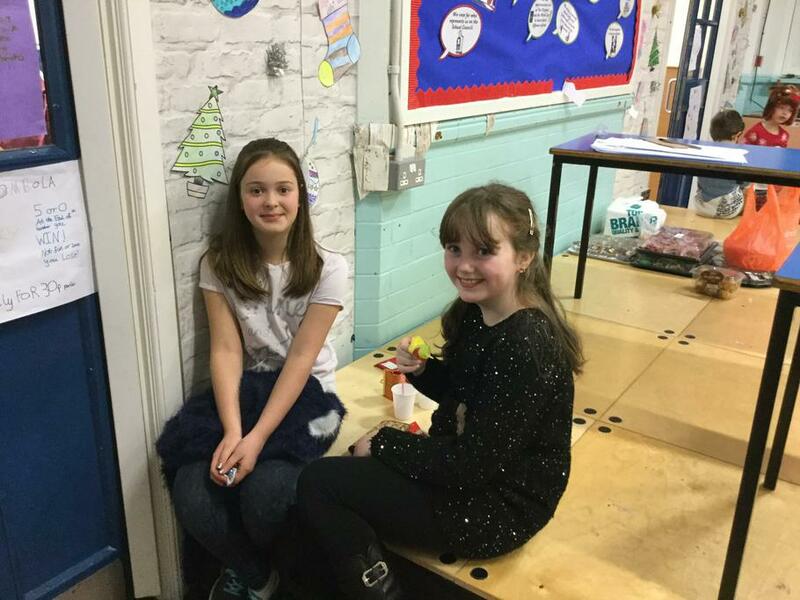 I would also like to thank parents, friends and families for supporting their children and sponsoring them to read as many pages as they could within the week. The response was fantastic! 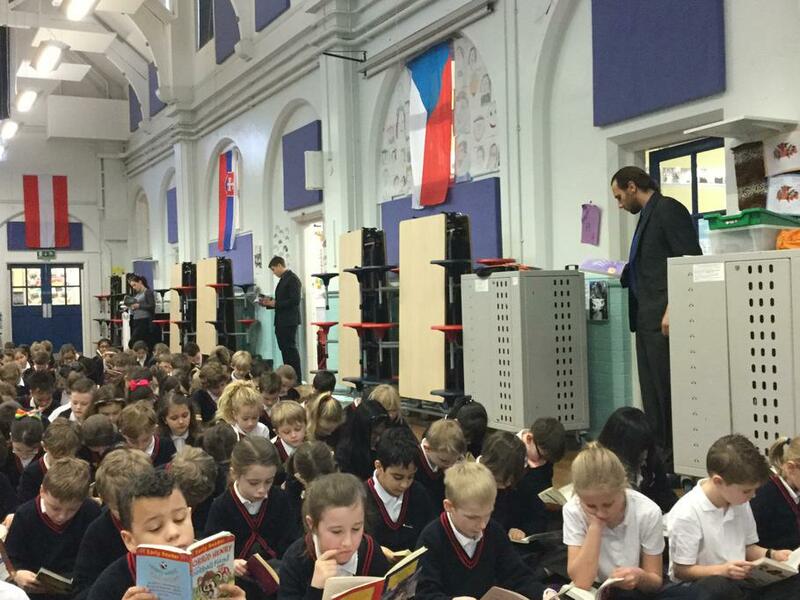 Our aim was, between staff and pupils, to read 25,000 pages. 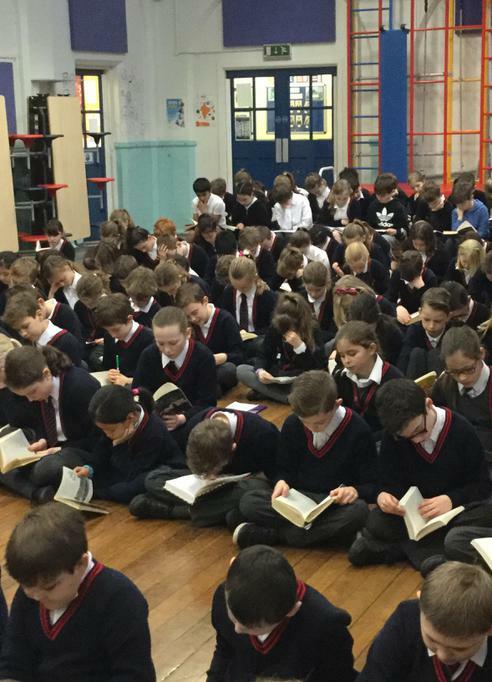 I can now reveal that we, as a school, read in excess of 55,000 pages and raised over £300. 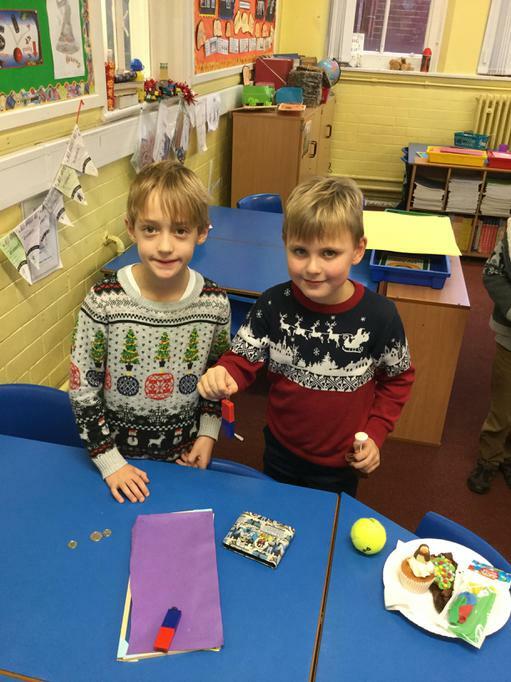 This money will be going towards a full day's workshop for each year group during Shakespeare week. 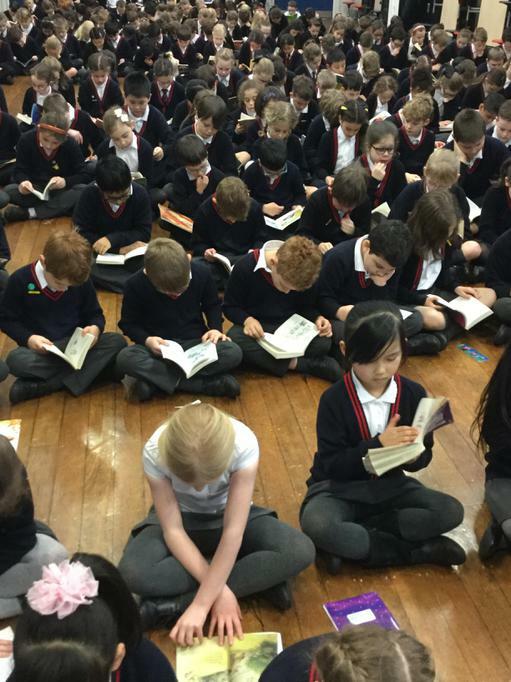 Thank you again to everyone, it was so lovely to see how passionate we all are about reading. 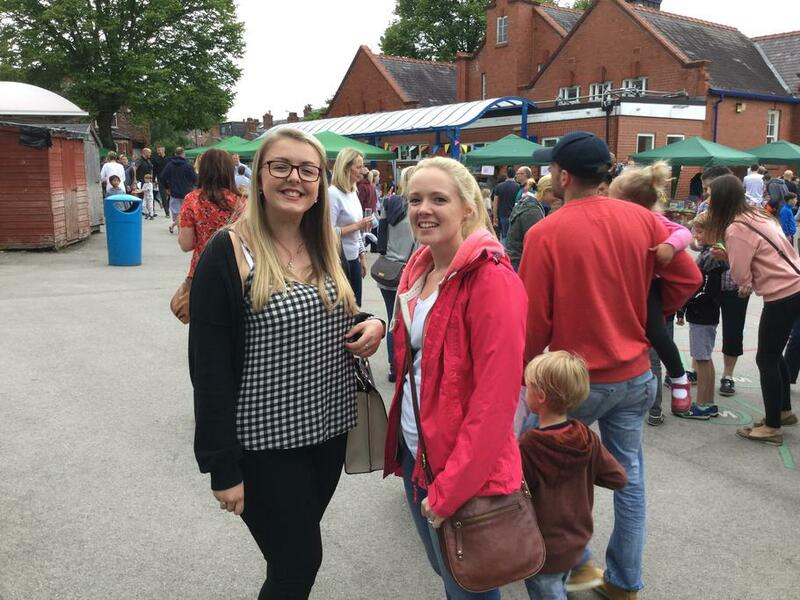 Today, our extremely talented junior and senior choirs both took part in the annual Altrincham Festival. They both sang two songs, one of which was set by the organisers of the event. 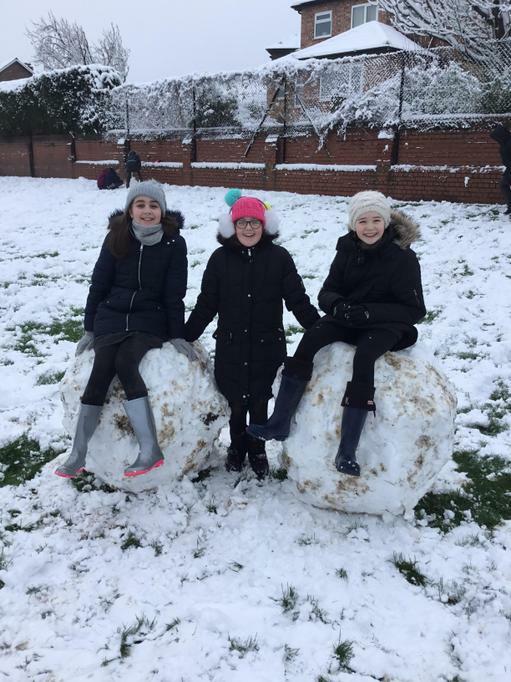 A huge thank you to Mrs Rowley and to all the children involved for representing the school in suchlike fantastic way. 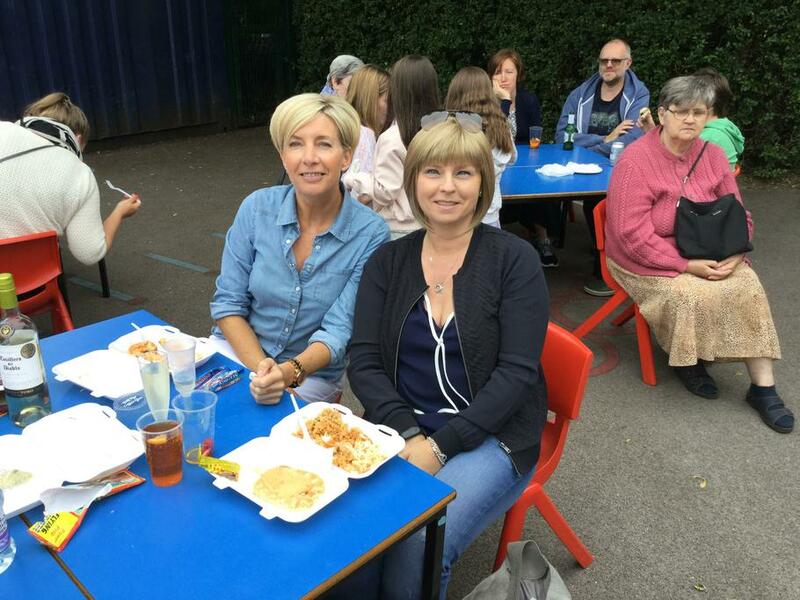 Thank you also to the parents that supported the children today. A short glimpse of their talents can be seen below with additional videos being available on the music page of this website for all to see. Today, to celebrate National Poetry Day, we had a visit from a published poet: Dunkle Deed. 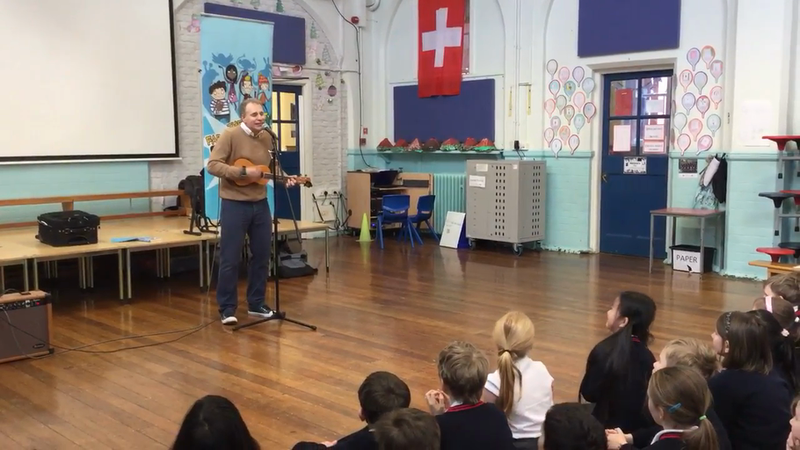 He entertained the whole school with his engaging and lively assembly this morning, before going on to run individual workshops for four of the classes here. 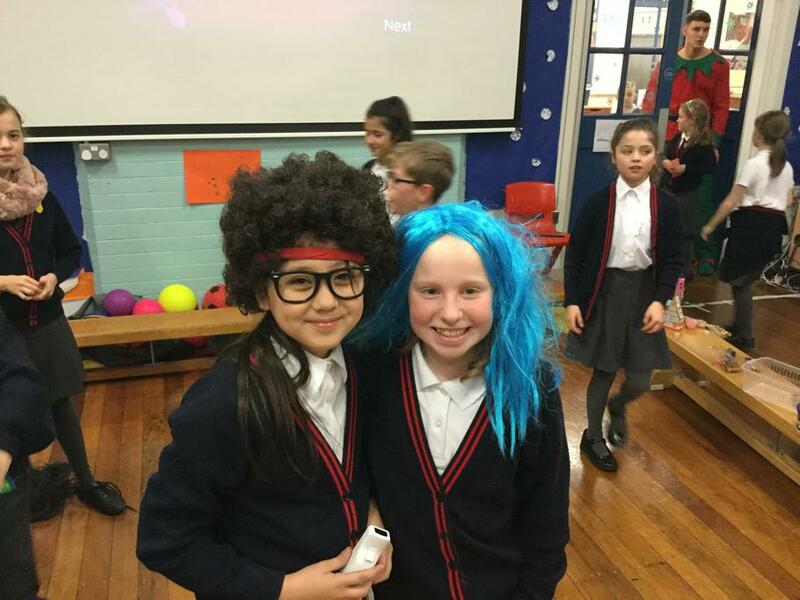 The children had a fantastic time and there was more that a little laughter during the assembly. Many thanks to him for visiting. 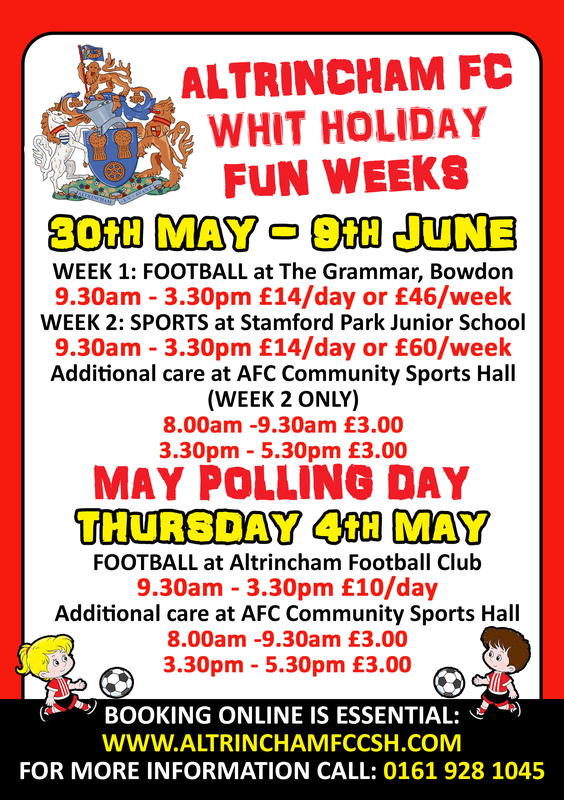 Please see the leaflets below which advertise the range of sports clubs that Altrincham Football Club are running over the coming holidays. Please note that payment should be made directly to AFC and should not be sent into the school office. 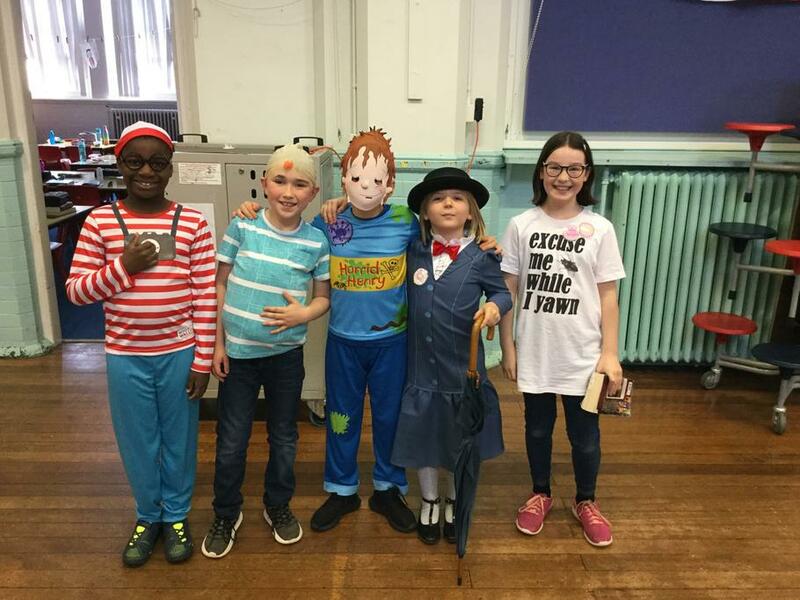 Mrs Rodgers has arranged a fantastic week of activities based around World Book Week. Part of the week will involve her idea of 'DEAR - Drop Everything And Read.' Each day the whole school will stop what they are doing and complete 10 minutes of reading, which will count towards their sponsorship. Our first go was during assembly. 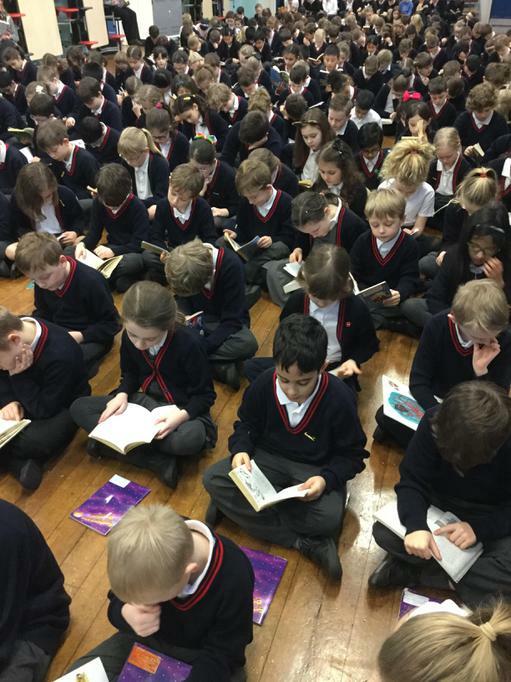 As you can see, the children (and staff) were all enjoying the 10 minutes of reading time. I am sure this will be a big success. In preparation for our book week next week we have had a visit from Jason Beresford, a fabulous author. This morning started with a very interactive assembly and during the rest of the day the children are participating in writing workshops. 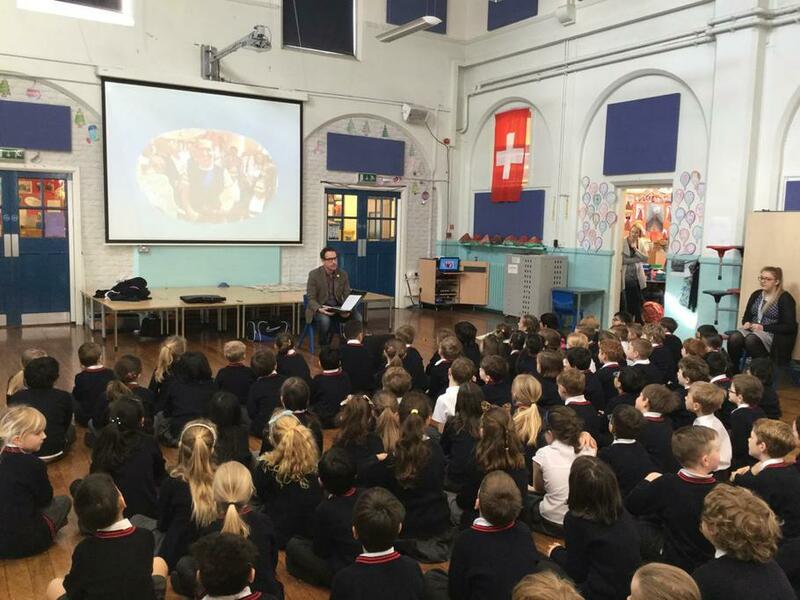 If this enthusiastic assembly is anything to go by, his books sound very funny! 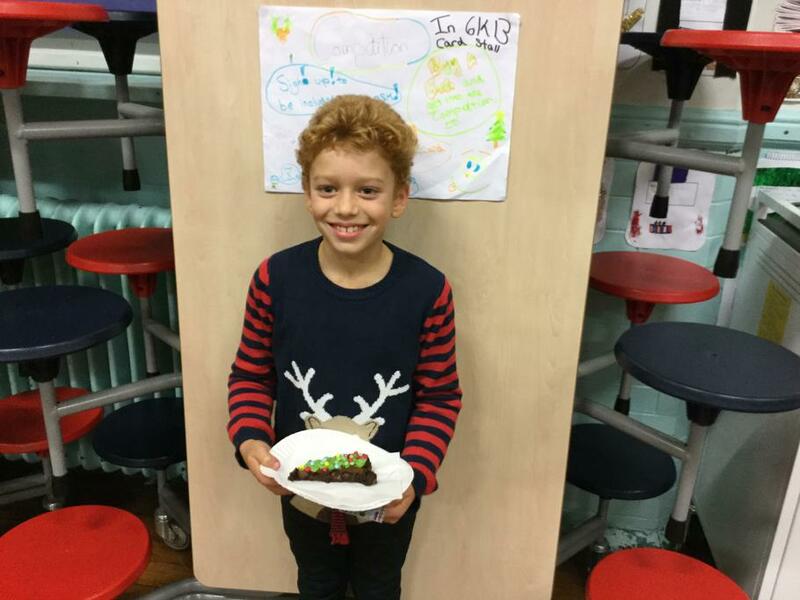 Following on from the huge success of advertising the football coach and manager role back in January, I am now looking for Year 5 and 6 children to work with our talented school cook to publish a book of her famous recipes. For further information on the position, please see the advert below. I look forward to reading your letters of application. 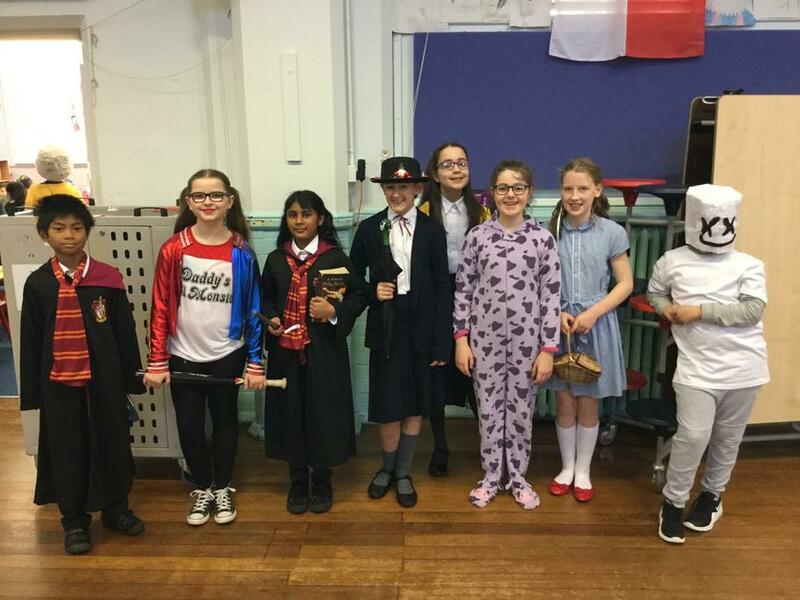 After half term, we will be holding a World Book Week. This will replace our usual World Book Day celebrations, as we've got so many things we want to share with the children. Mrs Rodgers has been working very hard to put together a timetable of events. Please see the document below for more information. 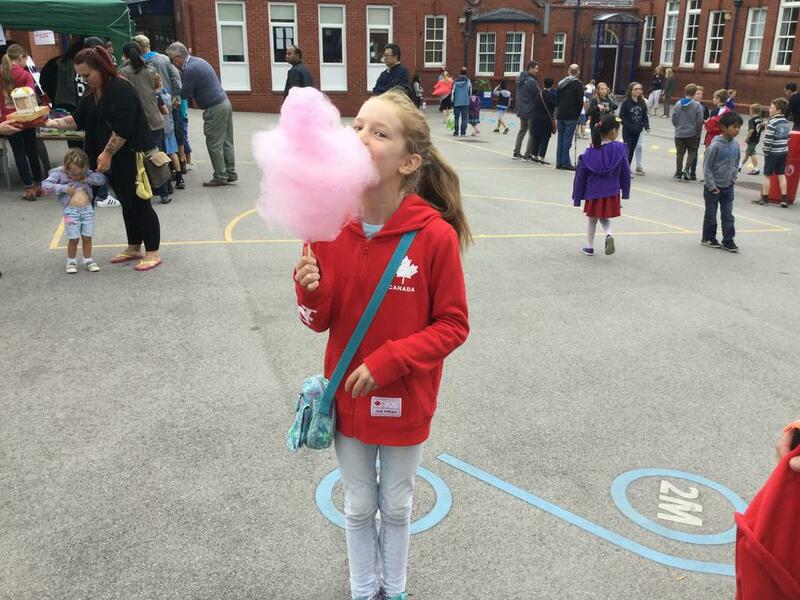 We look forward to a very engaging week of activities and celebrations! 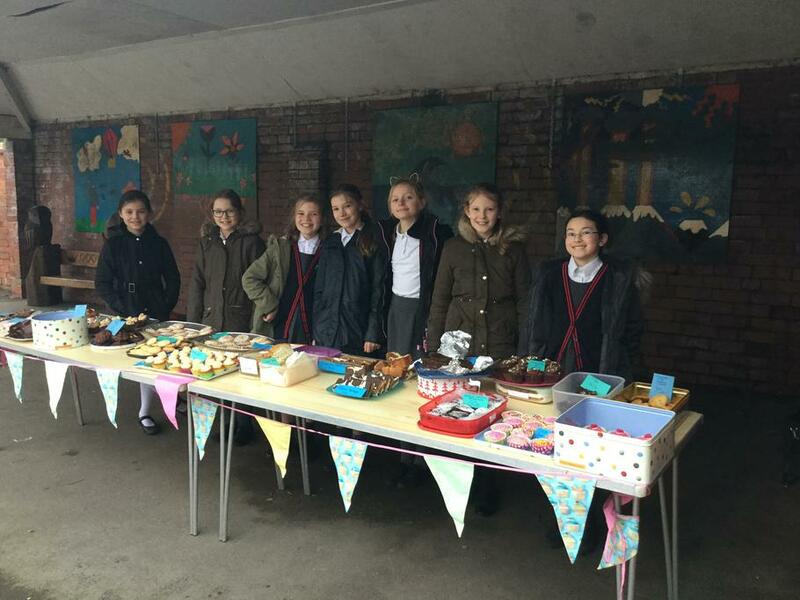 Yesterday, a group of Year 6 children organised and held a charity cake sale to raise money for the Retired Greyhound Trust. 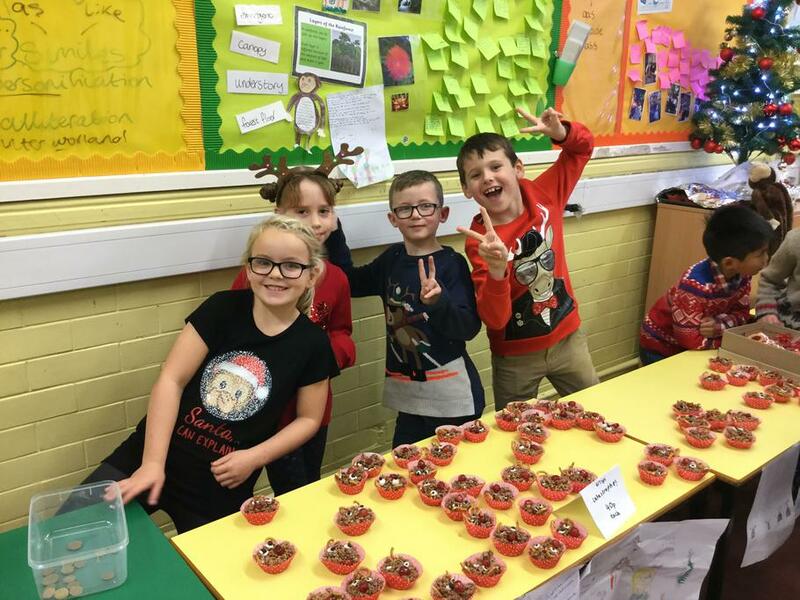 The event was a huge success and the girls put a tremendous amount of effort into the whole event - from the advertising right down to the baking on Sunday! 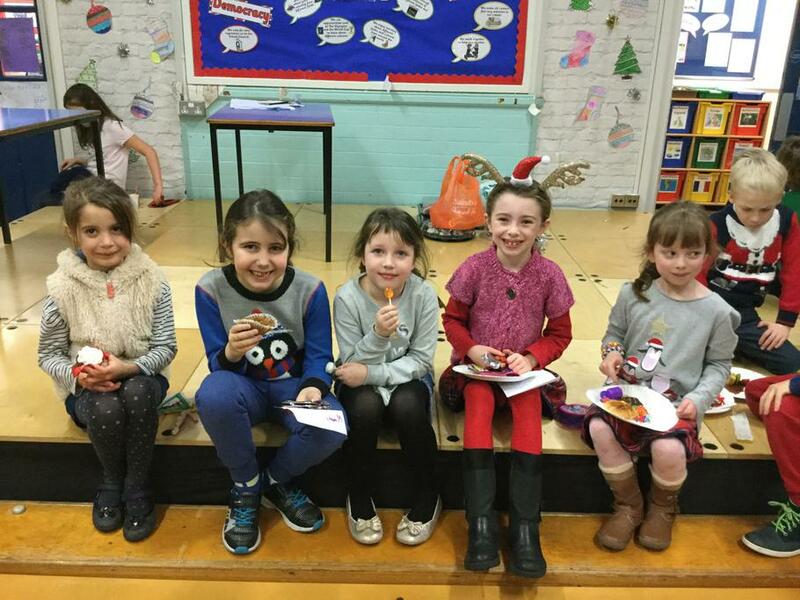 Many thanks to the parents that supported and to all the children who enjoyed the cakes! 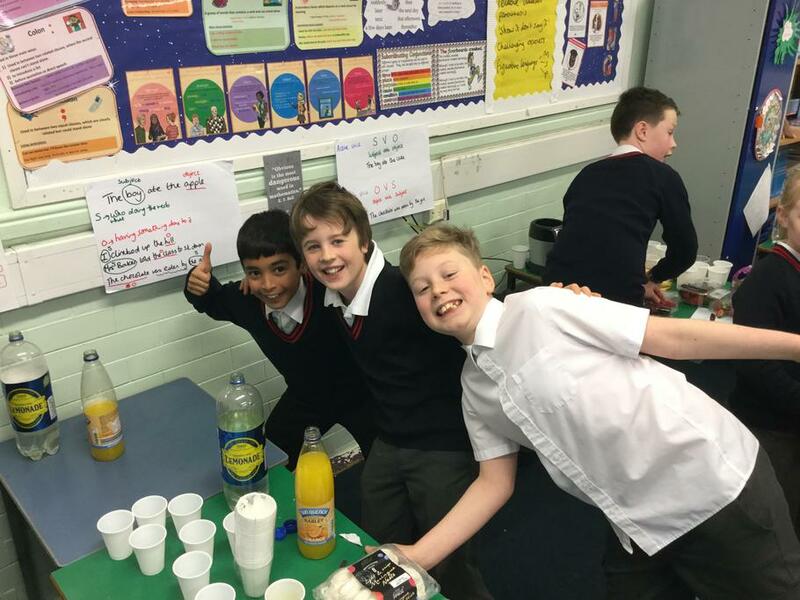 Following on from feedback received from parents, we are looking at the feasibility of offering a breakfast club each morning on the school premises. 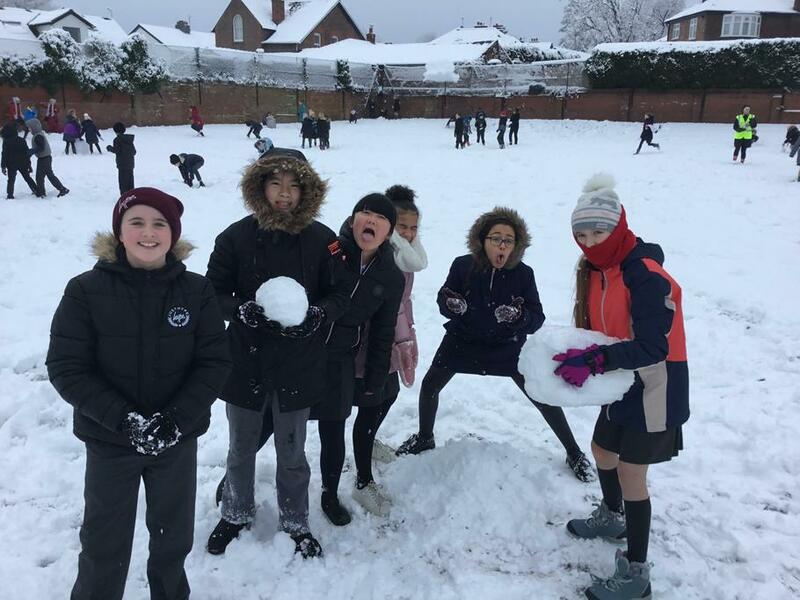 The breakfast club would operate in a similar way to the after school club, offering children the chance to complete homework, play educational games, take part in outdoor activity, etc. 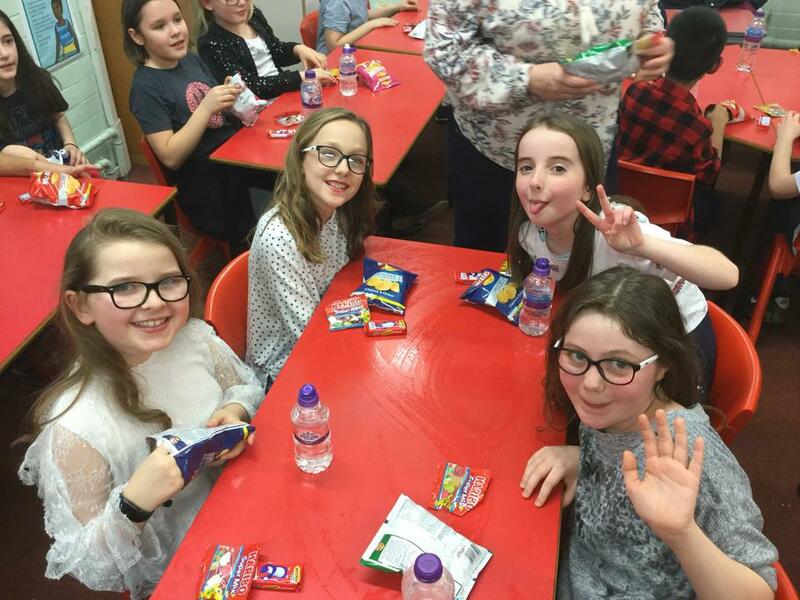 We are also looking at the possibility of including a healthy breakfast option too, which would be supplied by the school cook. 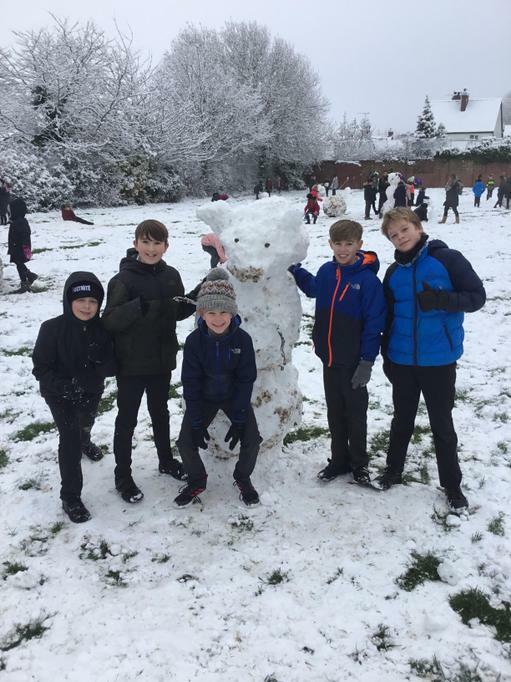 The cost would be comparable to that of current morning clubs offered by the school, but would be subject to change if a breakfast option was included. Below is the link to take you to a short survey and we would be most grateful if you could share your thoughts. 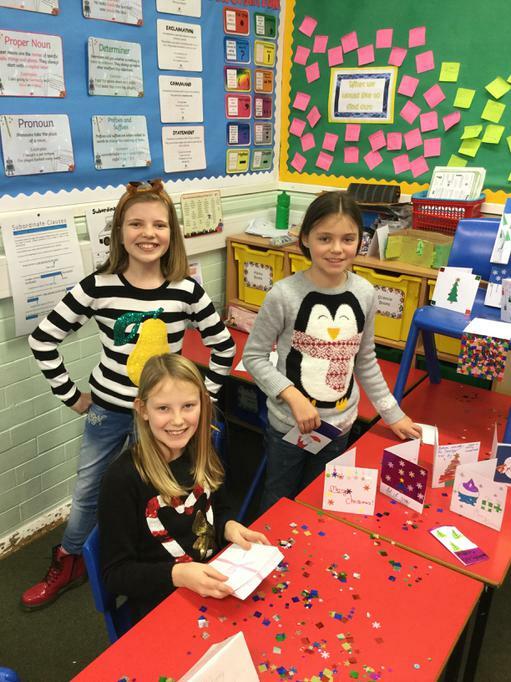 Over the coming terms, I am hoping to start a number of lunchtime clubs for Years 3 and 4. However, I'm only intending to supervise them rather than run them. 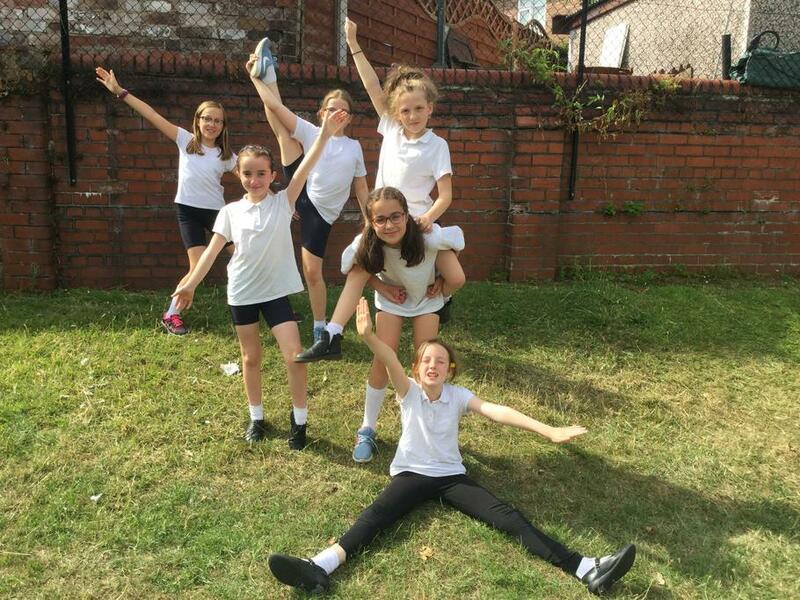 Therefore, I'm looking for Year 6 children who would be interested in running and managing the different clubs. 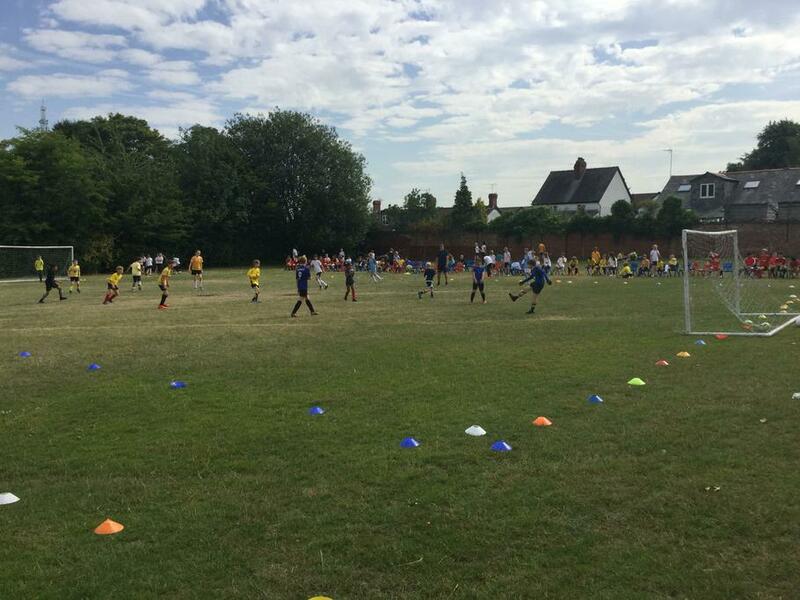 The first one I want to set up is a football club for Year 3 and 4 boys and one for Year 3 and 4 girls. If you think you have what it takes to be a fantastic football coach, you may want to have a read of my job advert below. 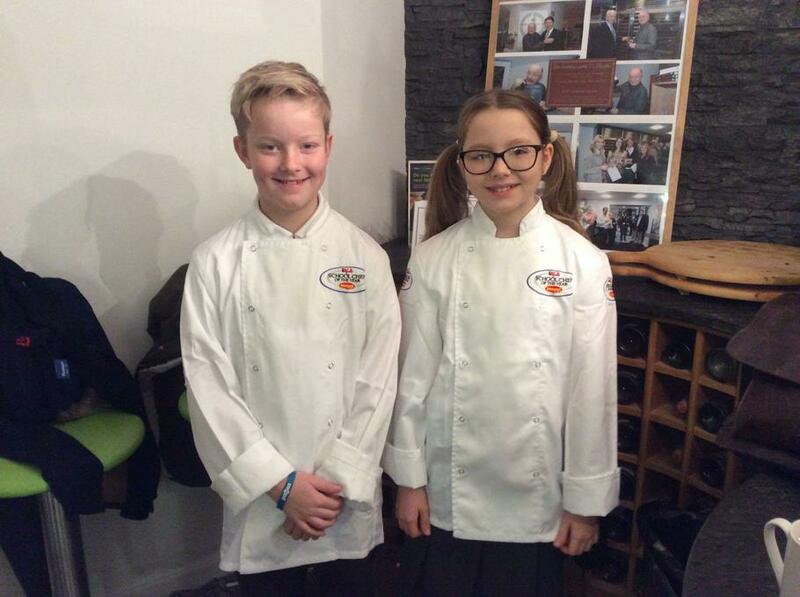 Today we have sent two of our talented Year 6 pupils to the North West School Chef of the Year Regional Finals, accompanied by Miss Lodge. 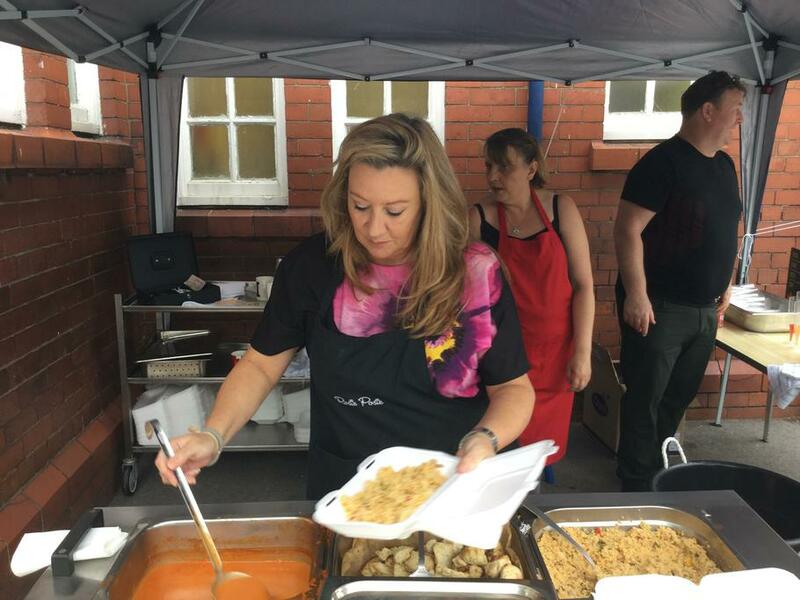 This prestigious event is being held at the Cookery School in Altrincham. 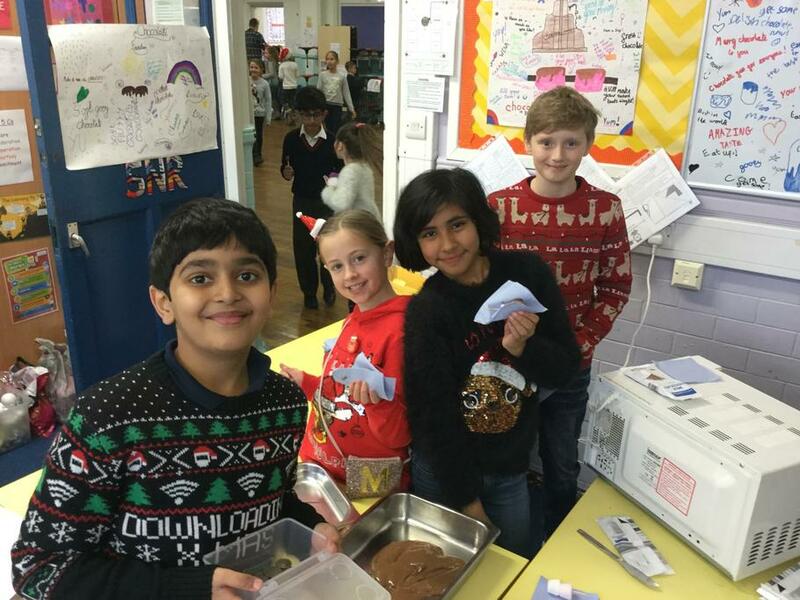 Together with two professional chefs, our two Year 6 children are responsible for judging the entire competition today. They've even been interviewed for the television about their views of the day; this will be screened tonight during the 6pm news report on ITV. Please tune in to see more about their exciting day! Yesterday's pet day was a huge success. I have received the following message from Kylie, the PDSA nurse, who spent the day with us. As you can see, the effort and support has been greatly appreciated and we are very proud to receive such positive feedback. Thank you and well done to each and every one of you. 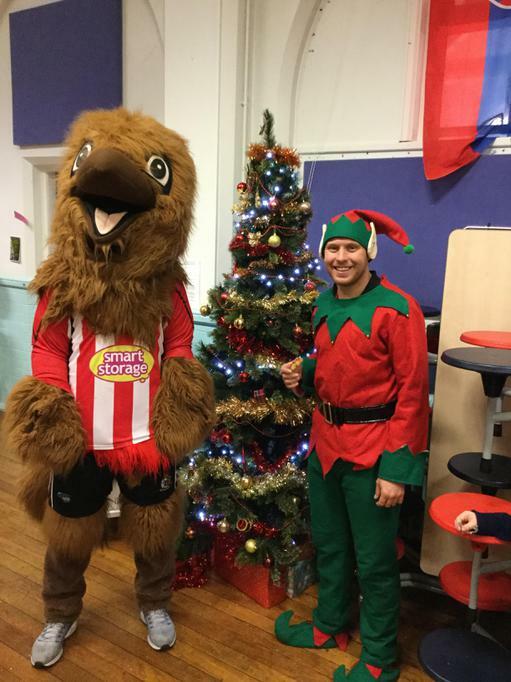 This afternoon, we held our annual Christmas Fair at Stamford Park Junior School. 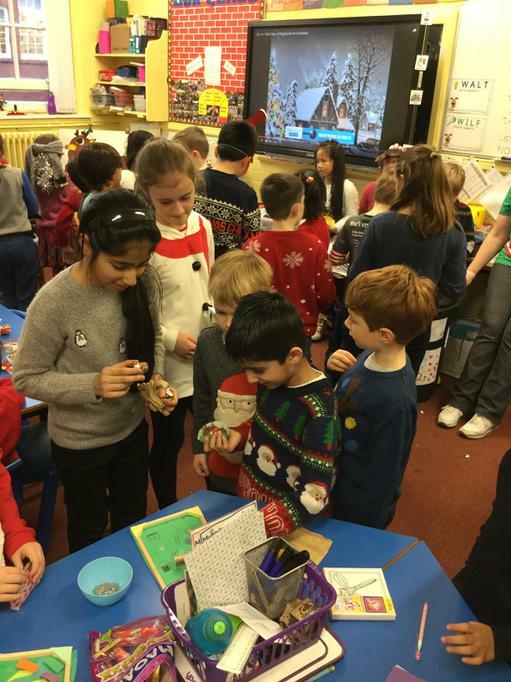 All the children had a brilliant time visiting the different stalls in each classroom; even Year 2 came over to spend some of their pennies and take part in the festivities. 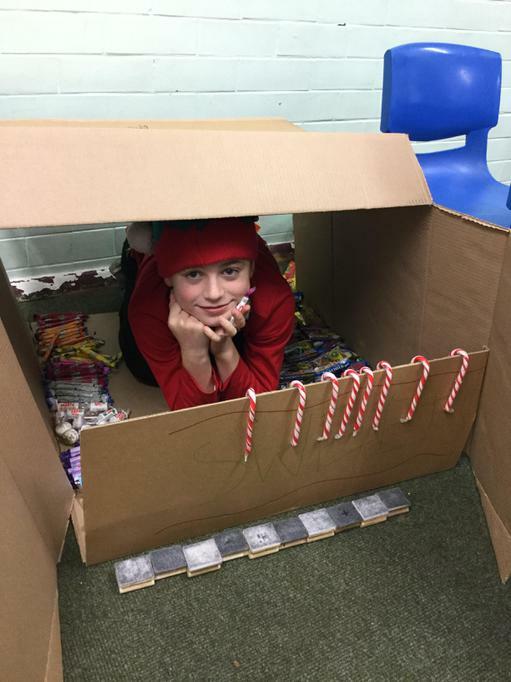 The staff all spent up on the stalls too! 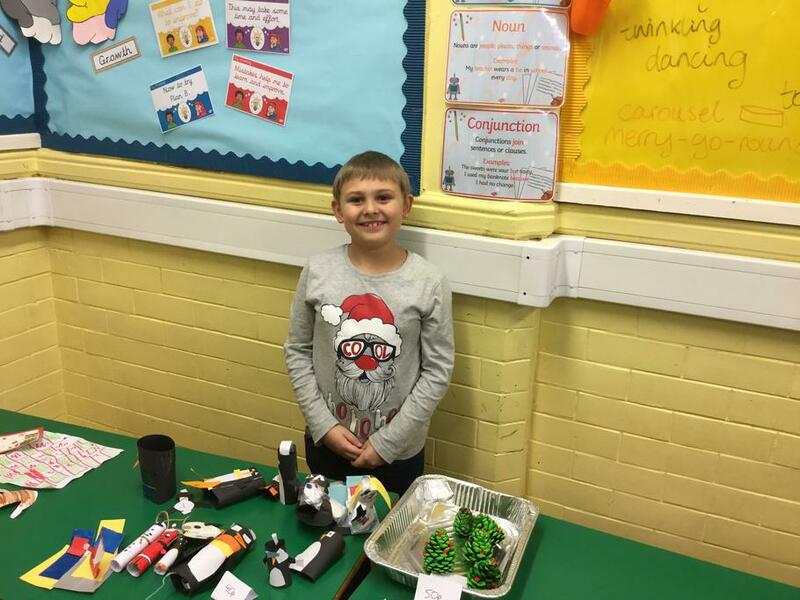 Many thanks to all the parents who contributed items to be used on the different stalls. 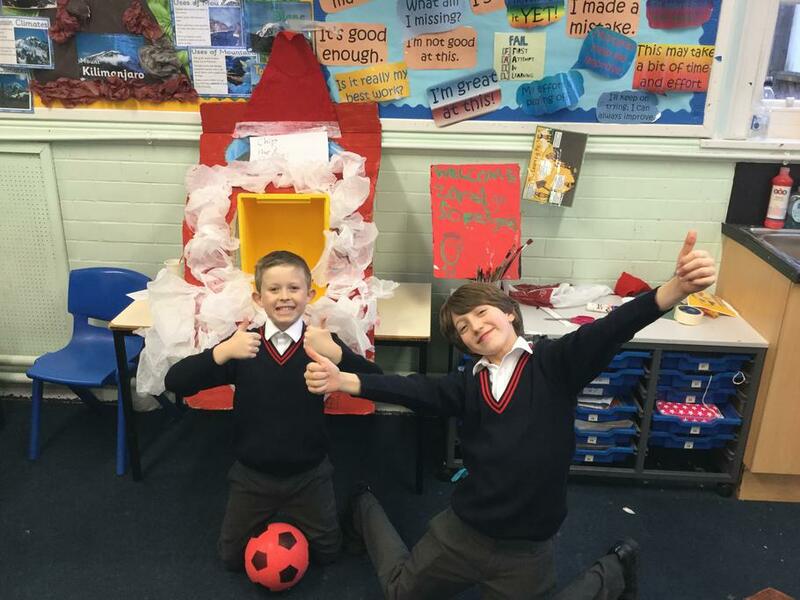 A huge congratulations to the Book Fair team! 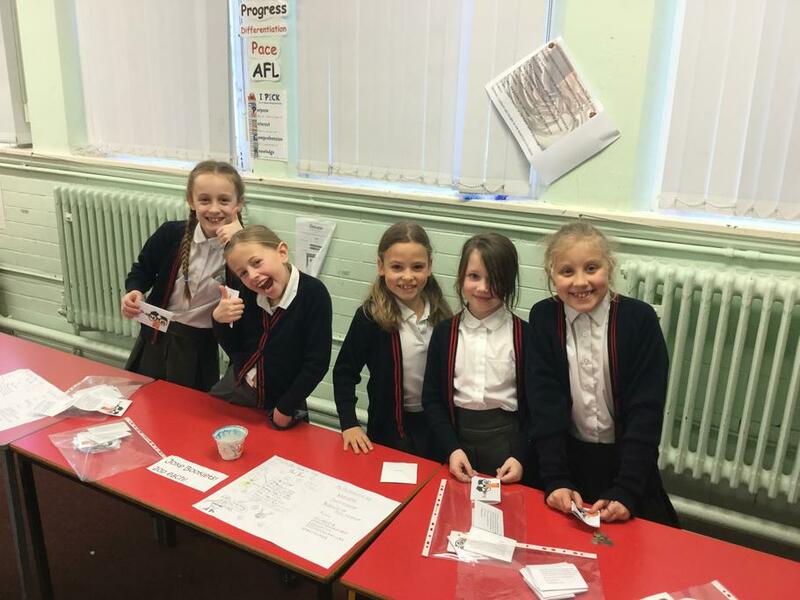 Thanks to every single member of the team, the Book Fair was a roaring success, earning just short of 150 brand new books for the school library. 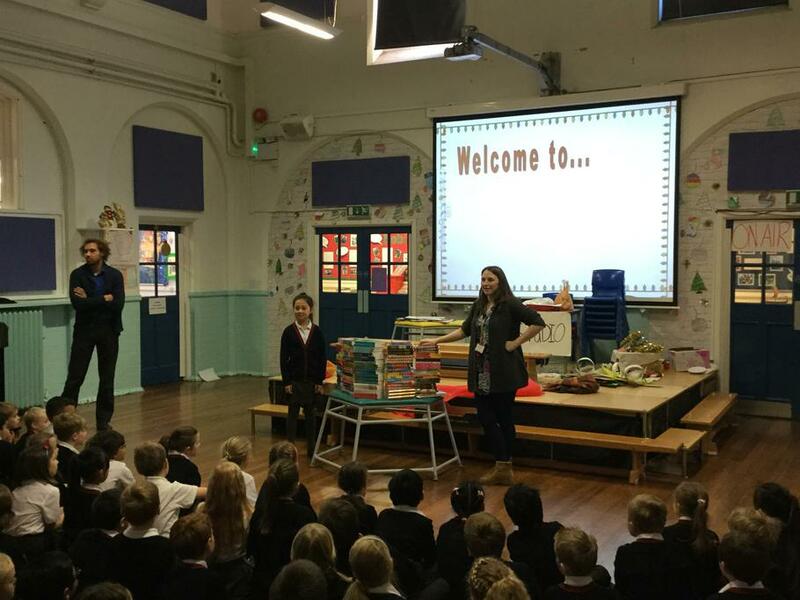 Based on the response during the 'big reveal', the whole school are very excited about the new books. 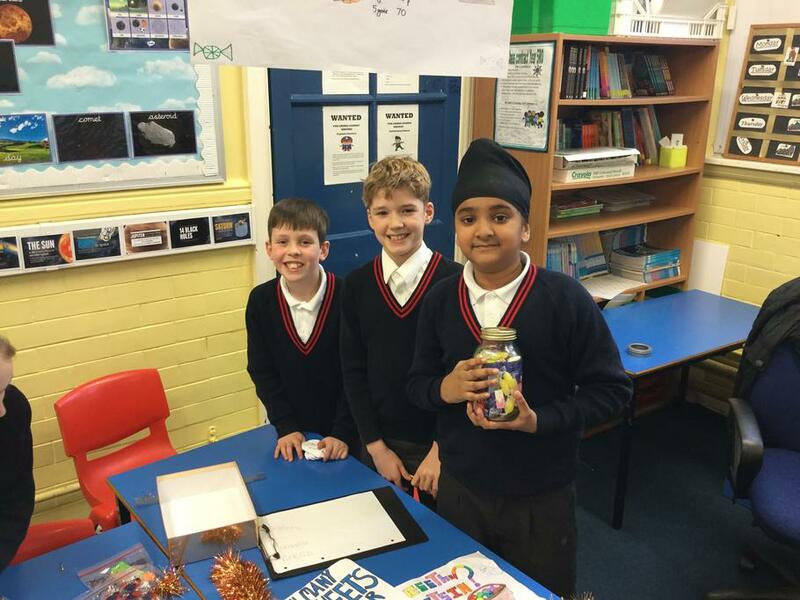 Thank you to everyone who visited the Book Fair, but special thanks go to the team for drumming up so much excitement, planning and running the fair with very little input from me. It was a pleasure working with you all and I look forward to meeting and working with the 2017 Book Fair Team. 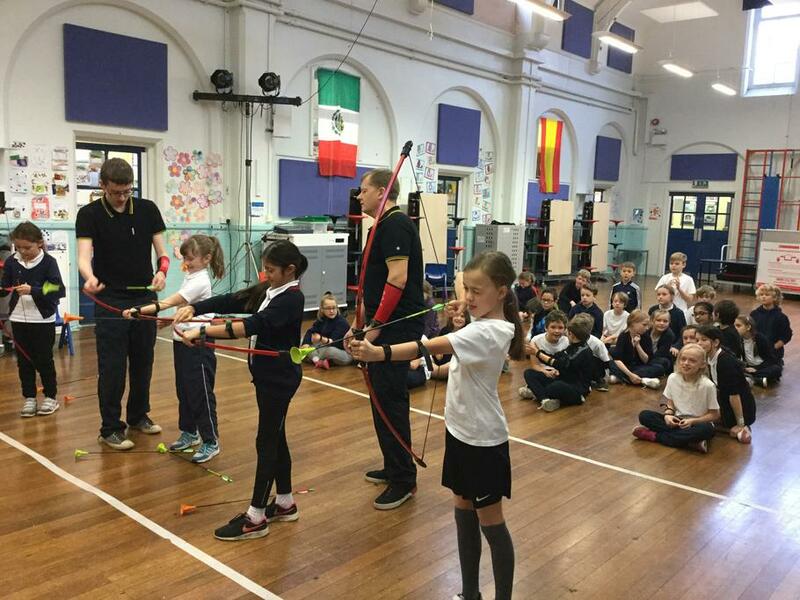 During the past two weeks, all of the children at Stamford Park Junior School have had the opportunity to participate in an archery session. 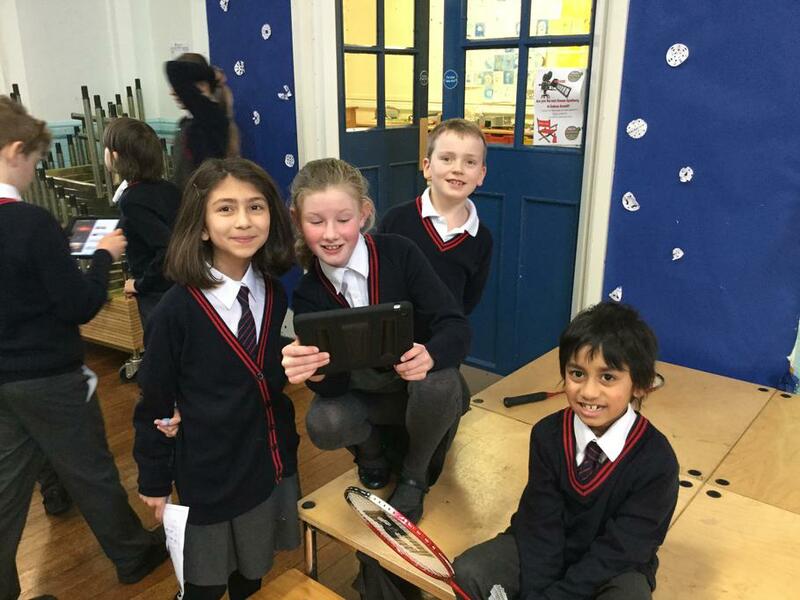 This new sport has been so popular that we have already filled an after school archery club for the next term! Thank you for the overwhelming number of applications for the Book Fair roles. I thought the quality was absolutely outstanding, making the selection process extremely challenging. The team was announced during assembly yesterday and the first meeting held. The children are now busy with their roles in preparation for our follow up meeting next week. Thank you again to all children who applied, I enjoyed reading every single application and covering letter. 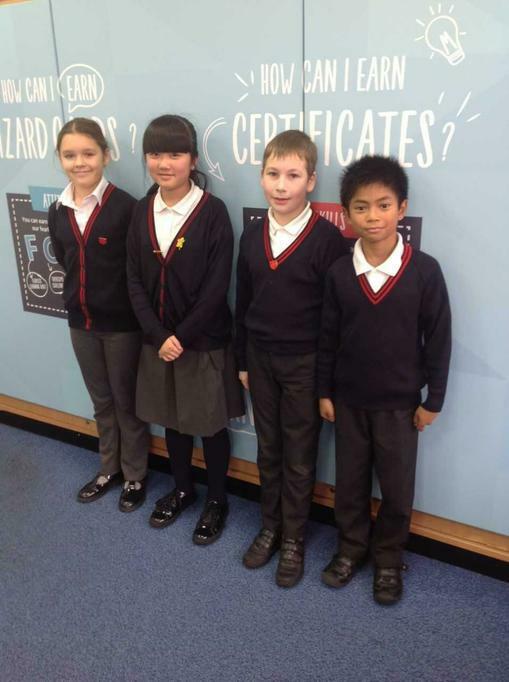 Today, four of our talented mathematicians attended the first round of the National Young Mathematicians' Award, as designed by the University of Cambridge. 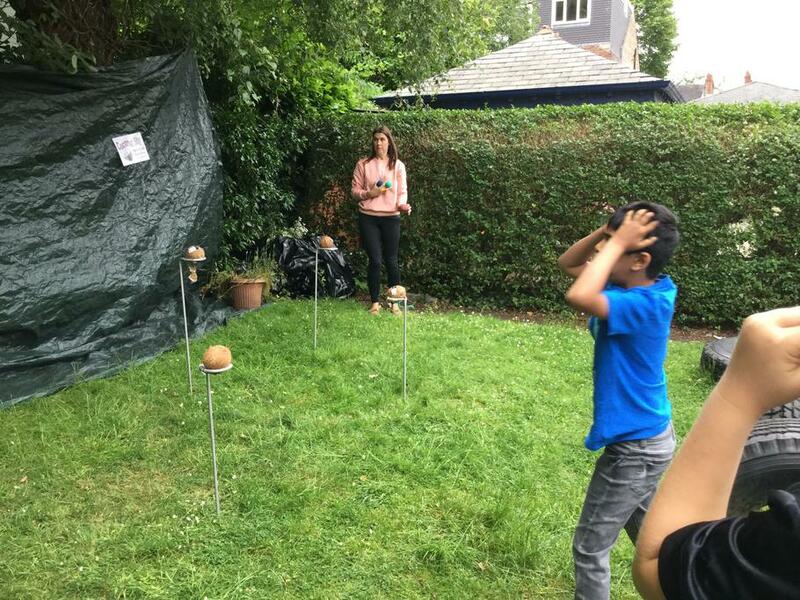 The team had to complete three testing challenges, before presenting their results. 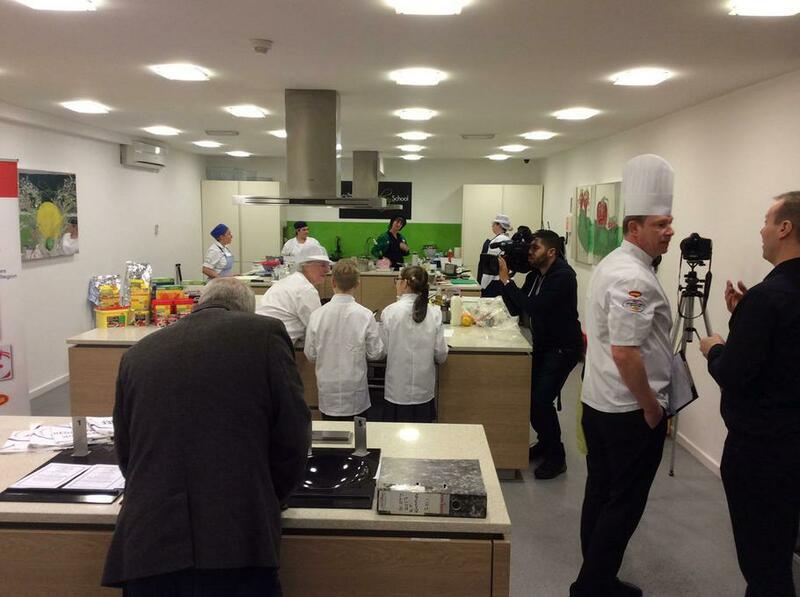 There were seven other schools involved in the competition, although many more are involved nationally. 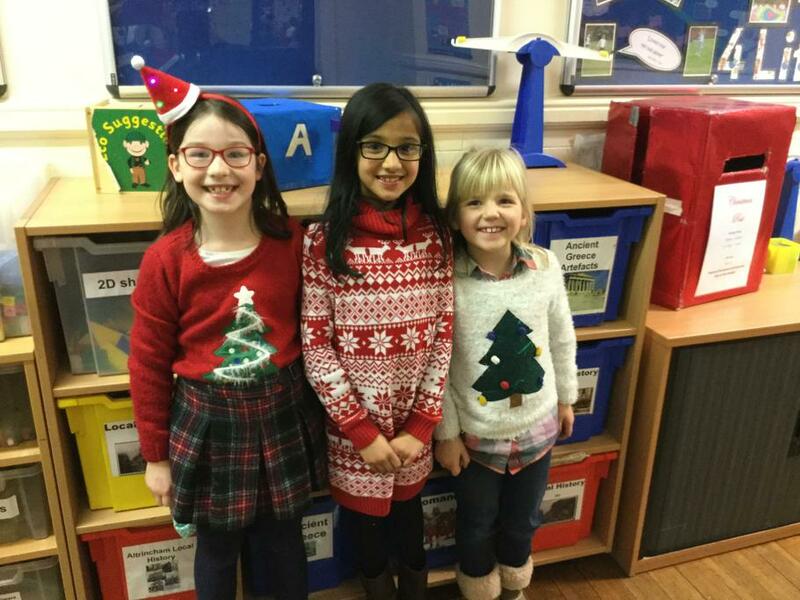 Well done to the children today! I'm looking for buzzing business minds, magical maths whizzes, dazzling design gurus and friendly front-of-house specialists to plan and run our next Book Fair. Children who are interested in applying for one of the jobs available should do so by attaching a covering letter to their completed application form and returning it to me by 9:30am on Tuesday 15th November. The different jobs are outlined below, each one having its own key responsibilities and skills required. Successful applicants will be informed on Wednesday 16th November. Good luck and I look forward to reading your applications. 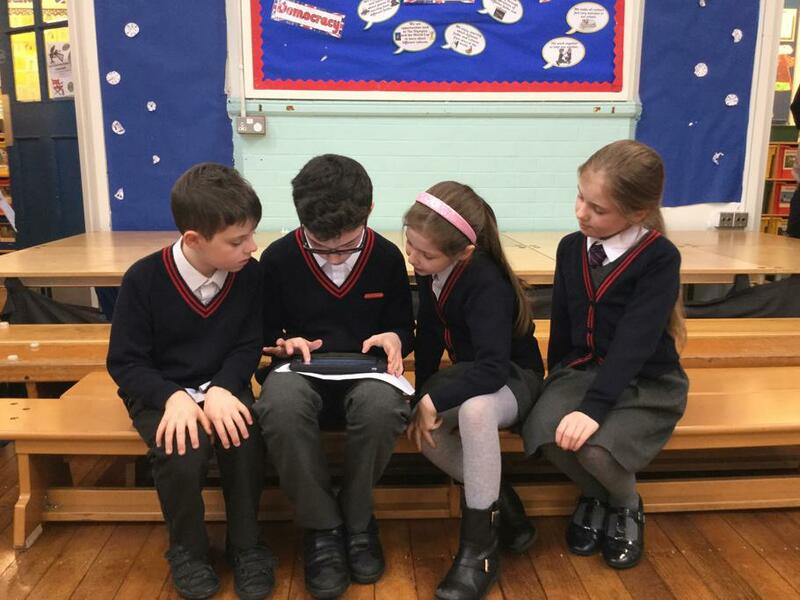 We hope that you are enjoying our new school website. If you have a spare two minutes, I would be really grateful if you could complete the survey below. This will allow us to see what is working and what isn't working so well, as well as gaining your input as to what else we could share with you on the website. There are only eight questions so please do share your views! I am delighted to welcome you to our new school website today, which we have been busy developing throughout the summer. 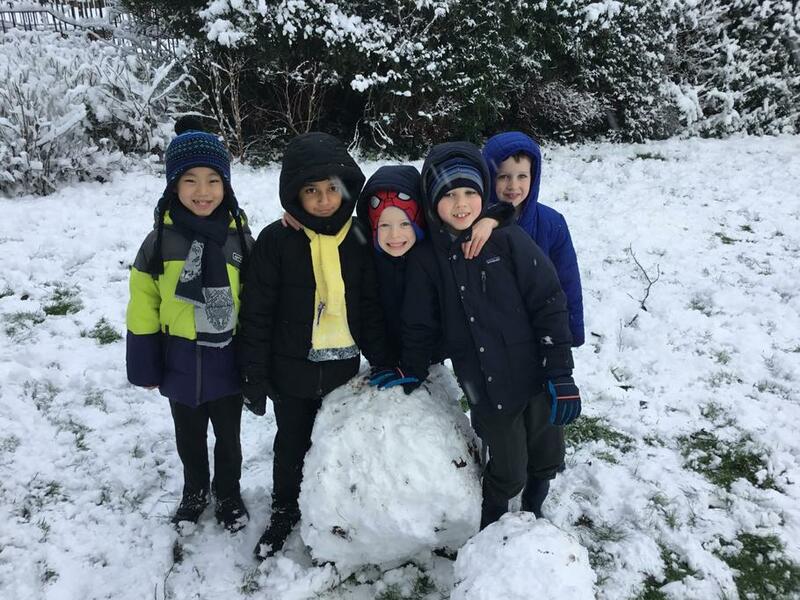 We hope that this will provide you with a range of information about Stamford Park Junior School and keep you up to date with everything that is happening here. As you will see, some pages are still awaiting content and these will be updated in due course. 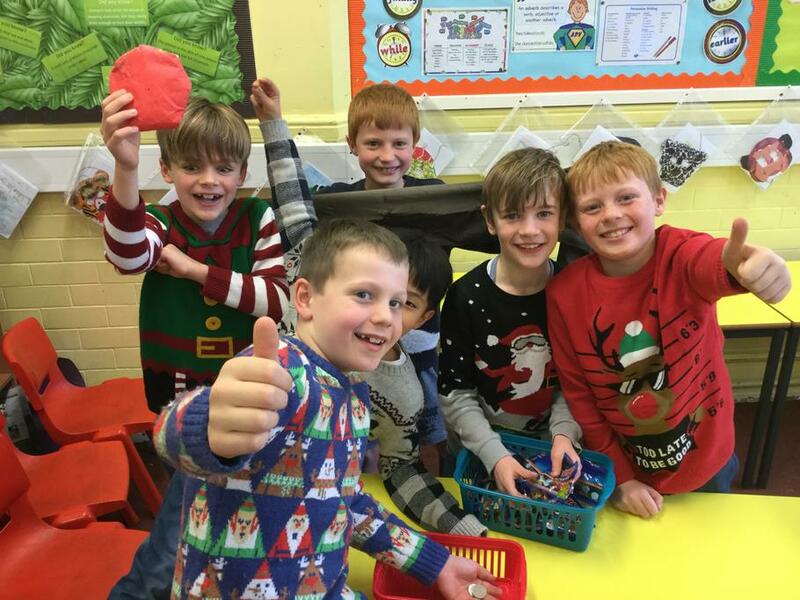 The class pages in particular will be of interest to you; these will be updated several times each half term and will allow you to see exactly what your children are learning about. We look forward to receiving your feedback on this later in the term. 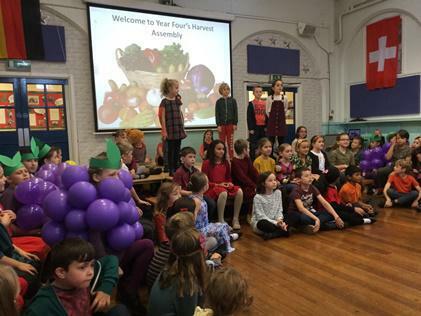 Today our Year 4 children took part in our annual Harvest Festival. 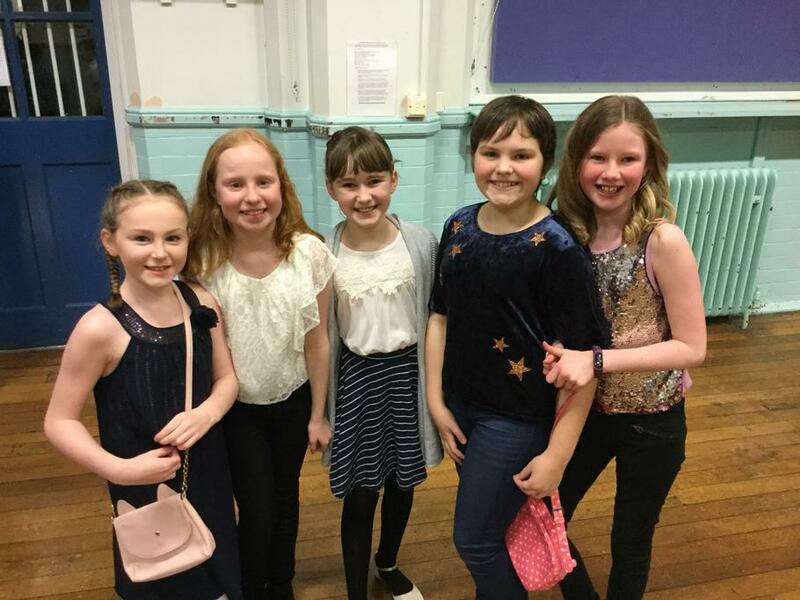 The children performed brilliantly and the whole production was delightful. 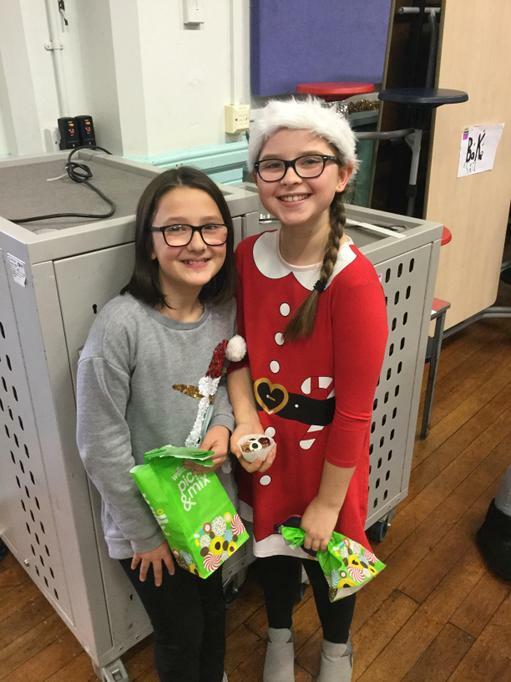 We would like to thank all family and friends that were able to attend, and also thank you for your kind donations to the Altrincham Food Bank. 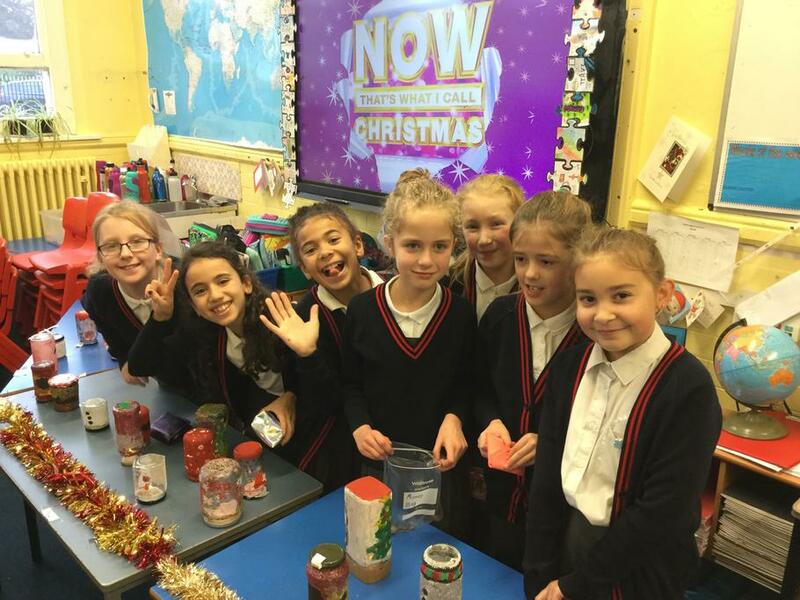 We actively support the Altrincham Food Bank every year and are looking forward to our Year 6 House Captains visiting the Food Bank later in the winter term to learn more about their work in our local community. 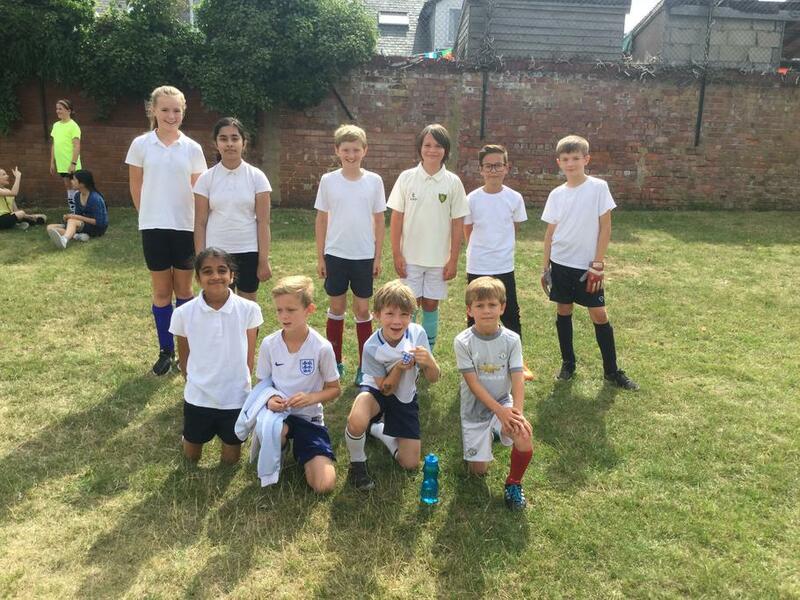 Today we were delighted to send some of our children to help at a friendly football match between the USA and Netherlands, in preparation for the U20 FIFA World Cup 2017. These children were asked to assist with being flag bearers and ball boys / girls during the match. 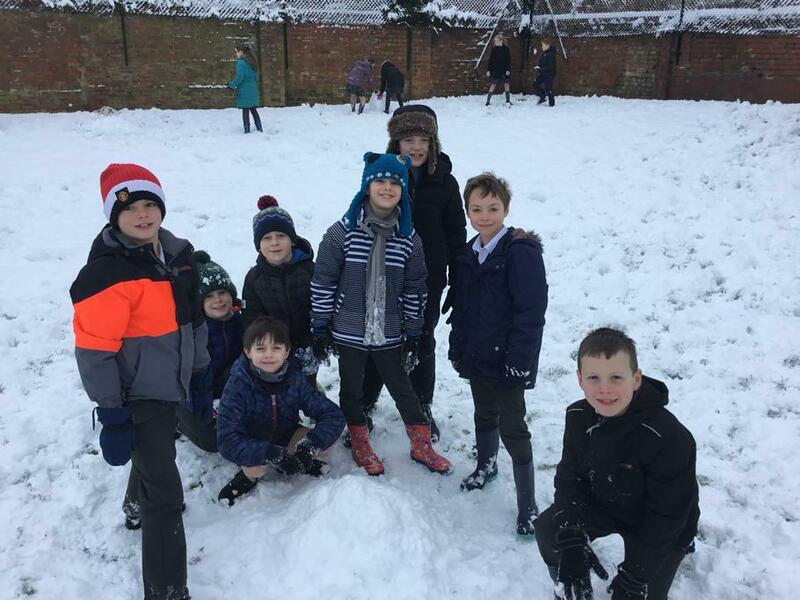 It was a thoroughly enjoyable experience and has certainly given those children something to aspire to in the future. 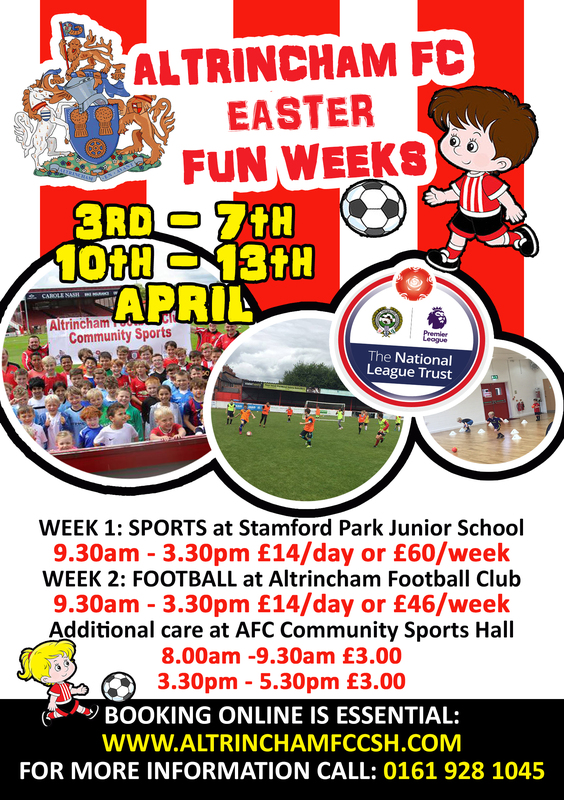 We would like, as always, to say a very big thank you to Altrincham Football Club for this fantastic opportunity. 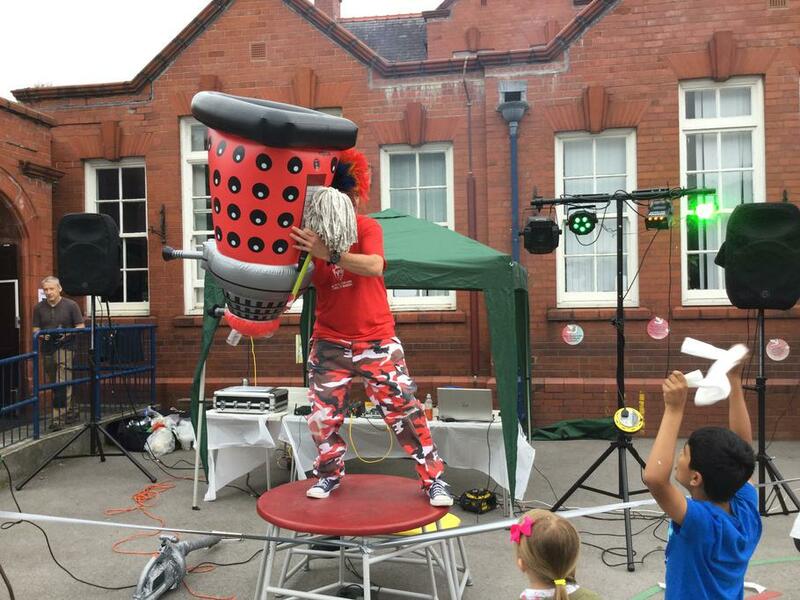 We are delighted to be working with Trafford Teaching School Alliance this year. We have been appointed as the Lead School for English teaching. 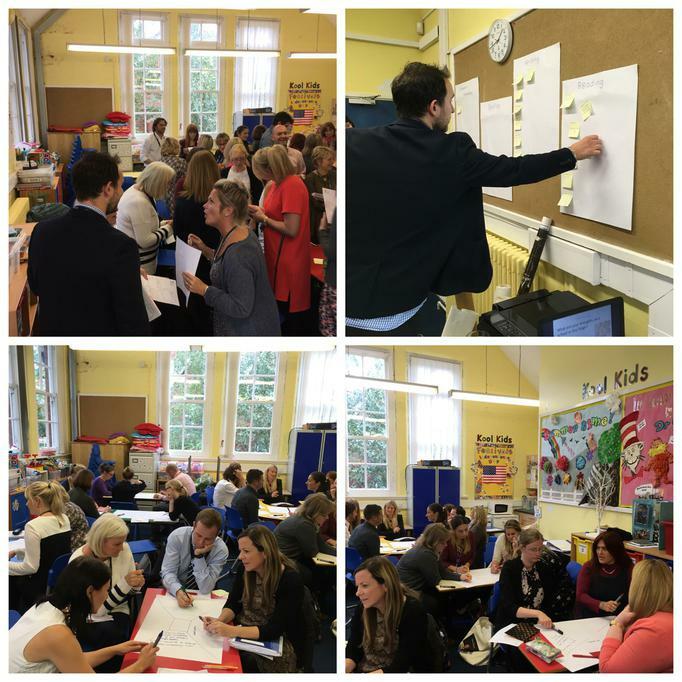 In September, we held the first English Subject Leaders Network Meeting, which was a tremendous success. 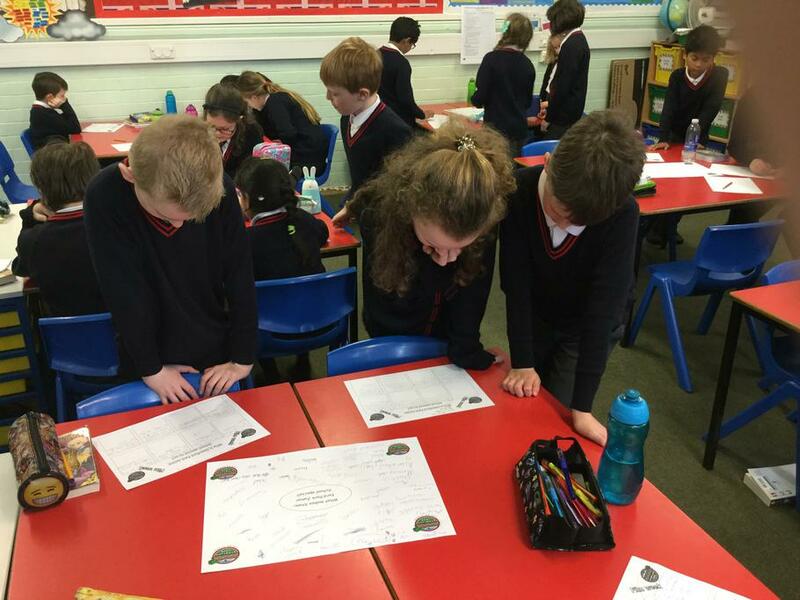 Over forty different primary schools sent their English Leader to collaborate with other schools from Trafford.